Jumping on the Lanikai pillbox. I’ve got a HUGE list of things to do in Hawaii and I hope you’re ready for it! A total of 150 things to do that I hope will blow you away. Get ready for awesome tours, fun ideas, and inspirational vacation itineraries headed your way. As a local girl who grew up in Hawaii, these are some of the best touristy and non-touristy things to do in Hawaii in my opinion. If you have more to add to the list, let us know in the comments below! 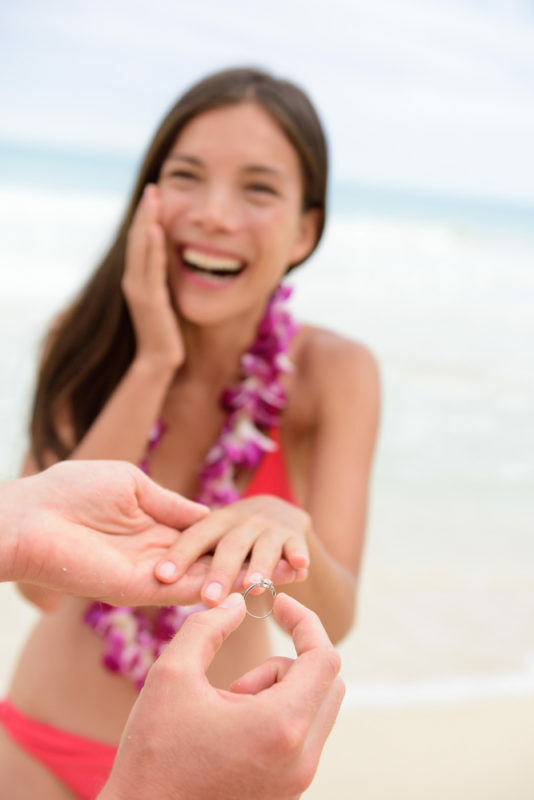 #1 Getting Married On Oahu Is One Of The Best Things To Do On Oahu! Make That Memory! 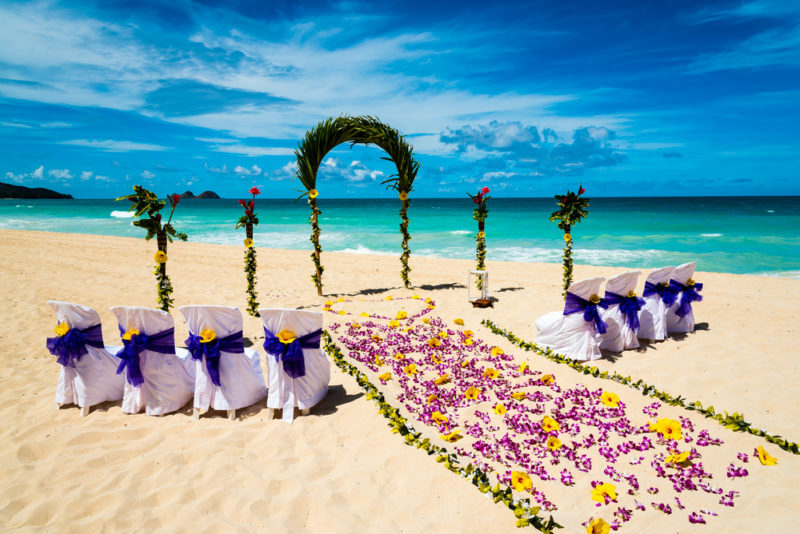 Hawaii is a world-famous wedding destination. Take advantage of those romantic, sandy beaches, the cascading waterfalls and unbelievably green rainforests. If you’re headed to Oahu, consider a simple wedding at a Hawaii Kai chapel with a gorgeous view of the marina. 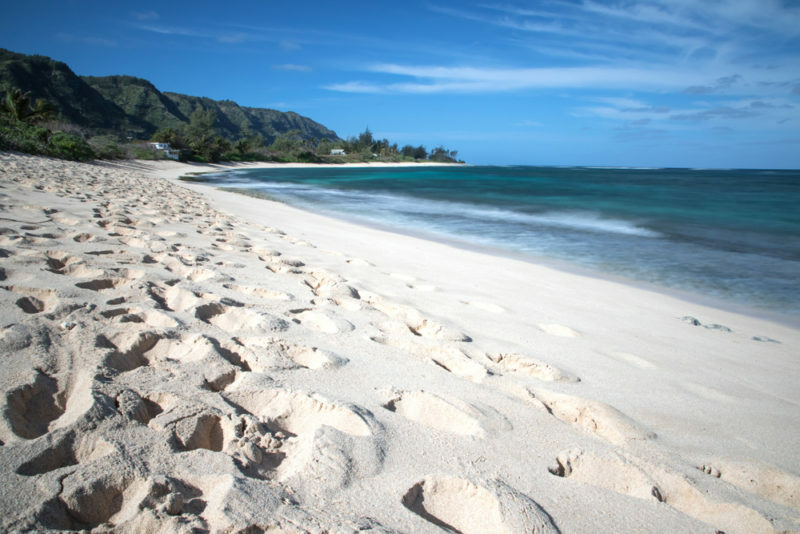 One of the most beautiful beaches to have your wedding at is Waimanalo beach. My cousin was married at this beach and it was a magical event. A trip to Hawaii is not complete until you see a sea turtle moseying its way about the waves. 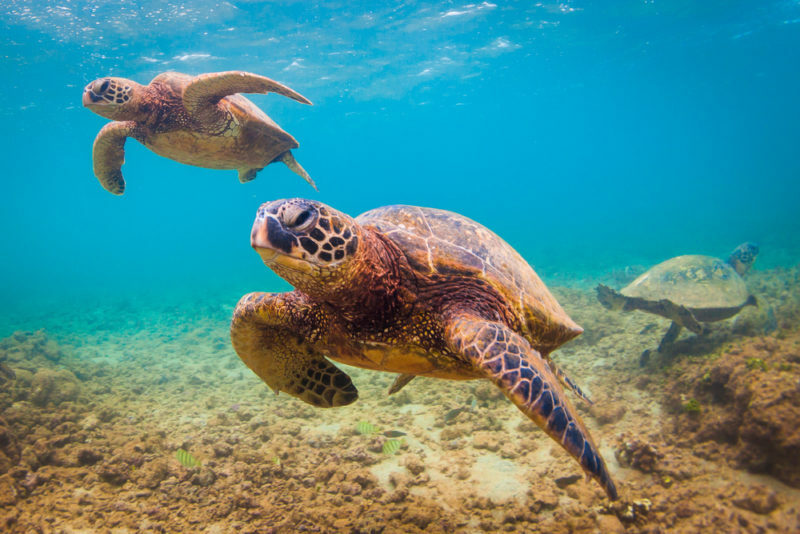 The Hawaiian green sea turtle (the Honu) is especially near and dear to local hearts and has a huge impact on Hawaii’s culture. 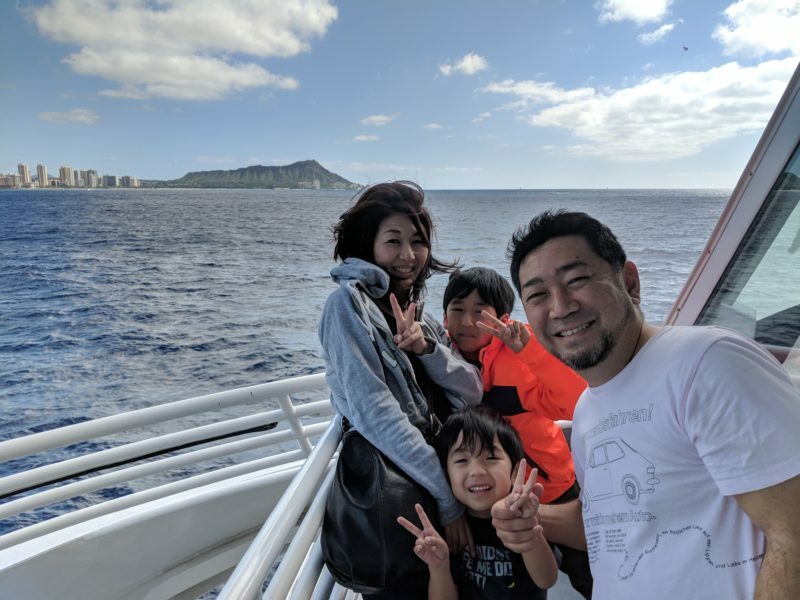 Here’s a great turtle experience even for beginners: Go on an eco-tour and sail away on the Holokai Catamaran to snorkel Turtle Canyon. 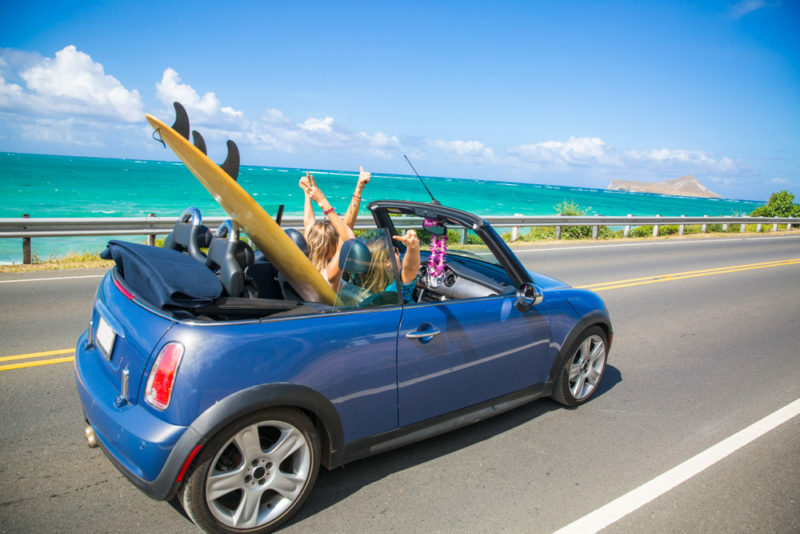 This departs from Waikiki so it’s incredibly convenient for most Oahu vacationers. 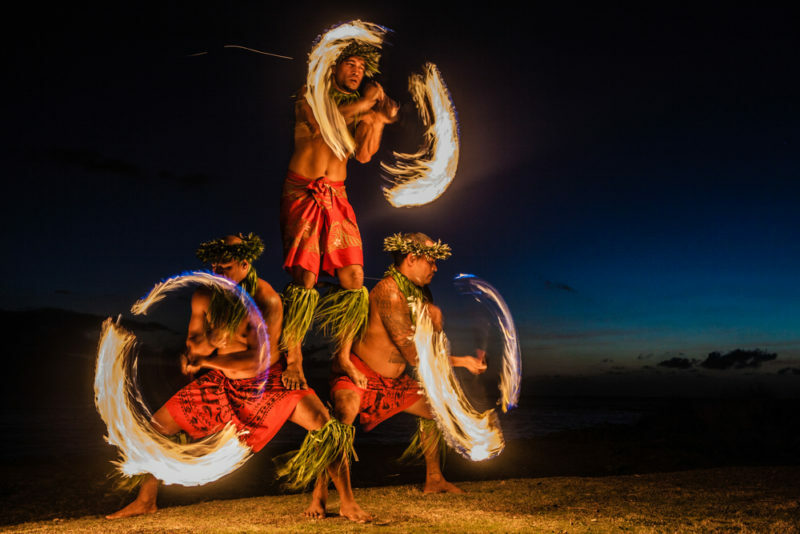 Fireknife dancing is a must on Oahu. Just look at this photo! You’ll feel the heavy beat of drums ricocheting through your body as these performers twirl, throw and even display flames on their body without being singed! One of my favorite fireknife performances is at the Polynesian Cultural Center. You can read about my experience or go straight to booking your tickets. A tropical drink in paradise is one of the most relaxing things to do on Oahu. 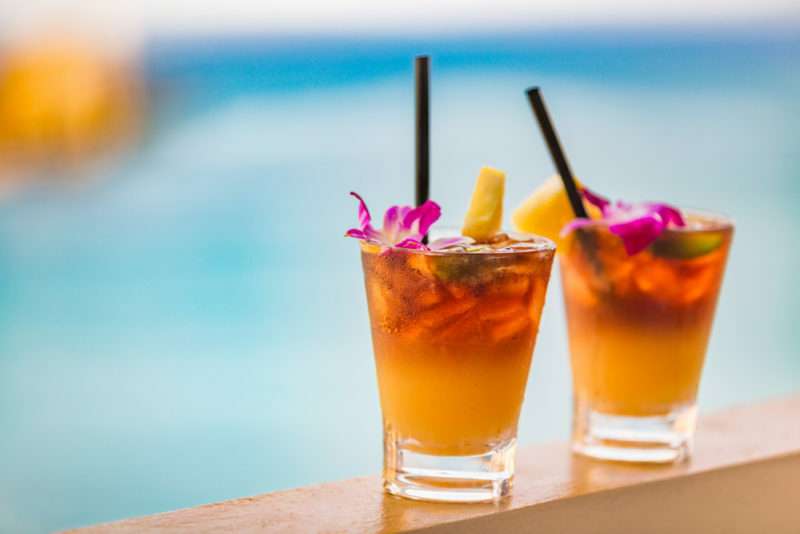 Mai Tais are a popular alcoholic beverage here and you’ll find them in almost every drink menu in Waikiki. 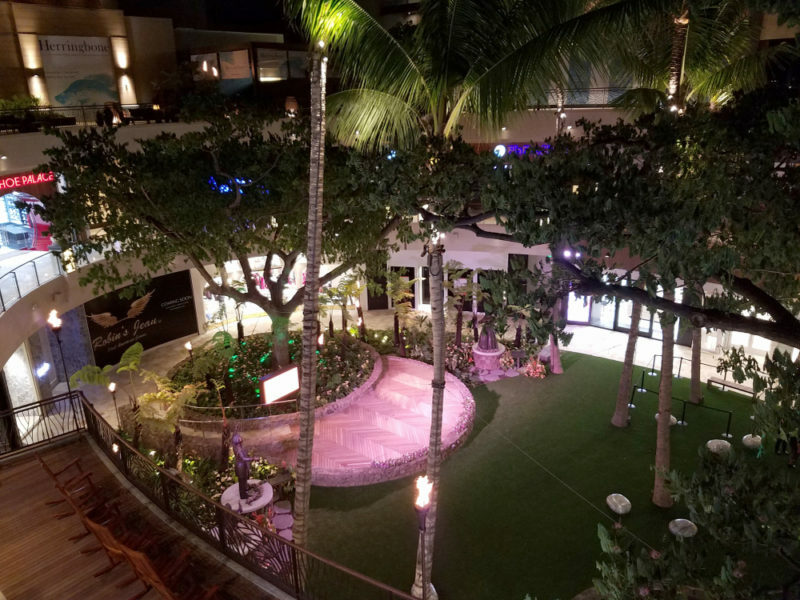 Check out the Mai Tai Bar at Ala Moana Center to wind down at the end of the day. Local Tip: Another drink that you should try is the Lava Flow – a frozen pina colada mixture with strawberry syrup…mmm. 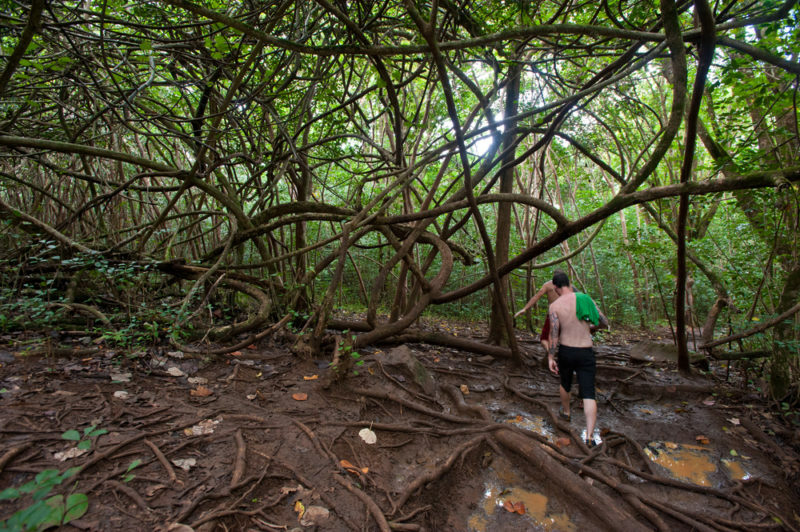 A beautiful hike that will take you through a rainforest, under banyan tree roots, and to the 150 foot Manoa waterfall. 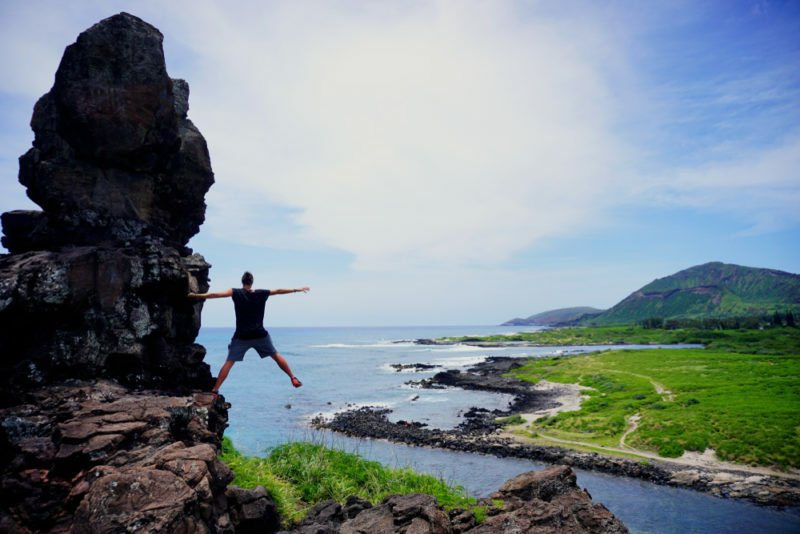 This is one of the top 3 Oahu hikes on Oahu that I highly recommend. Local Tip: The Manoa Falls hike recently underwent a renovation, so here’s my guide to this muddy, wet and fun hike. Diving with sharks is an extremely popular tour activity on Oahu. Watch these majestic creatures as they circle around your shark cage. 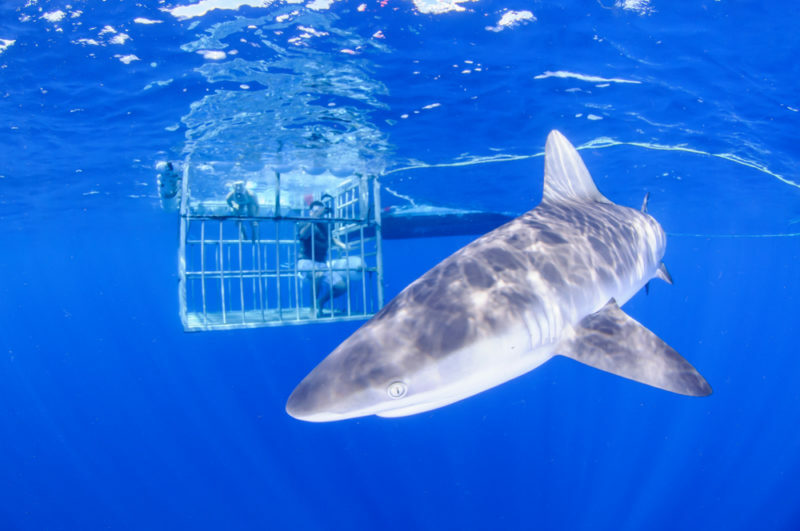 Here’s a highly recommended shark cage experience that has plenty of awesome reviews. Feeling even more daring? How about ditching the cage and swimming with these guys? Chinaman’s hat is an iconic small island off of Oahu that you can visit fro Kualoa Regional Park (a beautiful beach park that’s great for photos, picnic or beach day). 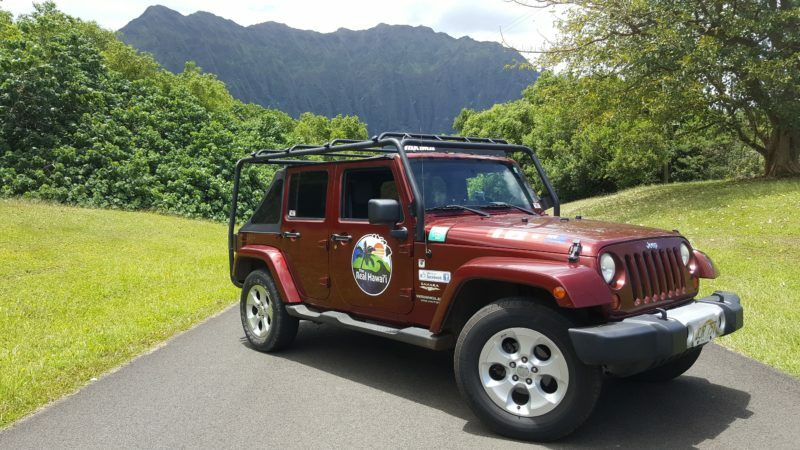 The view is spectacular here and Kualoa Ranch is right behind you if you want to do some Jurassic Park movie tours or horseback riding. Read my Chinaman’s Hat Field Trip post. Right after the curve past Hanauma Bay, you’ll see a small parking lot with a crowd of people. Don’t miss this blowhole erupt with each powerful wave. 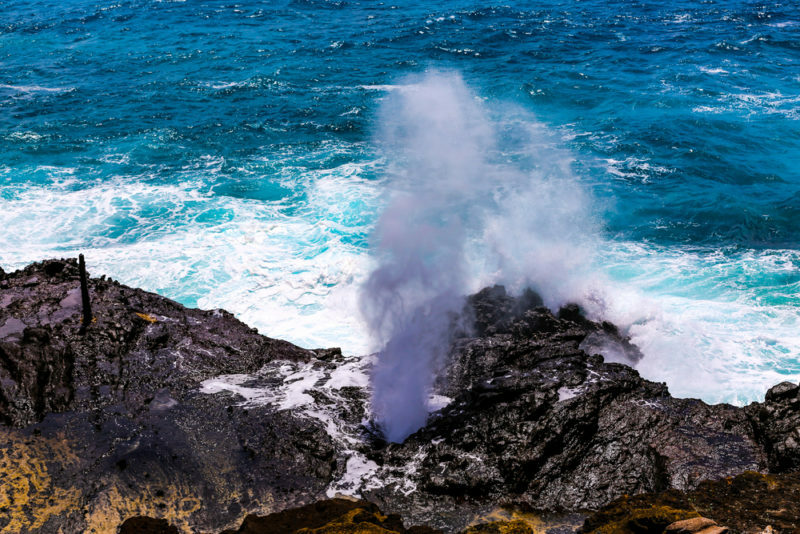 The Halona blowhole is one of the major attractions along a circle island tour on Oahu. Local Tip: If you’re lucky and it’s a very clear, haze-free day, you’ll be able to see Maui, Molokai and Lanai from this viewpoint. 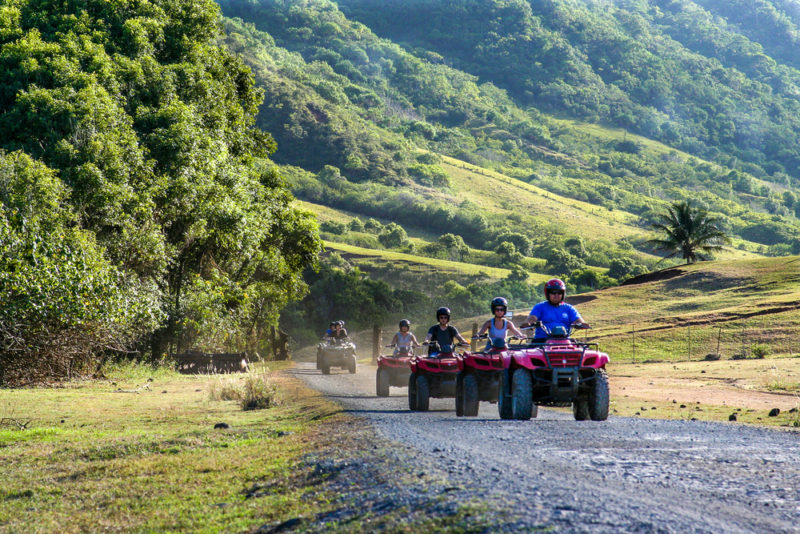 There are a bunch of off-road adventures on Oahu and an ATV ride is just one of them. Outside of Waikiki, there are plenty of off-roading hotspots with misty mountains, ocean views and muddy trails. Here’s a selection of off-road adventures including mountain biking, ATV rides and swimming in freshwater pools. 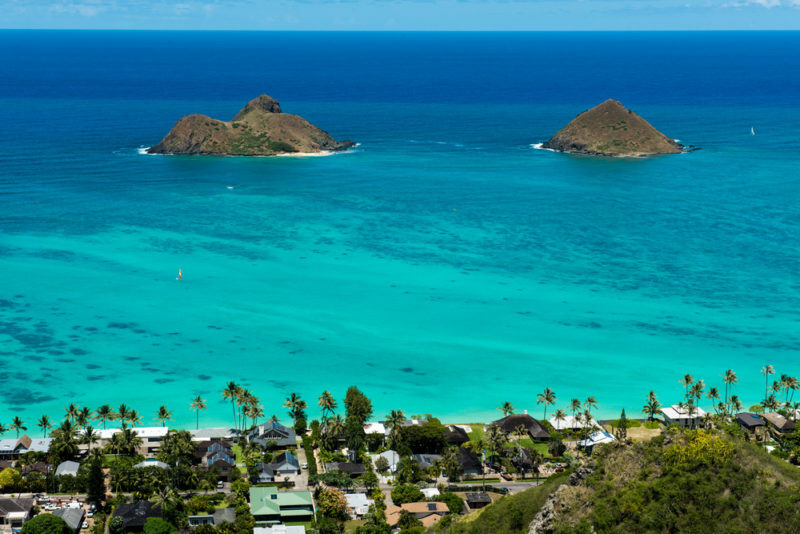 Lanikai translates to “heavenly sea,” and for good reason. The Lanikai sand is that fine, white powder that all magical beaches are made of. The water is a crystal blue and you can see the “mokes” (the twin islands) from your beach mat. I recently took 2 visiting friends here and they thought it was amazing! If you’re on Oahu for a vacation, don’t waste luggage space or money on snorkeling gear, boogie boards or beach equipment. Organize transportation and beach rentals without the hassle. 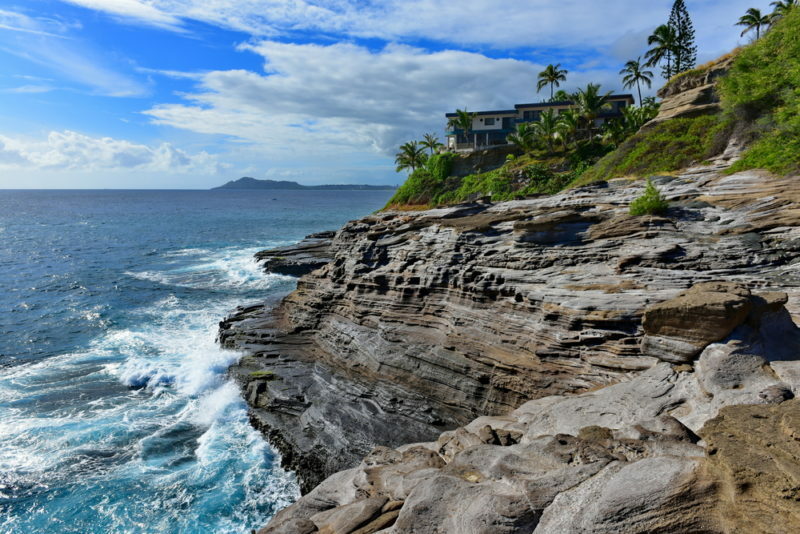 The Koko Head climb is an amazing workout to get you started on your day. There’s just something about knowing exactly how much farther you have to go. Be prepared for strangers to urge you forward, high fives, and people waiting to congratulate you on the top. The view is crazy and that feeling of “YES!” is awesome. Local Tip: There’s a Poke Gym on the top of Koko Head that’s become a beacon for Pokemon Go lovers. If you’re looking for bragging rights, this is the gym to test your Pokemon with. How often do you get to swim with dolphins? This once-in-a-lifetime experience takes place on the west coast of Waianae. Dolphins are known to cruise these waters so it’s a nice activity to get you out of Waikiki and the south shore. 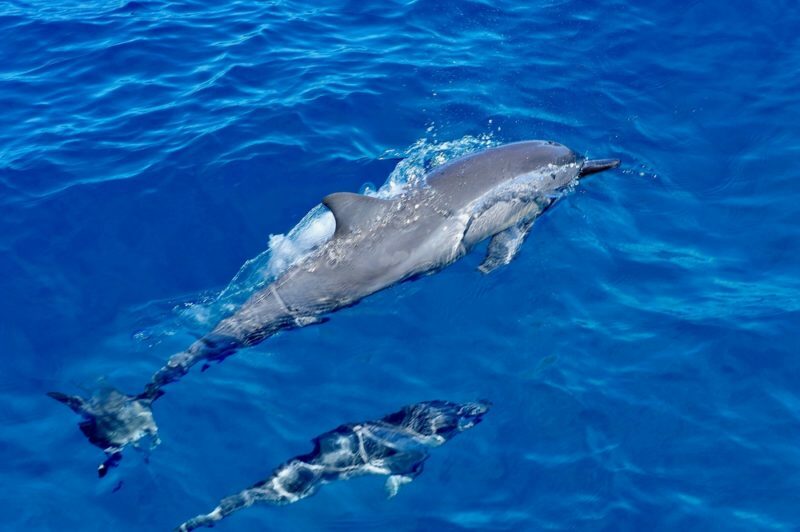 Local Tip: Dolphins are usually still sleeping if you go on an early morning cruise – they kind of just bob up and down and go up for air every so often. Sign up for an afternoon cruise if you want a bit more movement. If surfing feels intimidating, why not try your hand at stand-up paddleboarding? The SUP life is slower, but still loads of fun as it’s all about seeing what’s around you rather than catching that wave. Choose from SUP lessons on the ocean, waves and rivers. A film/movie tour is an awesome activity to add to your “things to do on Oahu” list. Fans of the TV show Lost will be ecstatic to visit actual Lost film locations. See the beach they landed on (Mokuleia beach) or head to Turtle Bay Resort and see the banyan tree where Charlie was hanging. Check out Hawaiian Escapades where they’ve got a LOST specialist that will guide you to your favorite TV show spots. Hoomaluhia Botanical Gardens in 3 words: Humongous. Gorgeous. Free. I love Hoomaluhia. You can go camping, fishing or even have a wedding party (wedding reception, anyone?). 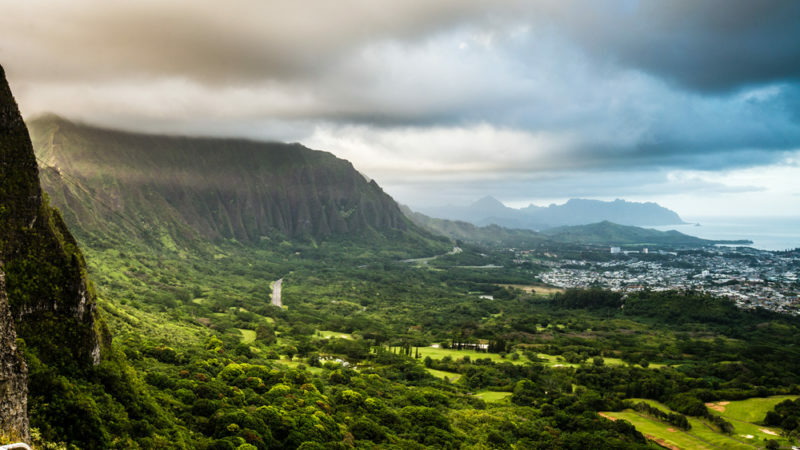 The Koolau mountain range is absolutely, jaw droppingly beautiful and if you’re there after a few rainy days, be prepared for waterfalls galore! Reserve your Hoomaluhia campsite 2 weeks in advance on the Honolulu City & Council website. 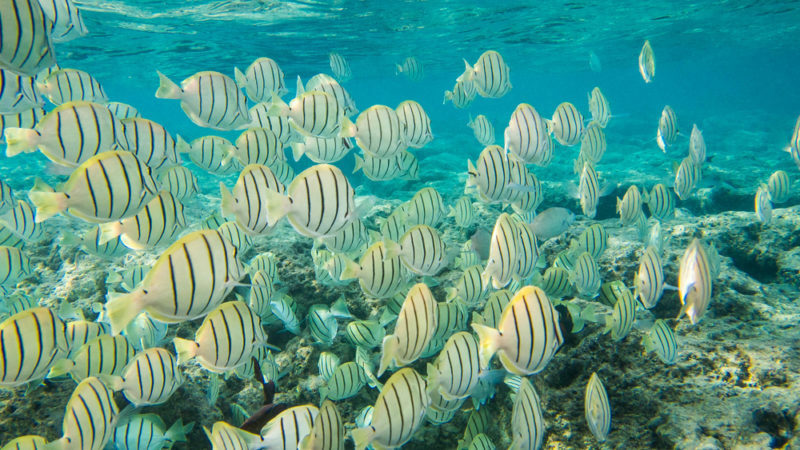 No snorkel in Hawaii is complete without spotting the Hawaii state fish. 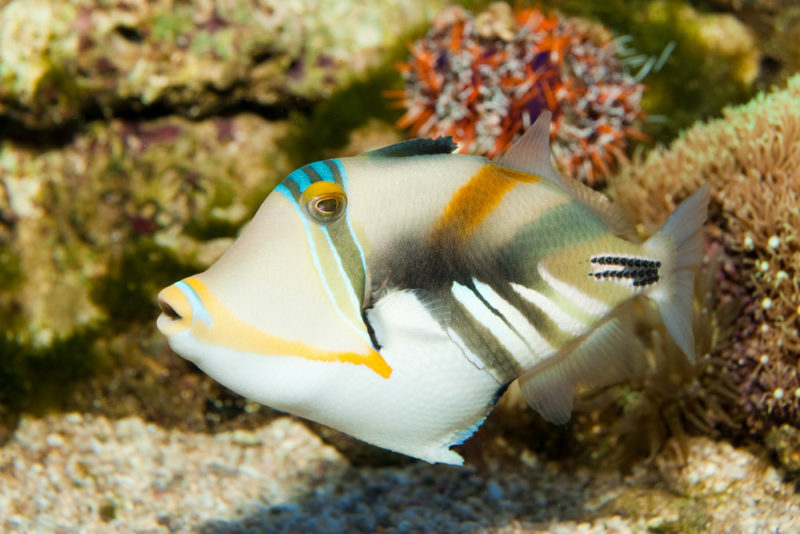 These cuties can be found grazing the reef where you snorkel and keeping an eye on you in case you get too close. Looking for Humuhumunukunukuapuaa memorabilia? Check out Crazy Shirts – an old local t-shirt store that has been in Hawaii since the 60s. The aptly named Convict Tang will either run away from you like a prisoner, or overtake you if their numbers are overwhelming enough. These guys are famous for cleaning out reefs without mercy. Local Fun Fact: Manini means small in Hawaiian, so you’ll often hear locals refer to something small as “manini”. 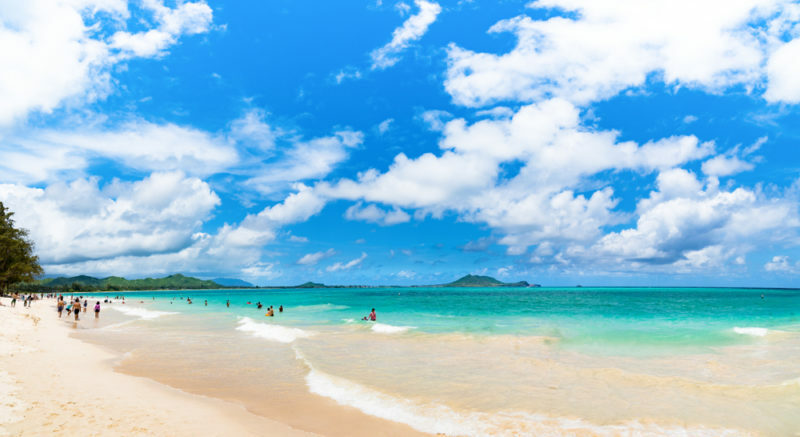 Next to Lanikai is Kailua beach, which boasts incredibly light blue waters and toe-crunching sand. There’s always a crowd here, so get here early or later in the day to really enjoy this beautiful beach. 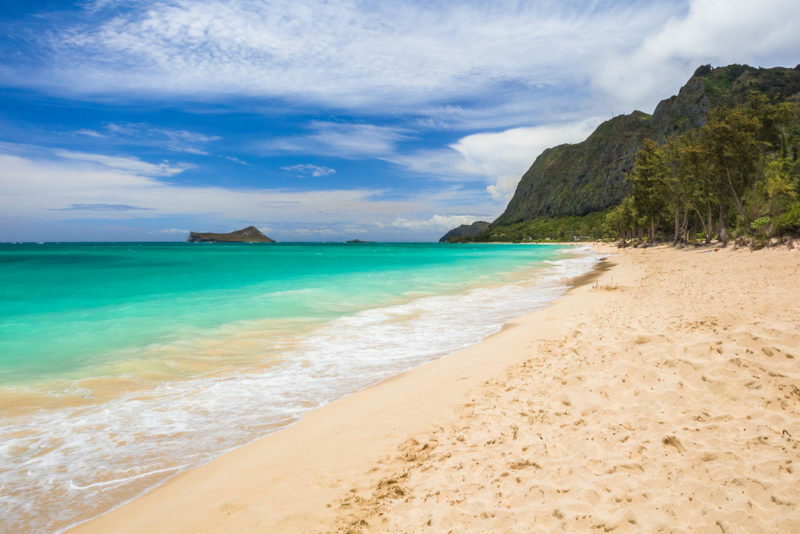 As a family-friendly beach, Kailua beach has a ton of activities for you to do. 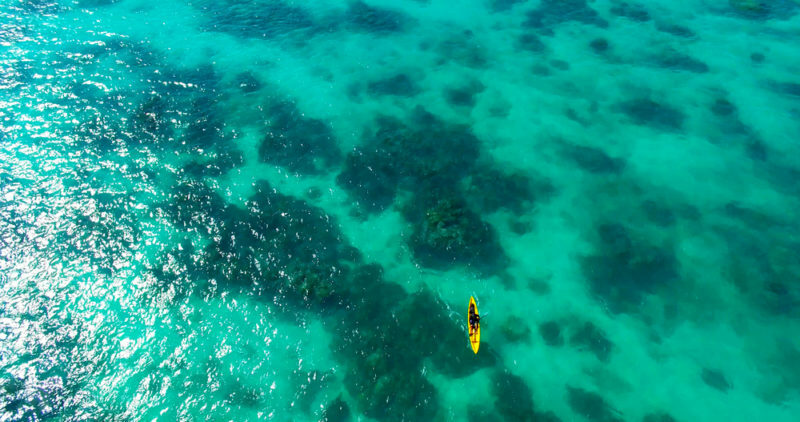 Kayaking rentals, sailing, snorkel tours…you name it! When I think of shrimp trucks, I think of the North Shore. 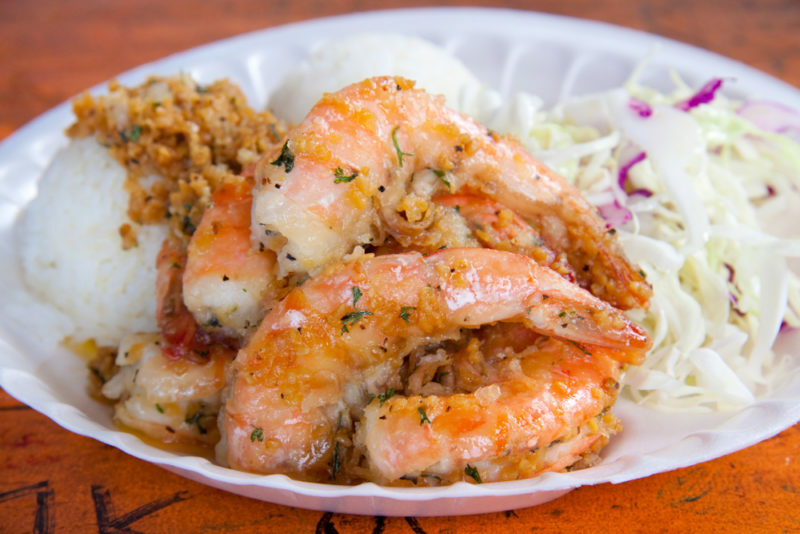 Check out Haleiwa Town, Giovanni’s, Romy’s or Fumi’s for some of the best shrimp plates on the North Shore. Here’s a nice shrimp plate guide to help you make your choice. Local Tip: Like this specific lei? Ask for a “mock orange deluxe kukui nut lei and single strand pikake lei twist”. That must smell lovely! Here’s something that needs to go on your “things to do on Oahu” checklist. 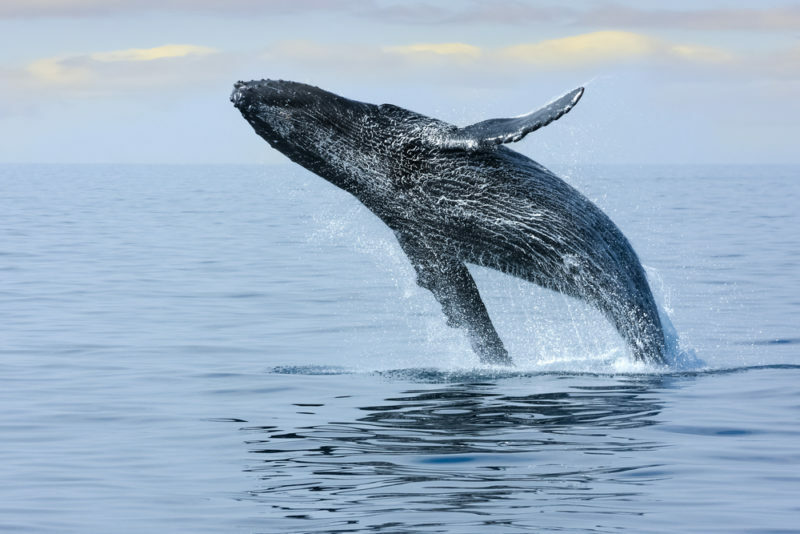 Every year from December thru April, Hawaii’s whale tours and activities explode with visitors wanting to see these majestic creatures play in Hawaii’s waters after their migration. I personally February is the absolutely best month to see these guys (but they’re here from November thru May). Read my post about what you need to know on whale watching in Hawaii. 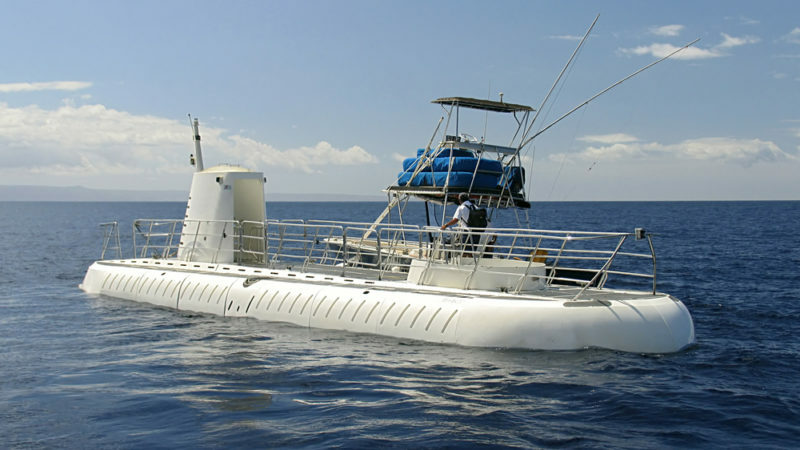 Riding a submarine is one of the coolest things to do in Oahu – see fish, turtles and wrecks without wetting your toes. 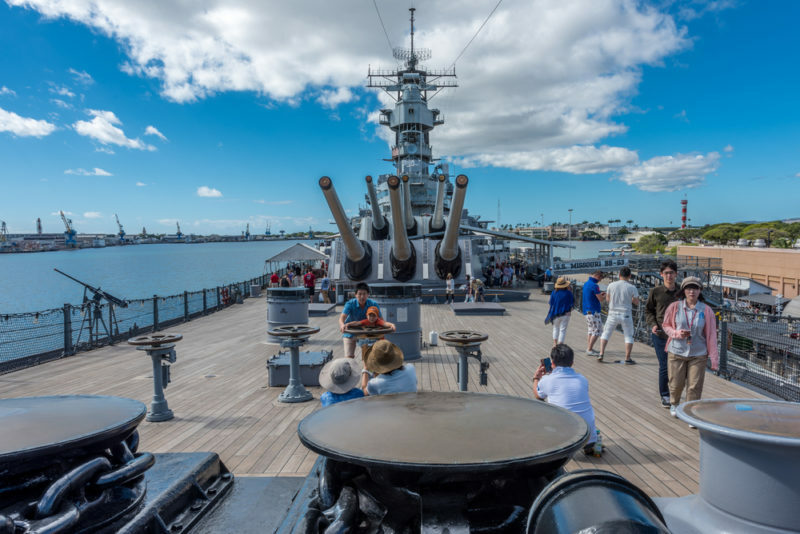 You’ll board a boat that will take you out to the submarine and enjoy a beautiful mini cruise with Waikiki as your background. Atlantis Adventures runs the Atlantis Submarine tour that will dive down a hundred feet. Can you imagine a more awesome view? Fly above the ocean and see Oahu from a bird’s eye view with only the power of the wind to lift you up. It’s a fantastic ride that you won’t forget for awhile! 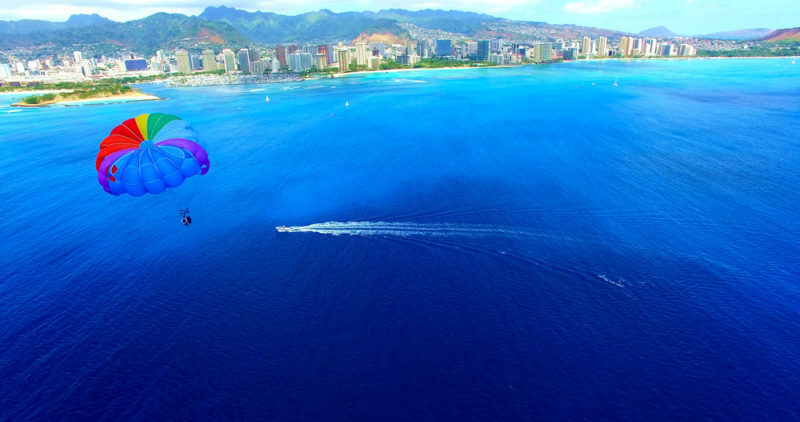 Here’s one of the more popular parasail tours that’s done right at Waikiki. The Makapuu lighthouse trail is a must. Not only is it gorgeous here, but almost anyone can do it ever since they repaved the trail to flat asphalt. 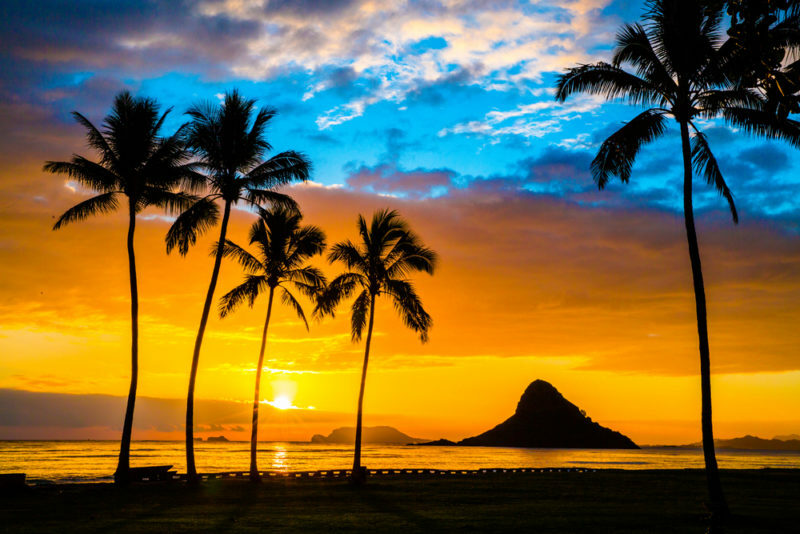 If you’re coming to Oahu during the winter months, even better! This is a fantastic spot for whale watching. Read about my Makapuu lighthouse experience to find out if this is the trail for you. Every Friday evening at around 7:45 PM, turn your attention to the Hilton Hawaiian Village and enjoy a lovely fireworks show. If you have an oceanside room, you may just be able to see it from your balcony. But if not, no worries. Head to the beach, pick a comfortable spot and enjoy the display. Local Tip: The Hilton Hawaiian Village hosts a free hula/entertainment show (you can pay for seating but there’s plenty of room to stand) and as soon as it’s done, they tell everyone to head straight outside to the beach for the fireworks. Talk about front row seating! 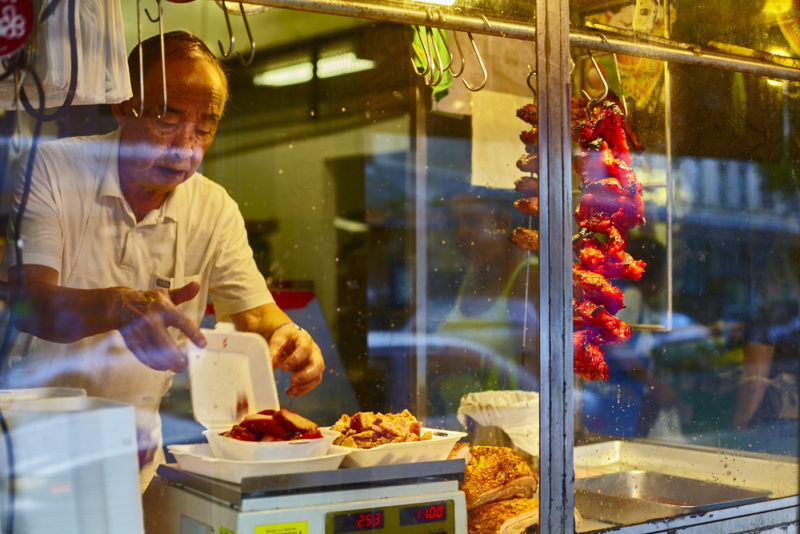 Chinatown is just a few minutes walk from downtown Honolulu. 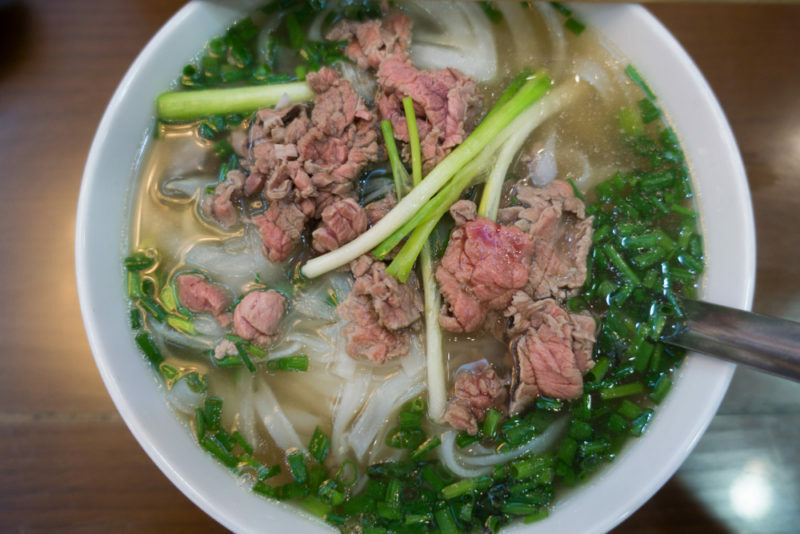 Peek into meat shops selling duck and try the old school pho restaurants – they’re awesome! Local Tip: Coming early is the best time to see the market at work. Watch vendors rush to meet customer demands and shout out prices in a mix of broken English, Cantonese and Mandarin. 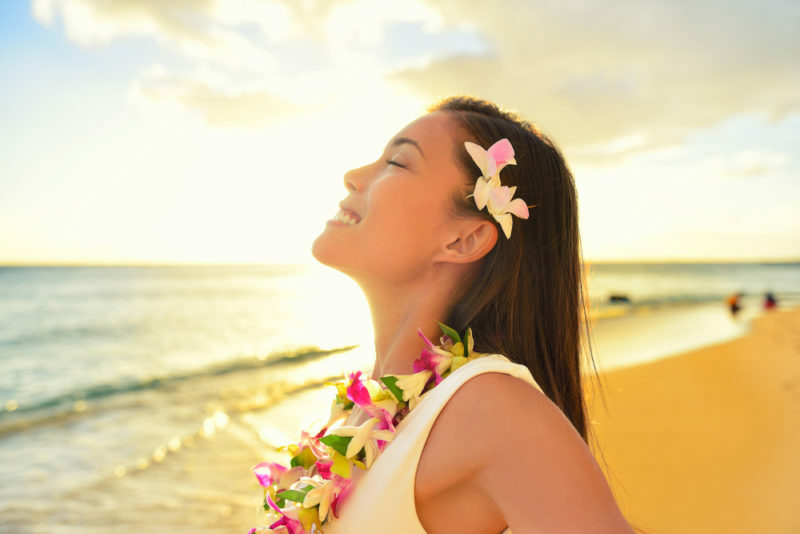 What’s better than a wedding or honeymoon in Hawaii? How about a vow renewal after 10, 25 or even 50 years? 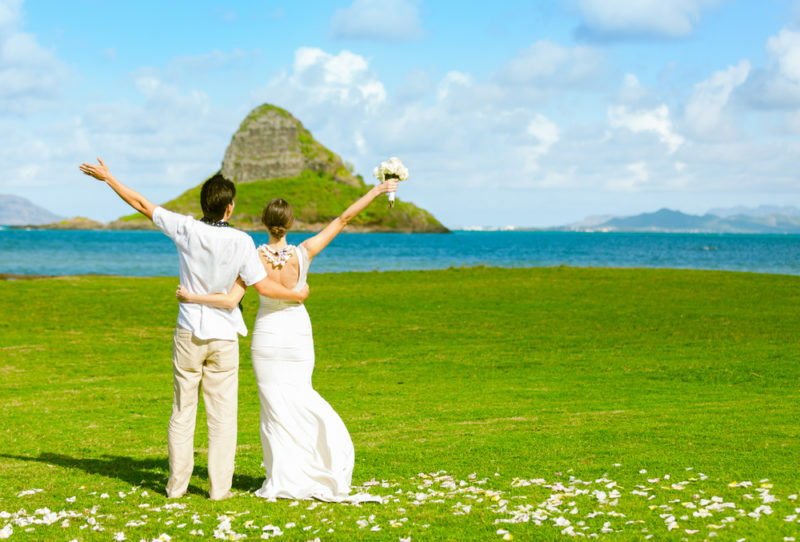 With Oahu’s white sand beaches, chapels and emerald mountains, you have your pick of locations for the perfect vow renewal. One of the most unique vow renewal ceremonies I’ve ever seen has been on a sunset cruise ship off Waikiki beach by a ship’s captain. Can it get anymore romantic? Whether you’re a yoga newbie or oldie, a paddleboard yoga session has got to be on your bucket list. Doing yoga in the middle of the ocean? Now that’s peace. Every year on Memorial Day, the annual Lantern Festival is held. Thousands flock to Ala Moana Beach where they can decorate their lanterns with the names of loved ones who have passed, and messages of hope and prayer. 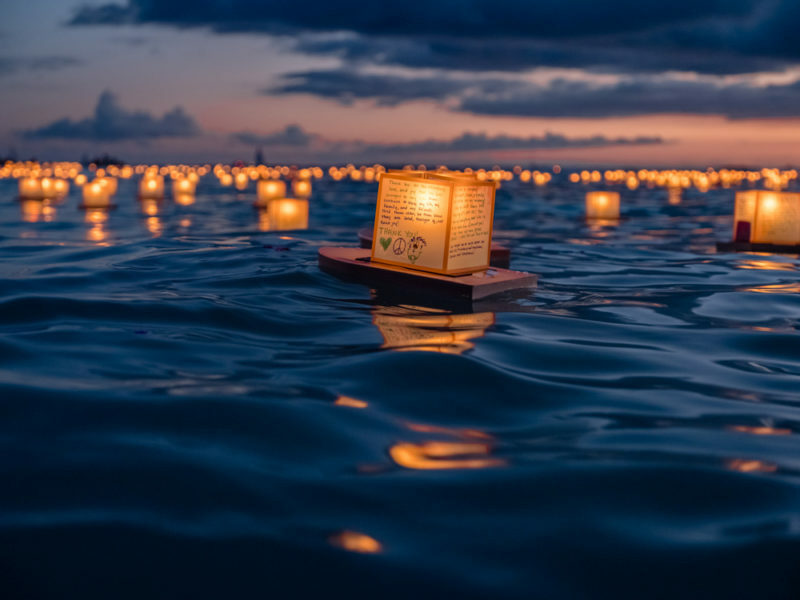 The heavily cultural ceremony on stage along with walking out to sea to release your lantern to float away is one of the most cathartic things you can do. Visit LanternFloatingHawaii.com for more info on the next lantern floating festival. Right next to Ala Moana beach park is Magic Island. A piece of land that juts out and is a perfect place for a BBQ, beach day or a nice morning jog. 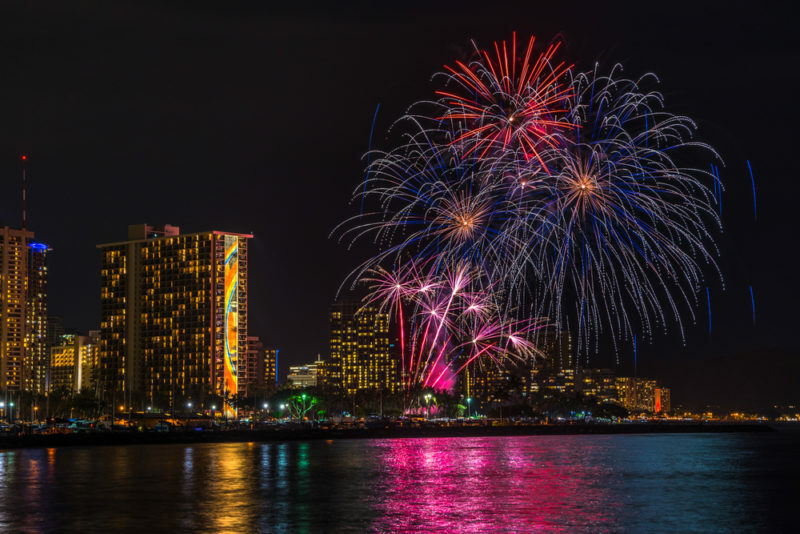 It’s the perfect place to see the sunset, Diamond Head, Honolulu Harbor, Waikiki, and even the Hilton’s Friday evening fireworks display. Local Tip: The beach access is well protected from waves and is a great choice for those who have small children. My cousin and her husband live up in Seattle and are big on fishing for salmon. Every time they visit, they always reserve some time for fishing. The best part is they get to bring back some of their catch – fresh fish! Get ready for your reel to scream! 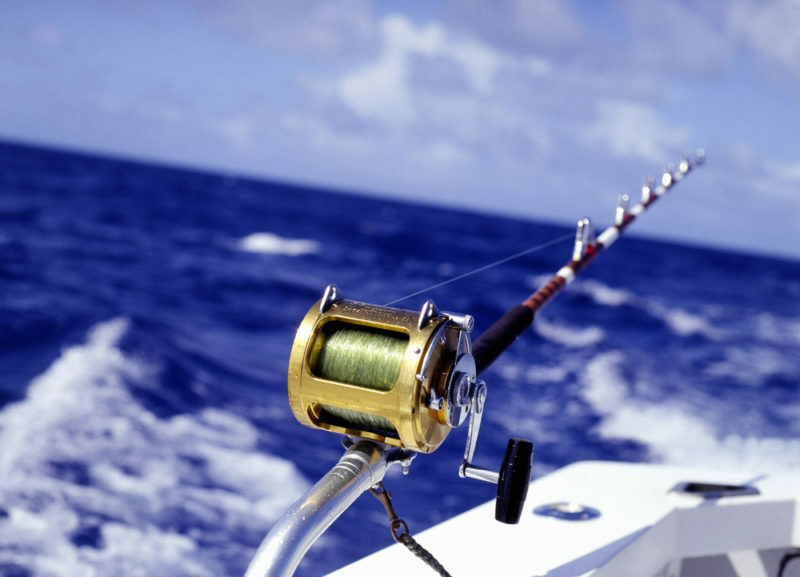 I see a forecast of marlin, tuna, wahoo and mahi mahi in your future. 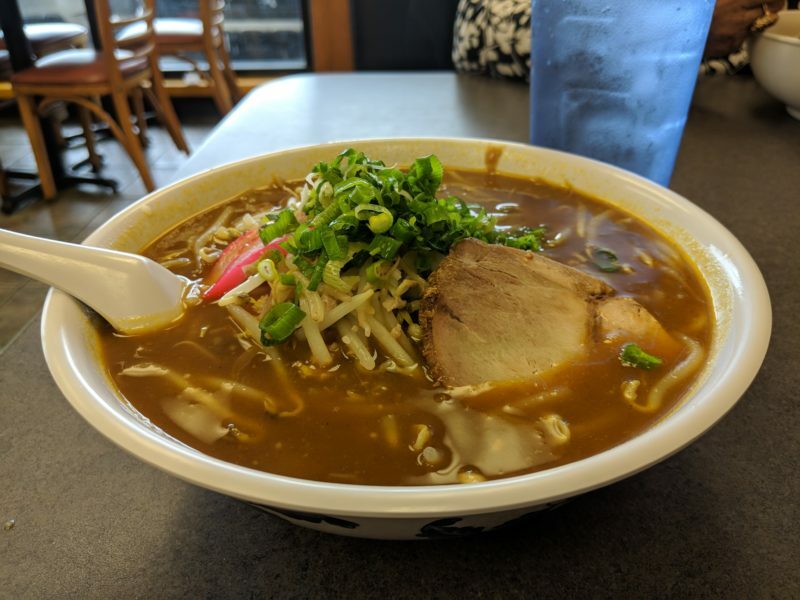 Eating local and unique foods always needs a place on your “things to do on Oahu” checklist. 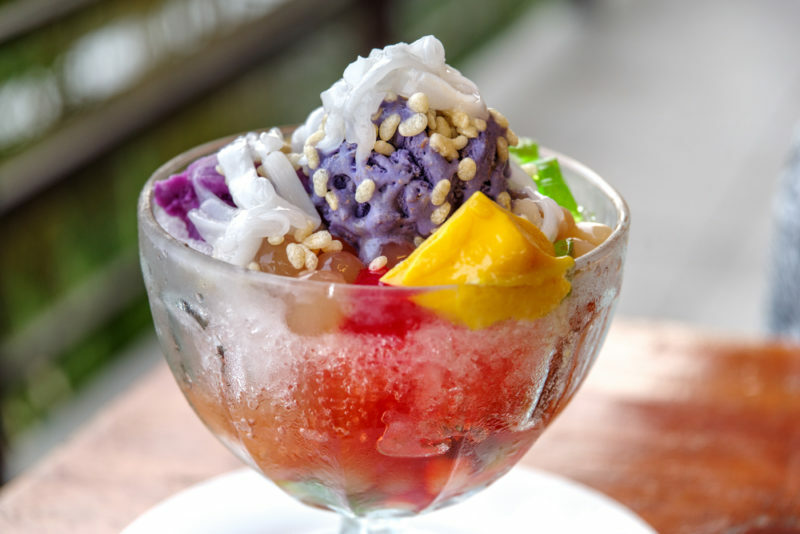 If you have no idea what halo-halo is…consider this your lucky day. You’ll need to visit a local ice cream store to enjoy this popular Filipino dessert. With so many Filipinos living in Hawaii, you can expect the bar to be set high for this cold treat. Dave’s Ice Cream is one such local ice cream shop that has been going strong for many, many years. Check out their local flavors, snacks, and halo-halo! 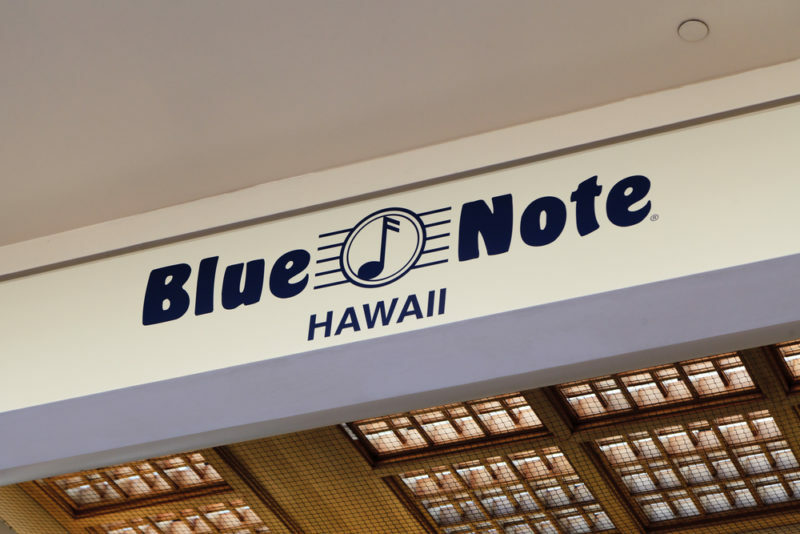 The Blue Note is not really a local thing since you can find them in other places in the USA, but it is one of the best places on Oahu with amazing acoustics. There are always musical performances being help at the Blue Note so if your favorite singer is performing, go for it! The Blue Note Hawaii always had something scheduled so make sure you check out who’s performing while you’re on Oahu. If Lanikai and Kailua beach are a bit too crowded for you, then I think Waimanalo is the beach you’re looking for. You’ve still got that powdery sand, oh-so-blue waters and islands off in the distance. Local Tip: If you’re military, head to Bellows beach. Civilian? Try Sherwood’s beach. A few times a year, my family gets together for a self-guided circle island tour around Oahu. We stop at local food trucks, favorite beaches, hike, fish and enjoy snacks and cold drinks from a cooler. It’s super fun and even visitors can do a self-guided circle island tour easily. Not planning on renting a car? Consider a circle island tour with a private guide. 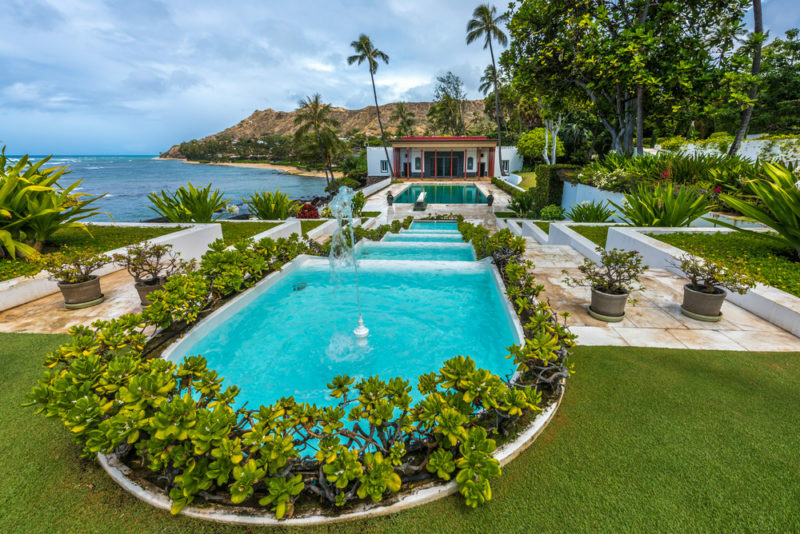 One of the most unique museums you could visit in Hawaii has got to be Doris Duke’s Shangri-La. Who would have thought that you could discover an amazing world of Islamic art and culture in the middle of the Pacific Ocean? Find out everything you need to know at the Shangri-La website. Book in advance since tours are limited! Free ukulele lessons can be found all over Waikiki and even in ukulele shops. And the best part is that you don’t even need your own ukulele for many of them. 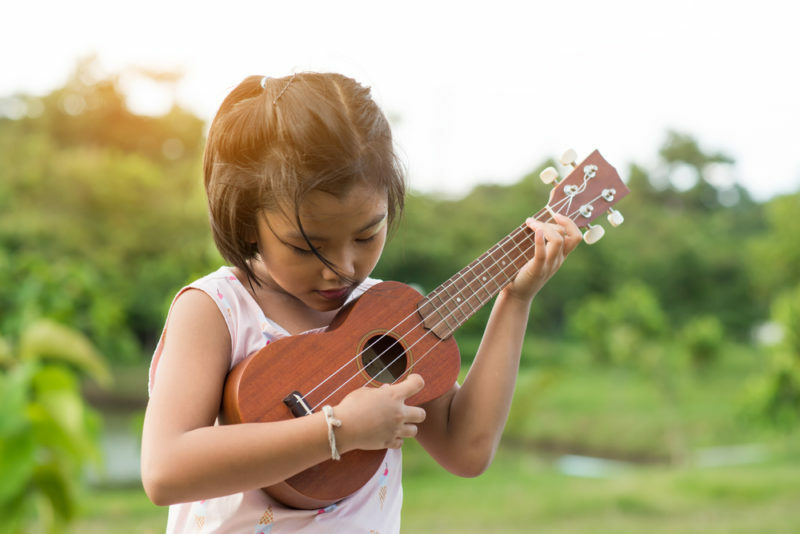 Free ukulele classes often have a limited number of ukuleles for you to borrow. 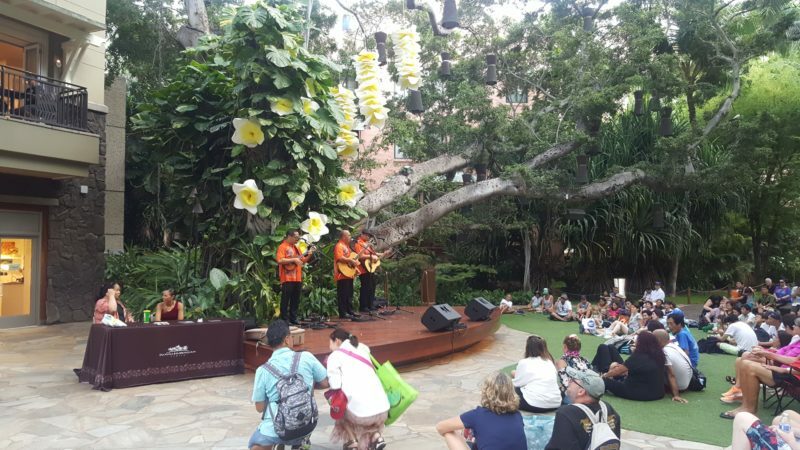 Read my post about free activities in Waikiki, including ukulele lessons. Real kalua pig is yummy, savory and mouth-watering. That smoky bite flavored with sea salt is something you really need to try while you’re here. 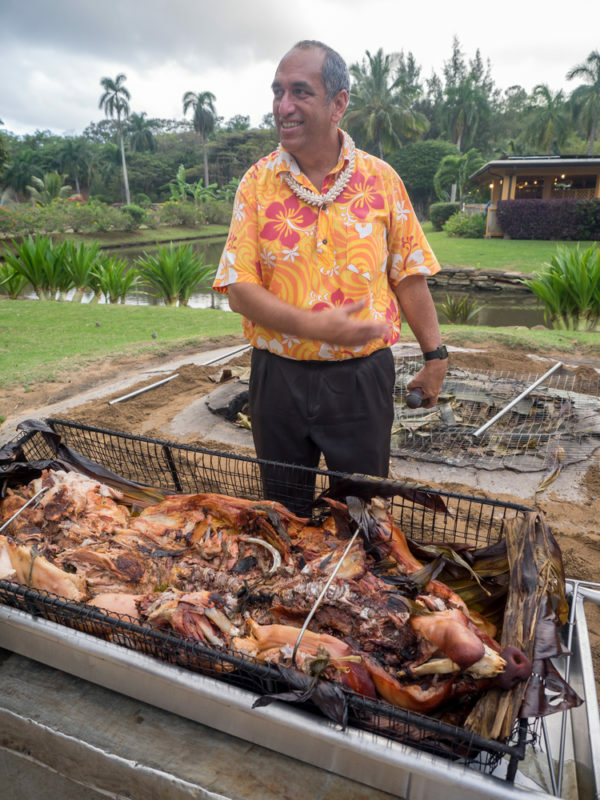 While almost all luaus serve kalua pig, not all of them prepare their pig in a traditional underground oven. 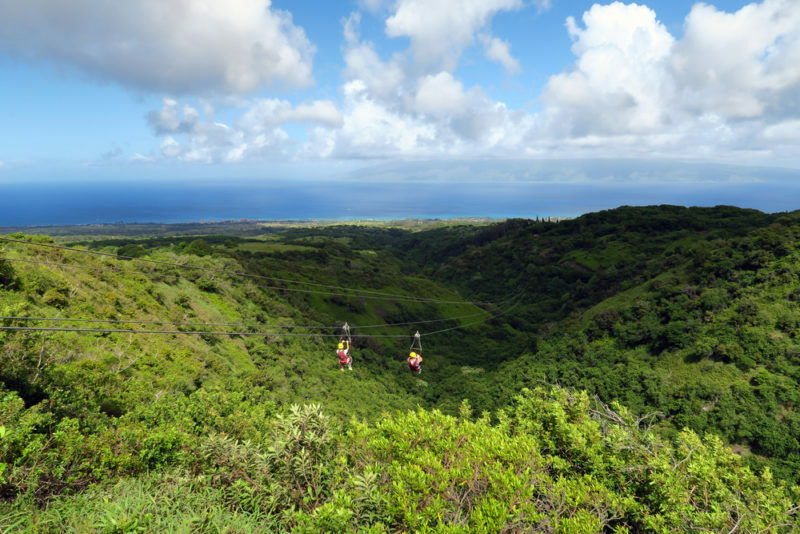 Ziplining is a hugely popular activity on Oahu. How can it not be when we’re surrounded by mountains, rainforests and that everblue ocean straight ahead? Despite being on an island, Oahu’s zipline tours can feel like they go on forever. The Kualoa Ranch zipline is a great one because they have over 2 hours of ziplining and rope bridges to explore! 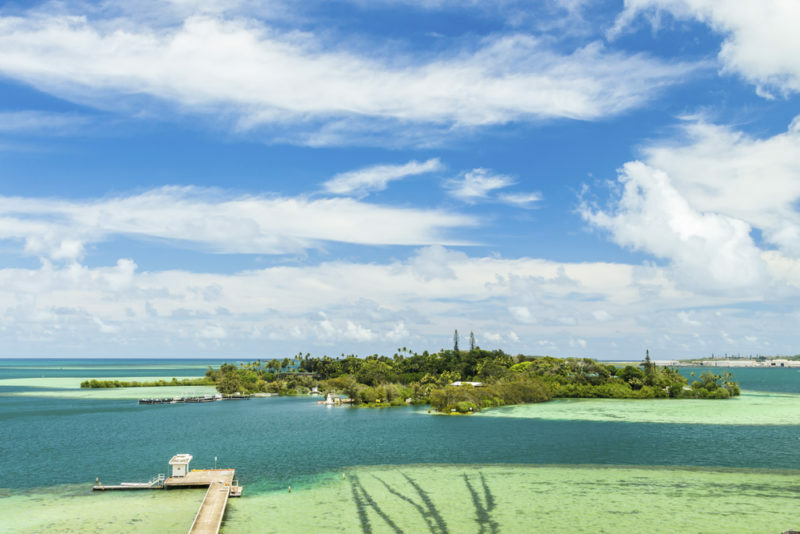 Arguably Hawaii’s most famous attraction, the Polynesian Cultural Center is like a theme park where you can explore the history, culture and lifestyle of the different Polynesian islands. I’ve been here many, many times – read my personal guide for the PCC. The Polynesian Cultural Center often has a discount for anyone booking their admission, luau or evening show online and in advance. Check their site out! If you know anything about authentic Hawaiian souvenirs, you know that Hawaiian koa wood items are pretty high on the list. 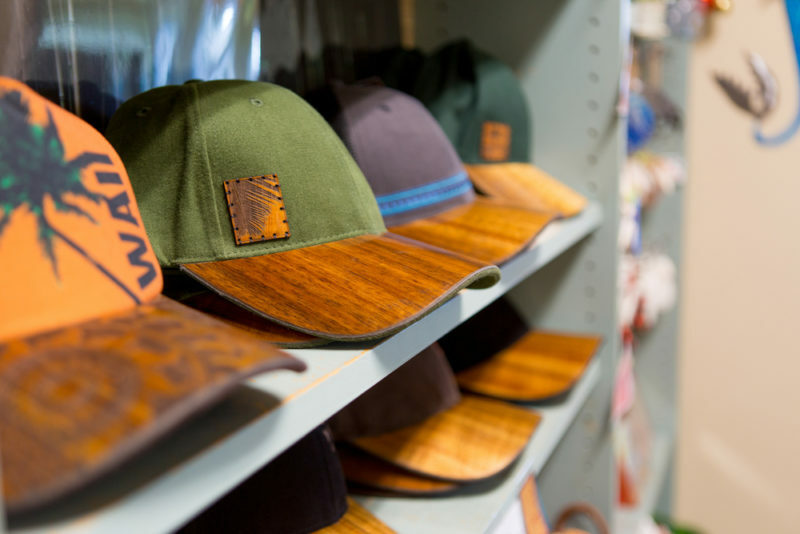 Koa souvenirs range from very cheap to very expensive depending on the design and size, but you can find them almost anywhere that sells souvenirs. Have money to burn? Check out my post on Hawaii’s most authentic and expensive souvenirs. If you’re looking for a nice Hawaiian koa wood piece for your home, check out Martin & MacArthur – one of Hawaii’s most trusted koa wood dealers. About once a year I make the trek to Kaena point and spend a day watching these guys coast along the wind. 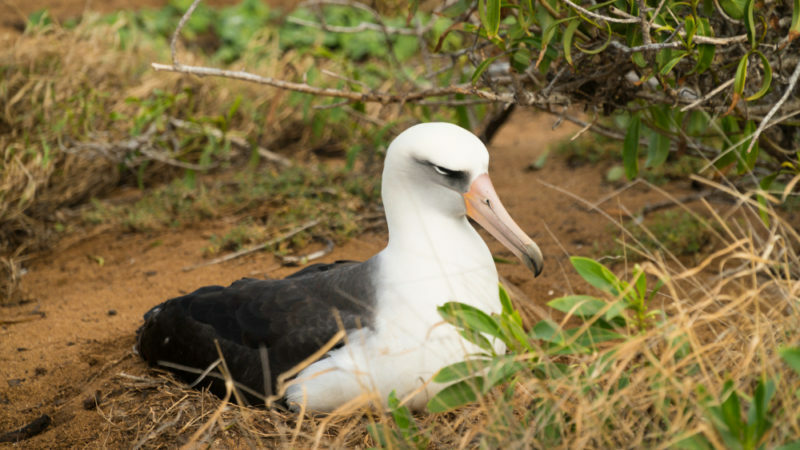 Kaena point is a sanctuary for them and if you’re lucky, you’ll get to see their chicks! I went a few months ago and was lucky enough to spot a chick right next to the path! Read my Kaena point post to learn how to hike here and see my pictures. 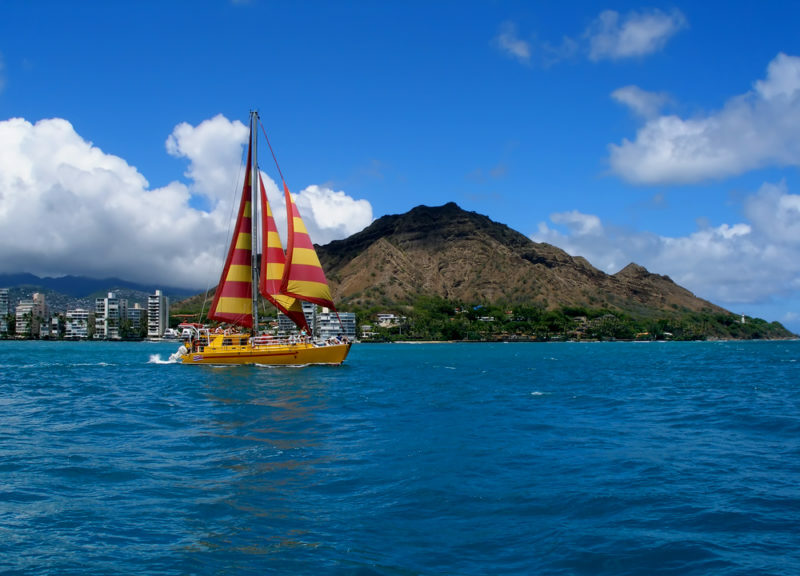 Whether it’s a whale watch cruise or sunset cruise, a peaceful, windy, salty sea breeze is the way to view the south shores of Waikiki. I snapped this photo during a whale watch cruise with Diamond Head in the background! 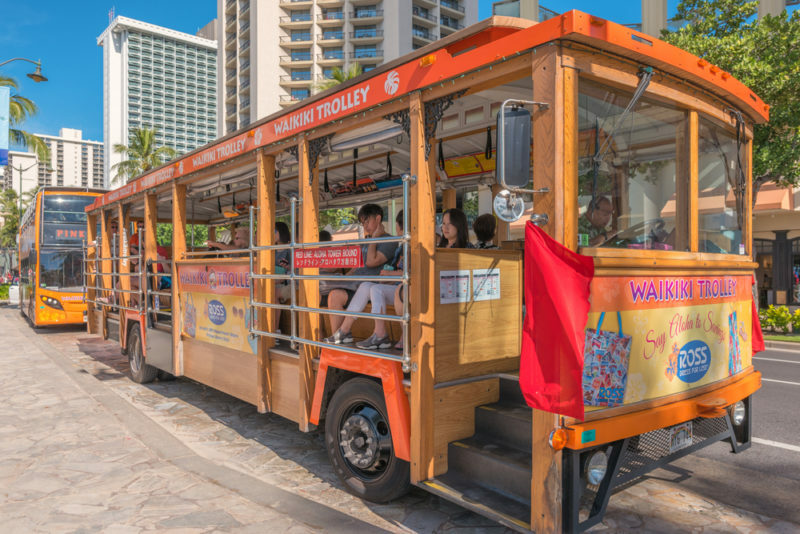 There are so many Waikiki cruises to choose from! This is a popular activity and you can choose from snorkel cruises, dinner cruises, booze cruises and even glass-bottom boat cruises! Have you ever considered flying to a different island for 1 day as an idea for things to do on Oahu? Don’t have enough time to visit another island? 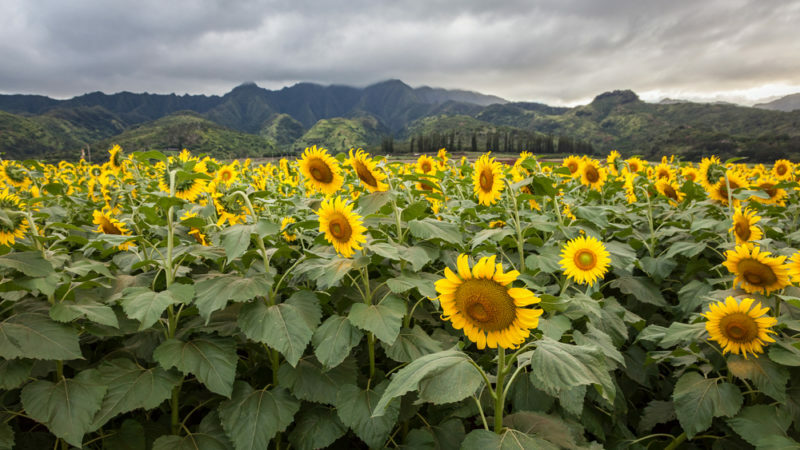 What about a quick day trip to see Kauai’s most important landmarks? As Hawaii’s oldest island, this is a gorgeous island to see from above with its canyon and cliffs. Kauai interisland day trips from Oahu are really well done and the tour guides know what they’re doing. 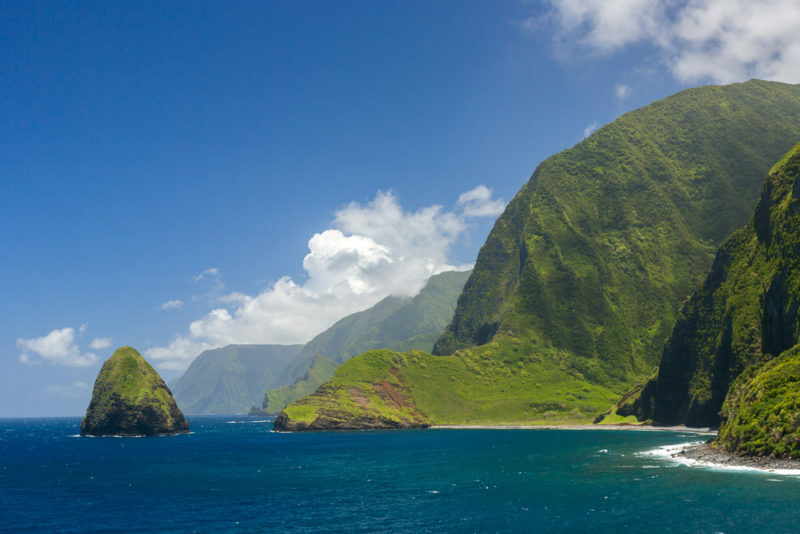 With so many iconic things to see on Kauai, you’ll have a blast. Hawaiian hula, traditional ceremonies, quick-hipped Tahitian, fireknife dancing from Samoa…these are all great reasons to go to a luau in Oahu, but don’t forget about the food! Fresh pineapple, teriyaki chicken, kalua pig and haupia for dessert are so worth it! Here are the top 10 luau activities on Oahu. 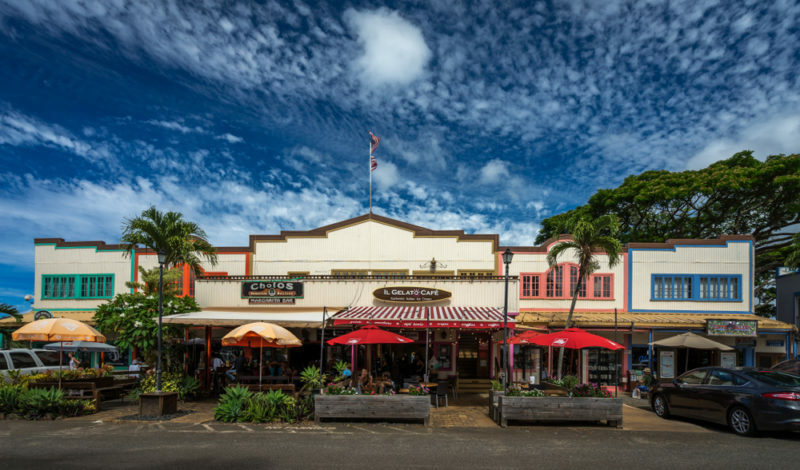 When you go to the North Shore, make sure you stop at Haleiwa Town – boutique stores, all kinds of food to whet your palate, and world-famous Matsumoto’s shave ice are waiting for you. 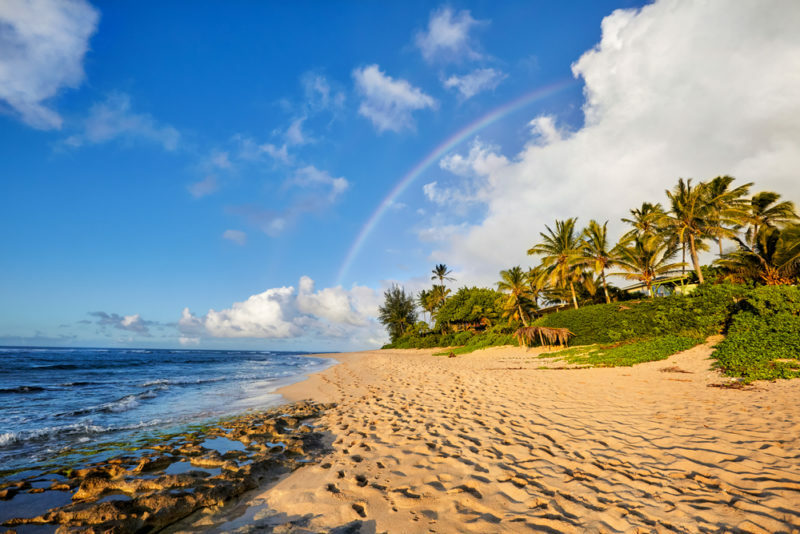 Haleiwa is the doorway to the North Shore – and the North Shore is where you can find a ton of fun things to do on the land, sea and even air! 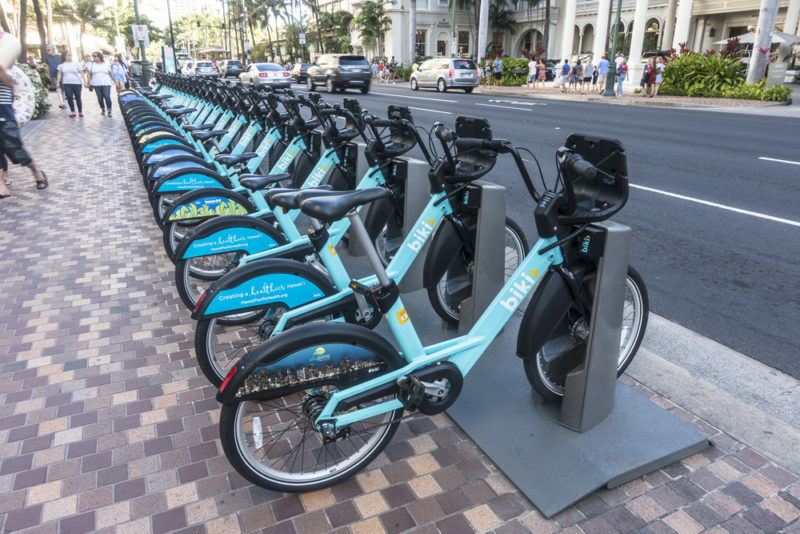 Biki bikes are the new way to travel Waikiki and downtown Honolulu on a budget and economically. It’s so easy and affordable to get everywhere that you need to go to. See the different Biki plans and find the one that fits your budget and vacation. A farmers’ market is one of the best ways to experience another culture at the local level. One of Oahu’s most popular farmers’ markets is at the Kapiolani Community College (KCC) parking lots, right next to Diamond Head. Hawaii doesn’t just have a huge Japanese population, we have a huge Okinawan population, too! Every year (usually early September), descendants, tourist, and locals alike flock to this festival for cultural booths, dancing and food. Read about my 2017 Okinawan Festival experience. 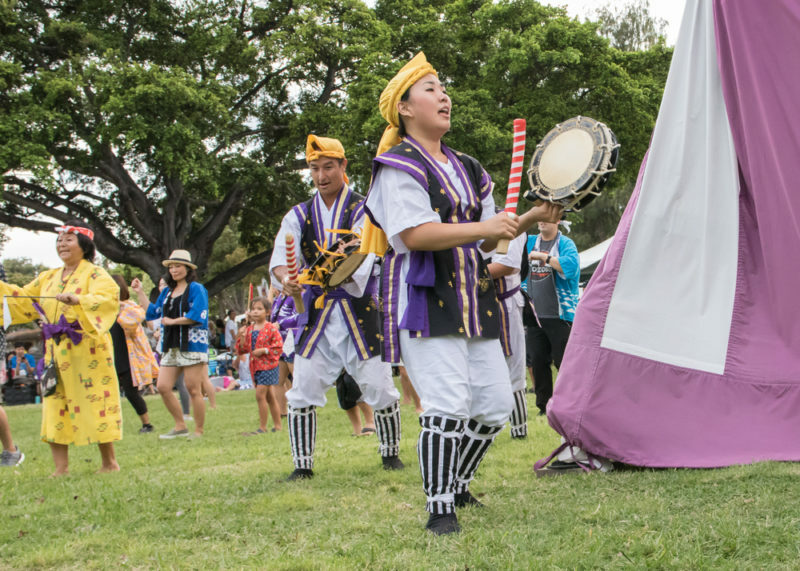 The 2018 Okinawan Festival will be held for the first time at the Convention Center (instead of at Kapiolani Park). Headed to the North Shore? Making a stop at Haleiwa Town? 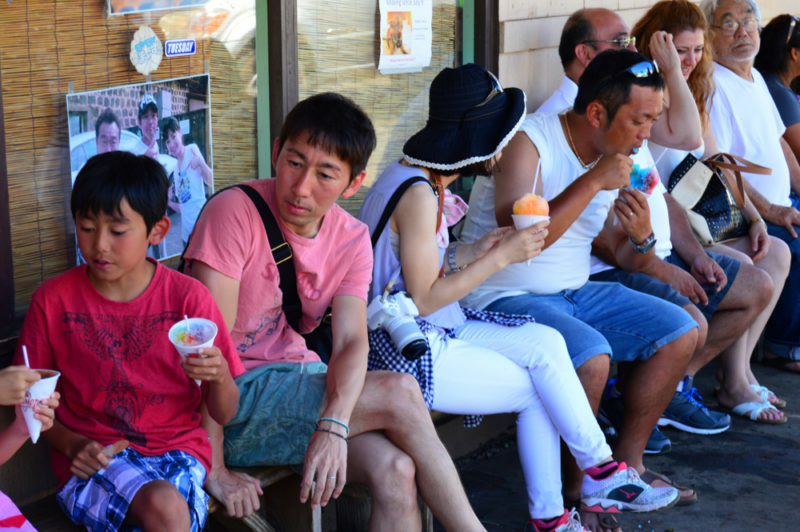 Then you have to make a stop at Matsumoto’s shave ice for an authentic Hawaii shave ice treat! Matsumoto’s has renovated and the store looks amazing – plus, there’s plenty of seating now! Check their site out to find out more. 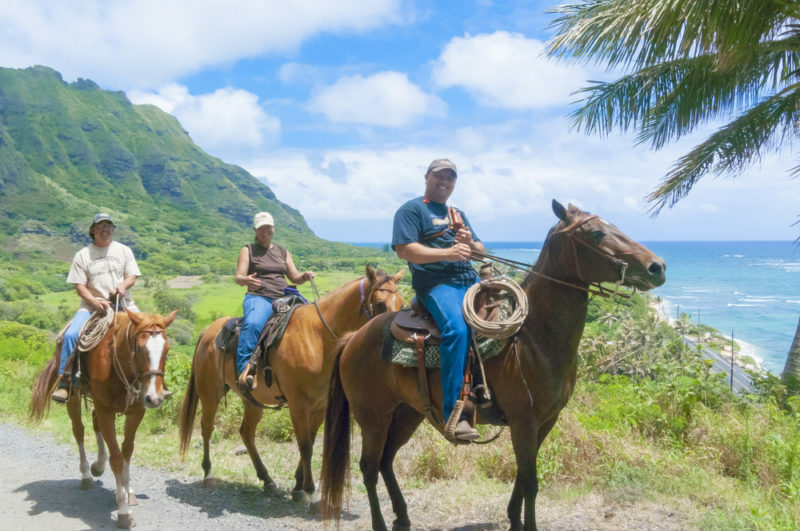 A horseback riding tour can be done all over Oahu, but the ones you really want to do are near the mountains and ocean for a ride with neverending fantastic views. Here are a few great horseback riding deals. Giving a lei is not just a casual custom here to celebrate a special occasion – it’s also a moment of honor. It’s both an honor to receive a lei and to give a lei. I have quite a few fresh Hawaiian lei posts that can help you out if you’re looking for a fresh lei in Hawaii. Here’s one on how to choose a lei for your Hawaiian wedding. Are you a foodie? 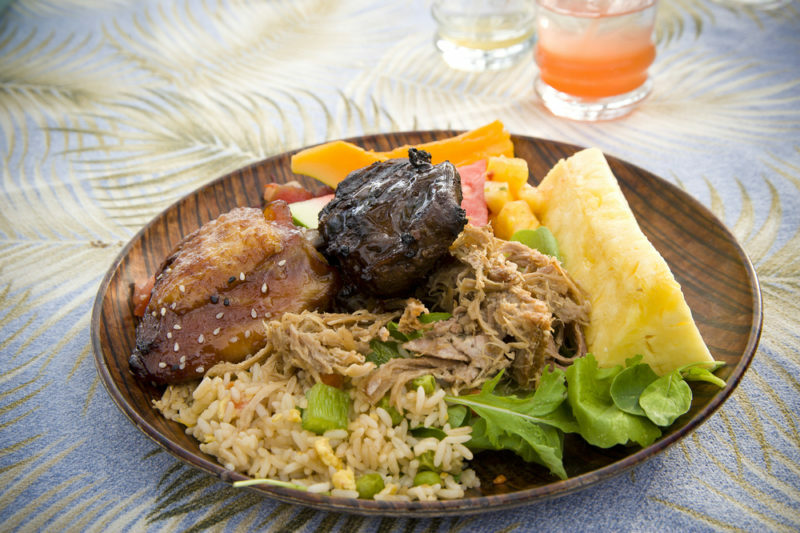 Don’t miss the chance to try out Hawaii’s numerous “plate lunches“. Some of my favorites that you can’t go wrong with: mixed plate, kalbi plate, BBQ chicken and hamburger steak. Even plate lunches have different categories! One of the most popular type of plate lunch is the Korean plate lunch. Someone doing the hard work in getting those kinks out of your shoulders? Oh yes, please! Lomi lomi massages are all about kneading and rubbing that pain away with their forearms until you’re loose like jelly. Check with your hotel to book your session. Most hotels will have a dedicated spa with at least 1 lomi lomi massage specialist. One of the coolest things to do on Oahu is cliff jumping. 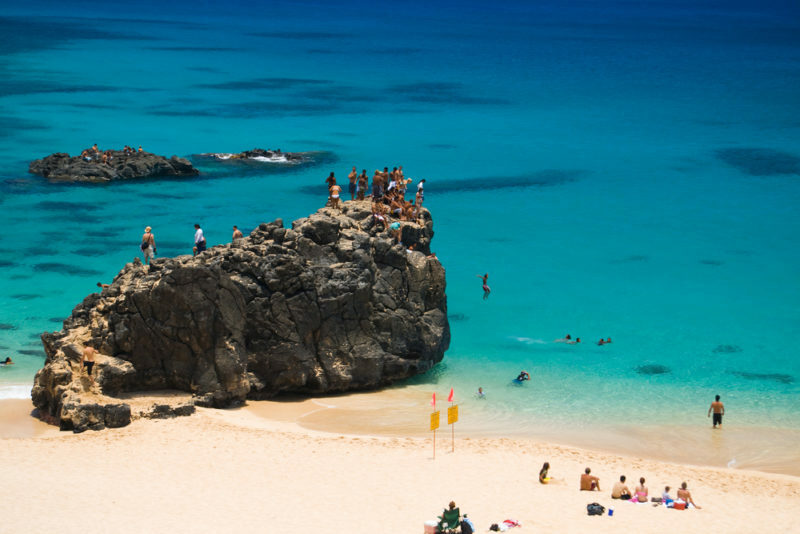 A big crowd pleaser on the North Shore is the rock at Waimea Bay – and it’s easy to see why. During the summer when the waves are almost nonexistent, everyone flocks to Waimea Bay (which is just an all-around gorgeous beach) to take their turn jumping off. If you’re not big on the going to the beach, I still recommend that you come to see Waimea Bay – it did make it into a Beach Boys song after all! How about a helicopter ride? If you’re going to do it, you might as well do it right! Hawaii’s a beautiful place to make this memory and you’ll have a reason to return to these magical islands over and over again. I used to work on a sunset cruise and once in a while we’d get to witness a proposal! These are fun because the staff is planning this moment right with you! Plus, everyone in the crowd will be all to happy in throwing in their congratulations and whistles! First of all, Coconut Island is NOT a tourist attraction. It’s not advertised on any tourist website and even I didn’t know you could go there until about a year ago! But oh is it worth it! You’ll get to see sharks in action, dunk your hands in a touch pool, learn about the studies that take place here, and also get a historical tour of the rich and famous who owned this island, which also happened to be the location for Gilligan’s Island! I was invited to tour this special island with my cousins and it was fantastic! Click to read about my tour on Coconut island. If you’re going to do dessert in Hawaii, do it right. 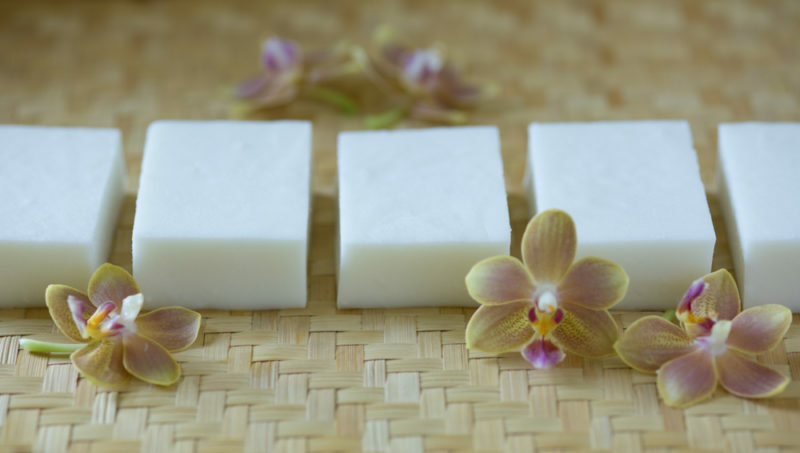 Haupia is a coconut flavored mix with a consistency between jello and pudding. You can also find it in pies, cakes and pastries. Local Tip: Haupia is often served at luaus. But if you aren’t going to one, head to Safeway to pick up a “Ted’s chocolate haupia pie”. Pretty much any local can point you in the right direction. So good. If you’re going to spend the day at Kailua beach park or Lanikai, reserve some time for the “Pillbox trail“. Although there’s more than 1 pillbox, when we say pillbox trail, most people mean the Lanikai pillbox trail. Local Tip: There’s some renovation going on here recently so check to see if it’s open before you get there. Ala Moana is amazing. Imagine a huge, outdoor mall that has so many brands you won’t know where to start! The food is my favorite since you can choose from very cheap to very expensive! Read my Ala Moana Center post. 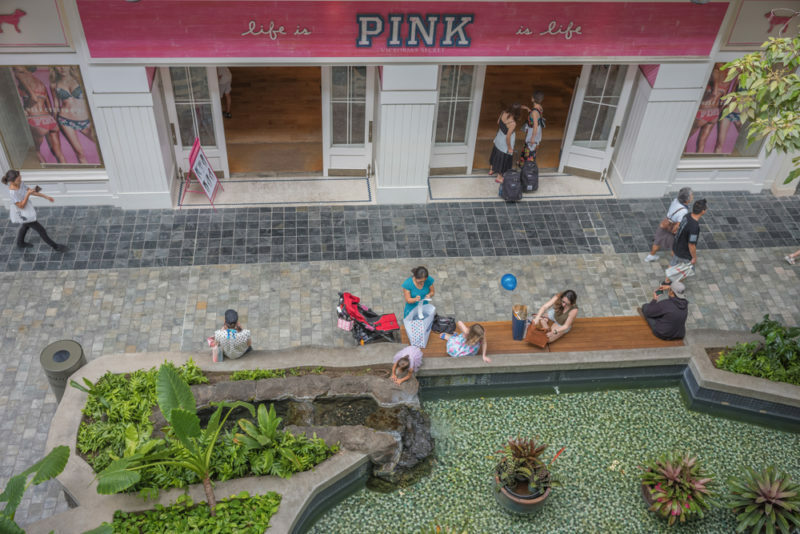 Local Tip: If Ala Moana is too pricey for you, spend the day at Waikele Premium Outlet mall. There are plenty of top brands here all at a discounted price. 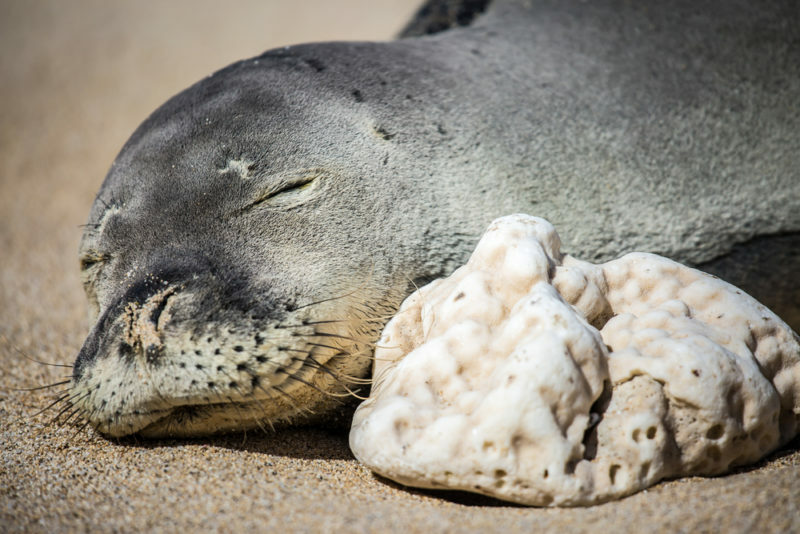 Turtles may be more common to spot on Oahu, but catching a glimpse of a dozing Hawaiian monk seal is a real treat! You have to be lucky to see these guys though. Local Tip: One of the best places to see these cuties is on the Kaena Point hike. The Big Island is so different from any other island that it deserves to be visited if you have a chance. 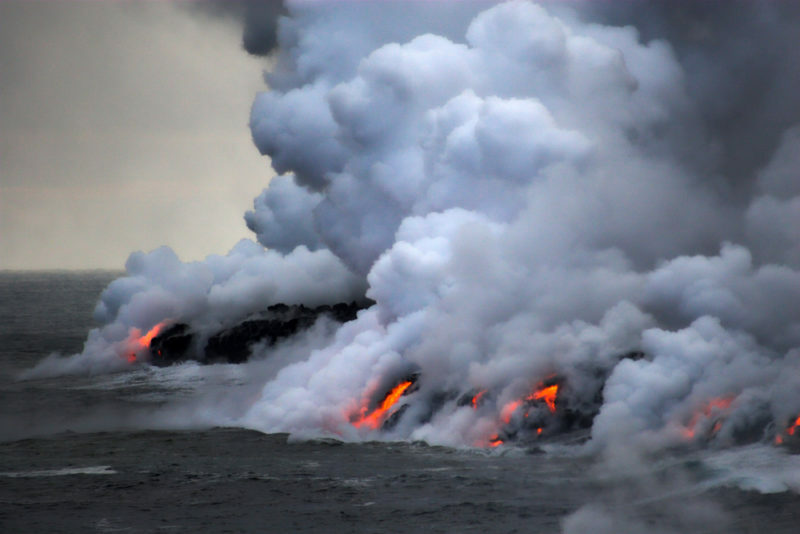 Even if it’s just a day, fly on over to see the lava! The latest Big Island eruptions have been hitting the news recently. Here’s my post of why I think you should still visit the Big Island despite the eruptions. As the USA’s only royal palace, you have got to admit that Iolani Palace is pretty special. Step where royalty once walked and learn about Hawaiian history. 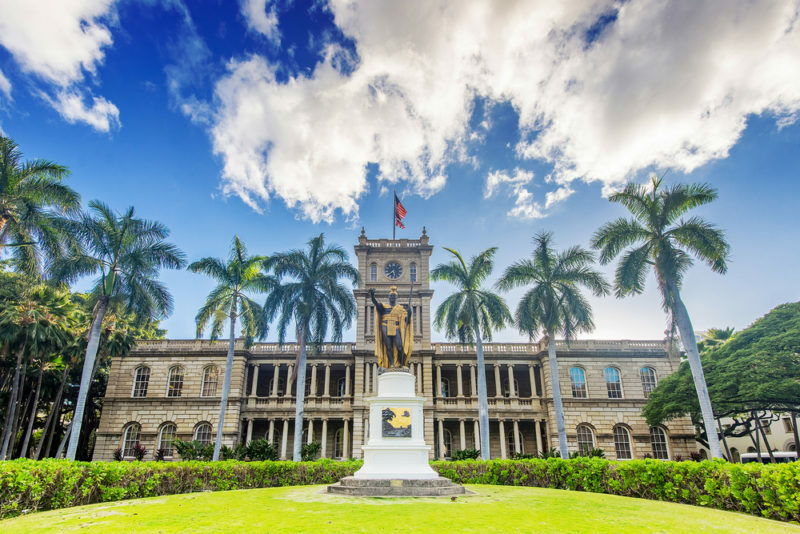 Thinking about touring Iolani Palace? Read my post about it so that you don’t miss a thing. 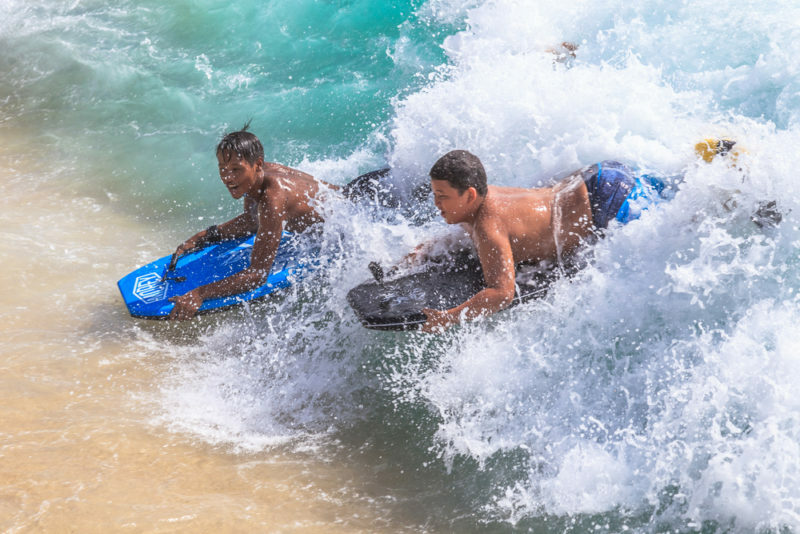 Learning how to surf is one of the best things to do on Oahu! Anyone can learn to surf! And Oahu is a great place to begin your lessons. Despite winter being the “big wave” season, there’s always a shore that’s perfect for beginners (or amateurs!). 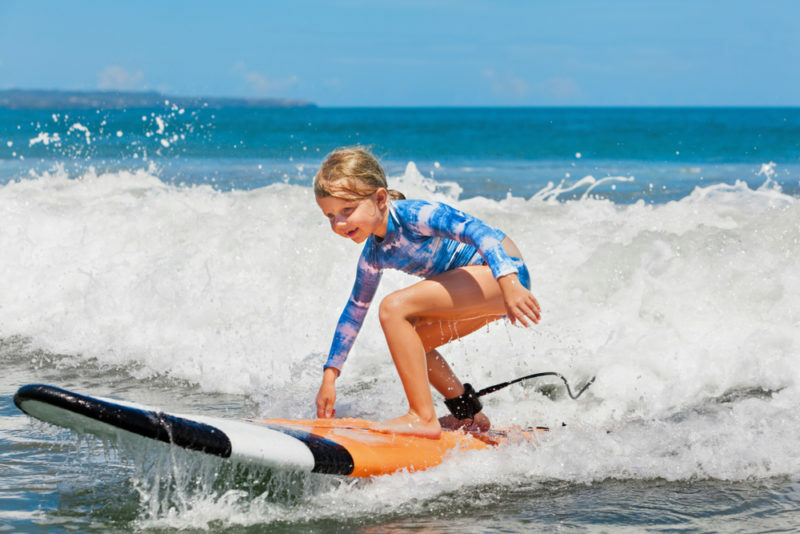 Click for awesome surfing lessons on Oahu. 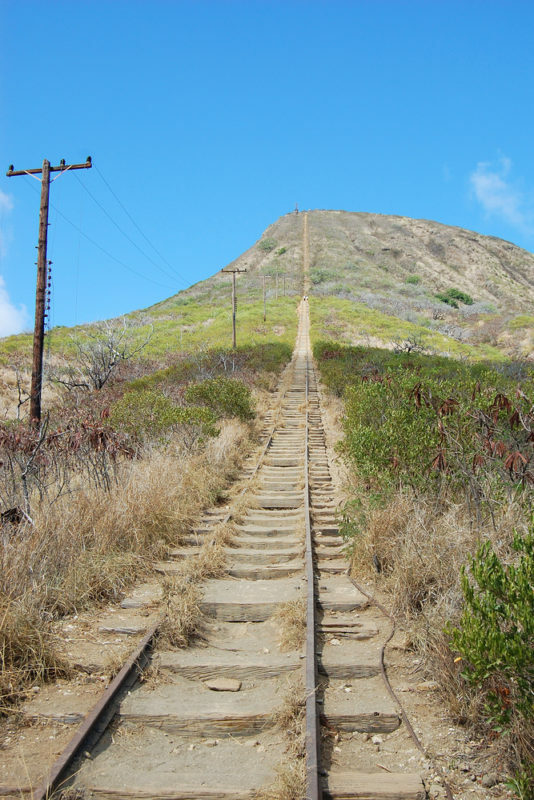 When someone says Koko Head, they’re usually referring to the popular hike that goes straight up to the top of Koko Head on old railroad stairs. Being able to reach the top certainly gives you bragging rights. But there’s another trail nearby that will get you to this beautiful shot! 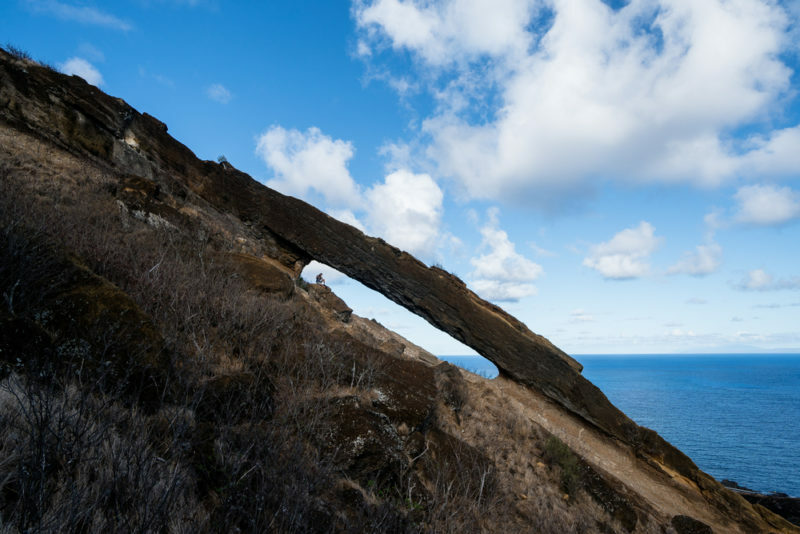 Local Tip: It only takes about 15 – 20 minutes to reach the arch from the Koko Head parking lot, but you’ll need really good shoes. There’s a bunch of small loose rocks that will be sure to make you slip. Also, coming down can be even more difficult so be prepared. 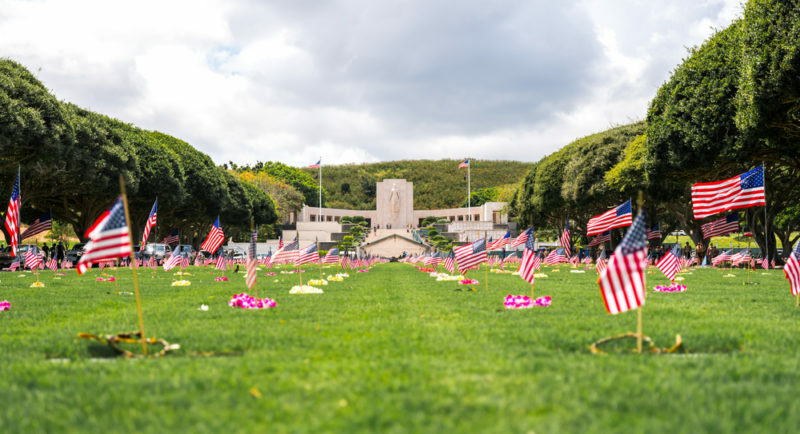 Punchbowl aka National Memorial Cemetery of the Pacific is where many of our veterans are buried. No tour buses are allowed here, so it’s a really peaceful place in downtown Honolulu if you have access to a car. Bring a lei and honor one of the many. Local Tip: Punchbowl has an AMAZING view of Oahu. At a slow stroll, it’s easy to spend at least a half hour admiring the view. 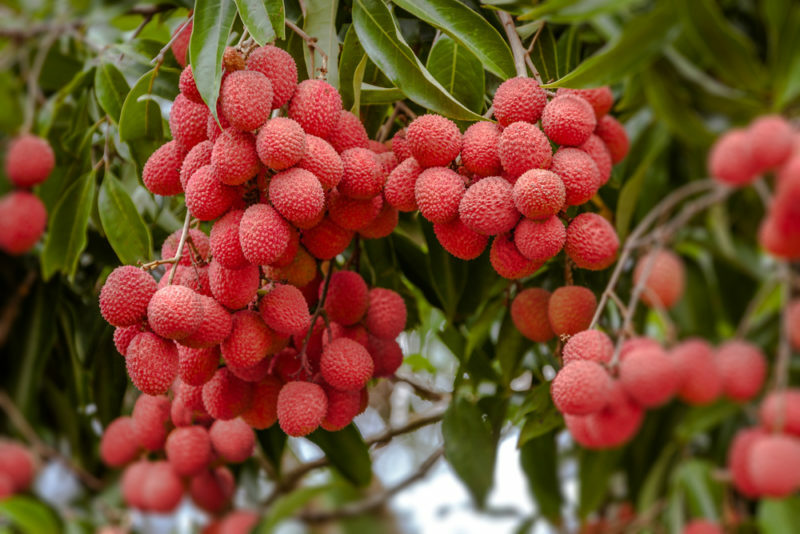 During the month of June, lychee season hits Hawaii! 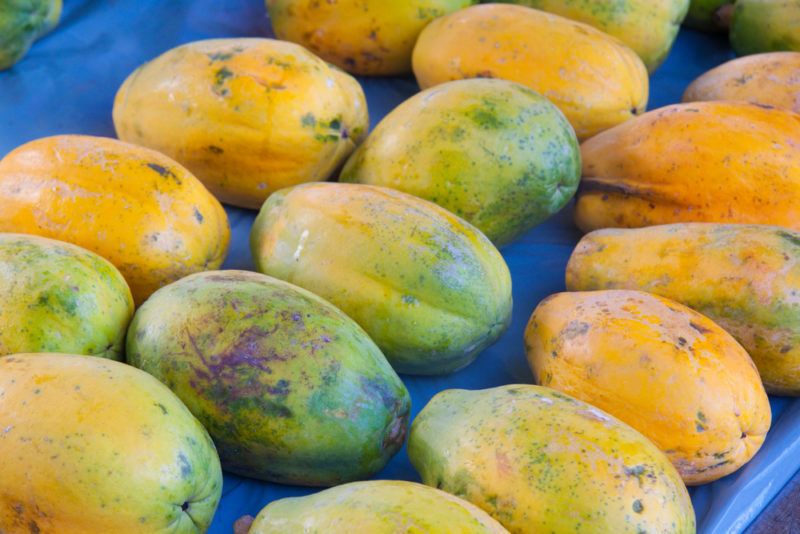 You can find this amazing fruit at groceries, farmers’ markets, Chinatown and in many backyards! Every year we go lychee picking at my Grandpa’s house, which I documented on YouTube. No Hawaii visit is complete without the inevitable hike up Diamond Head. 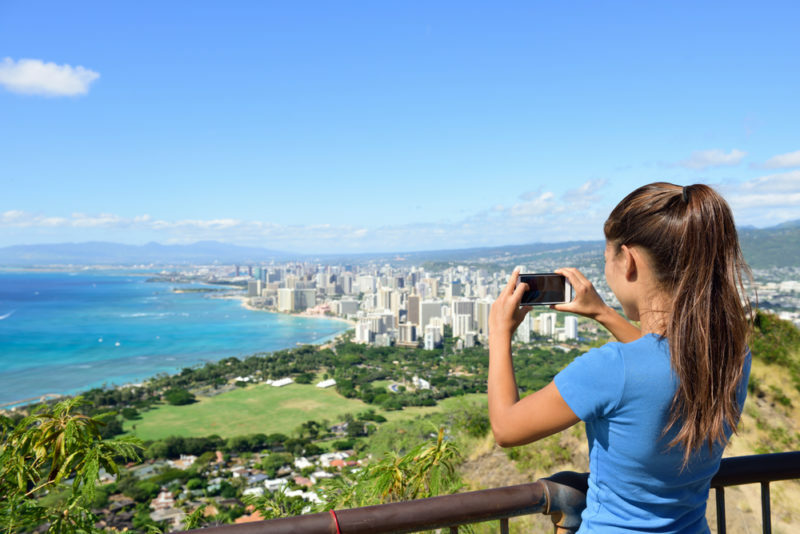 Here’s my guide on what you need to know when heading to Diamond Head. 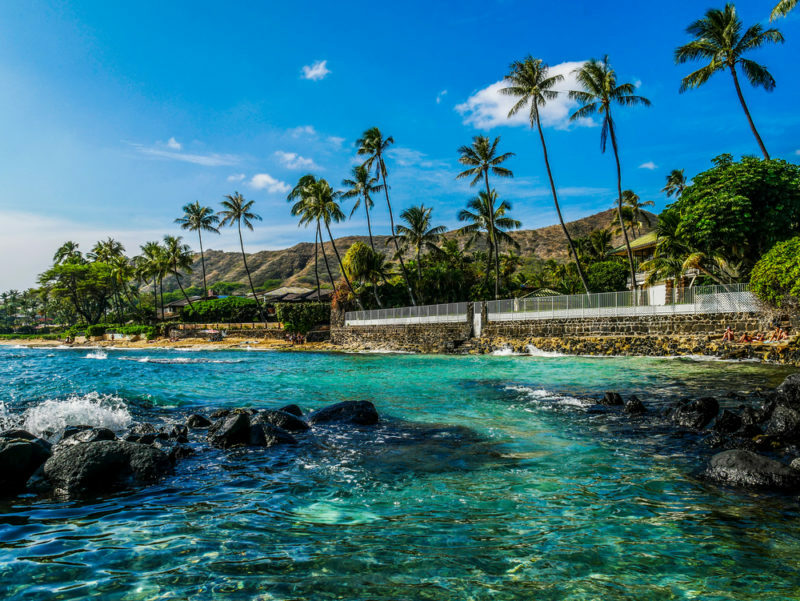 Although Diamond Head is easy to get to and amazing to hike, it’s even better with a guide who will introduce you to all of the historical and cultural facts that have made Diamond Head so famous. Coffee is delicious. But coffee from Hawaii is even better. 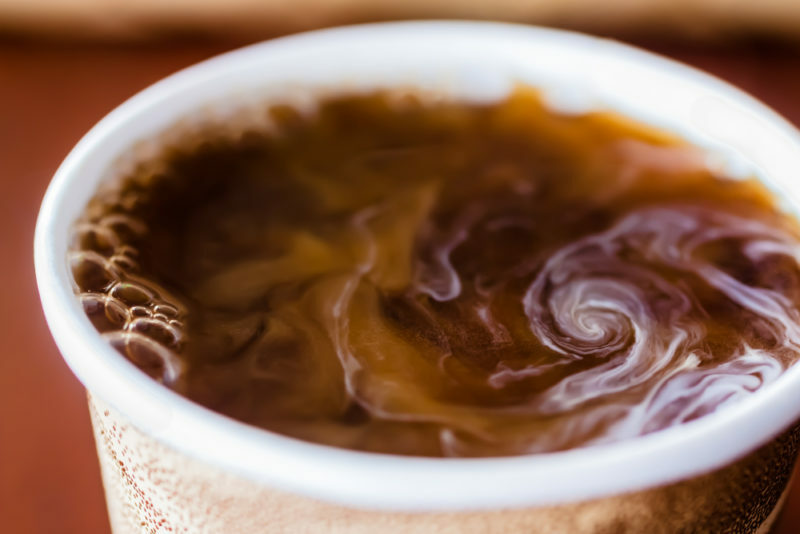 Kona coffee (from the Big Island) may be the most famous, but coffee is actually grown on most of the major Hawaiian Islands, including Oahu. Local Tip: On your way to the North Shore, right before you get to Dole Plantation, you’ll pass Green World Coffee Farm where they have plenty of samples and coffee for you to buy as a souvenir. There’s also a coffee shop where they’ll brew delicious coffee to take with you on the road. Tour the plantation on a train, try out the maze (it was once the biggest maze in the world), and eat pineapple (of course!). I’ve been to Dole Plantation several times with friends and even worked there for a few months during a summer. 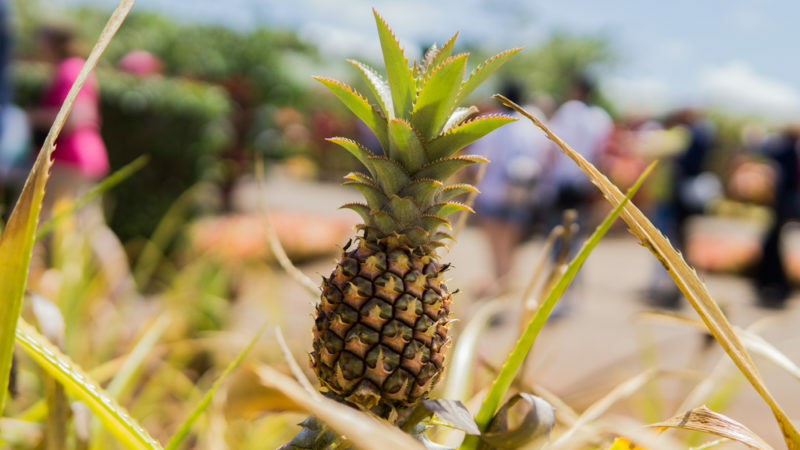 Read my post on Dole Plantation. Local Tip: The 1 thing that you must absolutely do is eat Dole Whip! I’ve been to many “Hawaiian” restaurants outside of Hawaii. It’s always fascinated me to see what other cultures deem “Hawaiian” and the acceptable way to serve it. 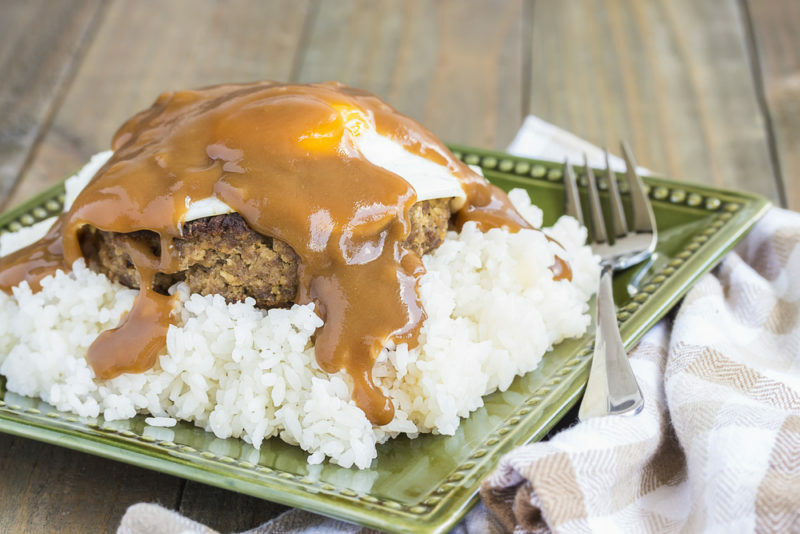 One big difference that I’ve noticed is that outside of Hawaii, the loco mocos are usually not nearly messy enough! One of my favorite loco mocos can be found at Rainbow Drive-In. They’ve been in Hawaii for a long time and are one of the founders of the plate lunch standard. Most visitors on Oahu end up staying in a Waikiki hotel. Which means there’s almost no way to avoid Waikiki beach. It’s literally a few steps away! Waikiki may be crowded, but it’s so beautiful, safe and enjoyable, which makes it all worth it. 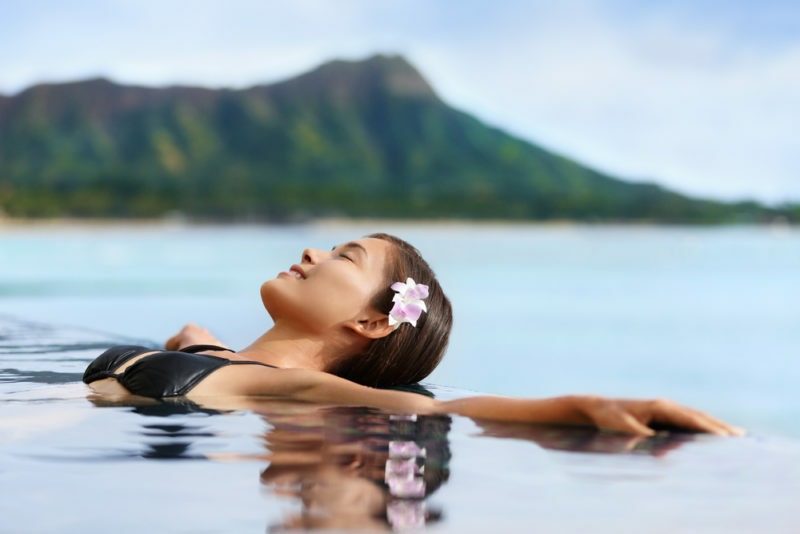 Click to find out what else can you do on Waikiki beach besides swim and tan. You’ve heard the tune, now see the locations! If you’re a fan of the new (or original!) Hawaii 5-0 TV series, it’s worth it to sign up for a Hawaii 5-0 film location tour. Not only do you get to see these cool places, but it’s also a great way to see the rest of the island. 2 birds with 1 stone! Click to book a Hawaii 5-0 tour that’s got awesome reviews! Maybe surfing and rolling waves aren’t your thing? Have you thought about kayaking? You can go on a guided tour, or just go by yourself. The best thing is that there will be a lot less people where you’re going! A glass-bottomed kayak offers a unique experience to see underwater! It’s like floating in a glass bowl! If you need more ideas on things to do on Oahu, check for upcoming festivals, events and parades. 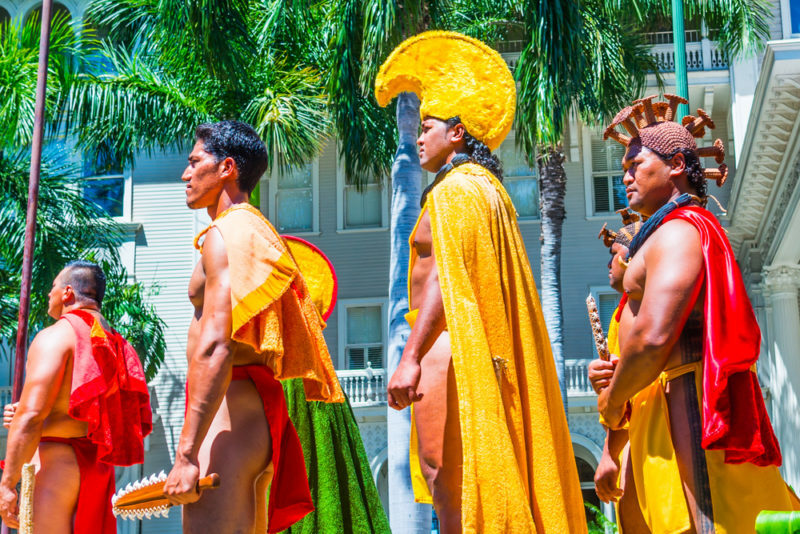 Aloha Week happens once a year and each island celebrates in their own unique way. Oahu draws the biggest crowd with its block parties, hula performances and garlands upon garlands of fresh Hawaiian leis. The parade is a major attraction since you’ll get to see a variety of traditional figures and elaborate floats. For more information, check out the Aloha Festivals homepage. Make sure you try at least 1 poke (poh-kay) bowl while in Hawaii. Some popular choices for this raw fish dish is tako (octopus), shoyu ahi and spicy tuna. Local Tip: There are quite a few stores that specialize only in poke, but if you can find a Foodland (local grocery), they have a great poke selection that won’t disappoint. 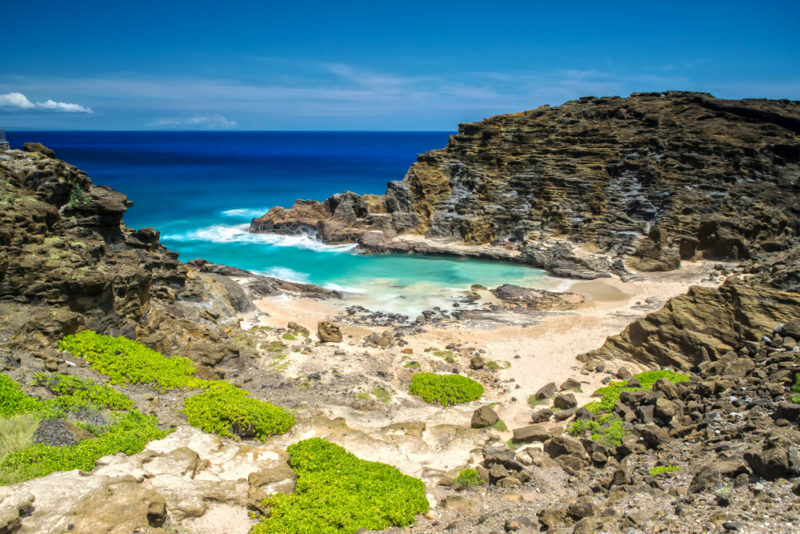 By now you’ve probably done a bunch of research on Hanauma Bay and the amazing snorkeling there, but if you’re looking for an even more amazing time, head to Shark’s Cove on the North Shore. Local Tip: Snorkel gear rentals are right across the street. 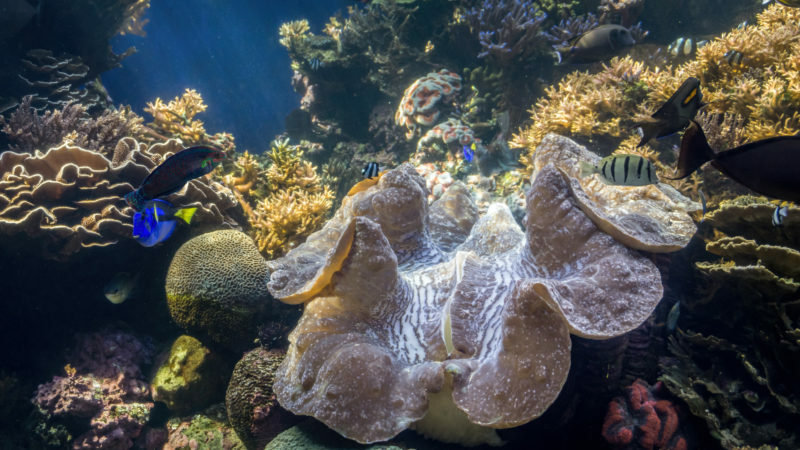 The Waikiki Aquarium is perfect for an indoor activity. 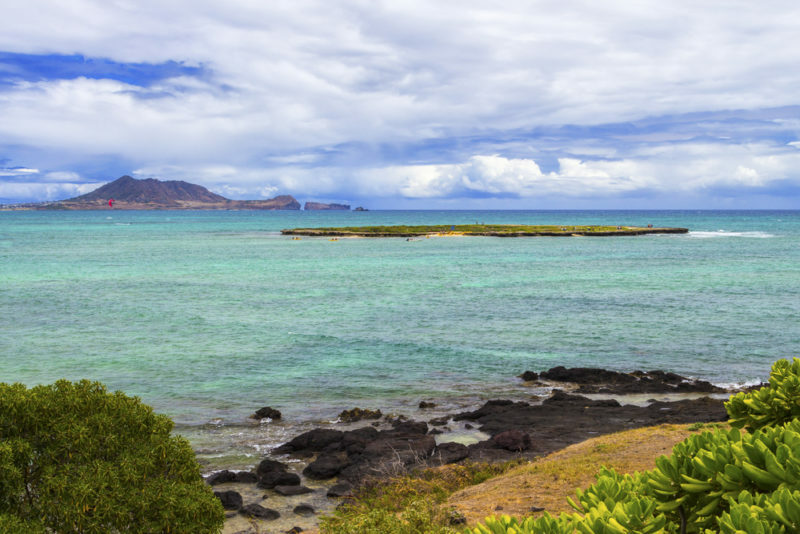 You’ll get to see a bunch of fish, a turtle and even a pair of Hawaiian monk seals. There’s also a large touch pool outside that’s great for kids. Visit their website for more info or to book your tickets. Oahu is great for artificial shipwrecks and the Baby Barge (and Mini Barge) are 2 popular dive spots. Sea life has completely taken over these ships and the chance to explore this creepy and beautiful landscape is a one-of-a-kind experience. 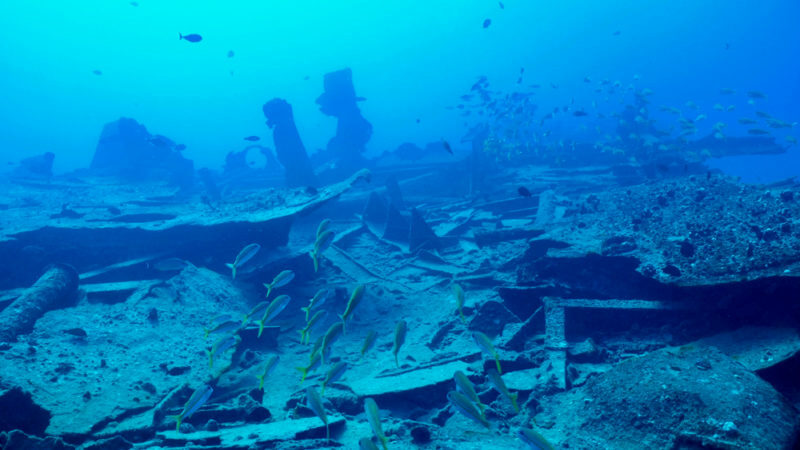 Oahu Shipwrecks can hook you up should you want to dive to Oahu’s artificial shipwrecks. The difference between a kayak/canoe and an outrigger canoe is peace of mind. The outrigger makes your ride extremely stable. In fact, it’s difficult to make the boat flip over. This is a great opportunity for anyone just entering the world of rowing. 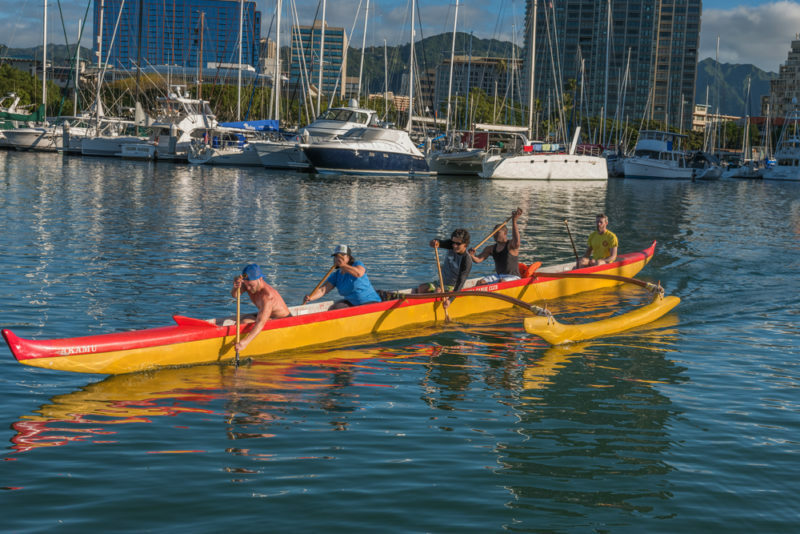 Looking for an outrigger canoe ride? How about a ride the the beach boys of Waikiki? Another local dish that you need to try is lomi lomi salmon. Think fresh salsa with salted salmon…oh yes. It’s great on rice and I often mix it with fresh poi. 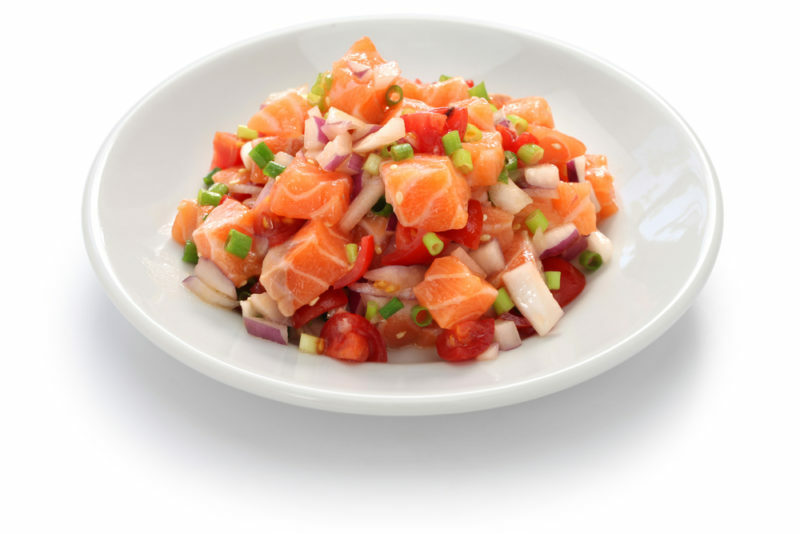 Local Tip: Instead of a restaurant, you can buy lomi lomi salmon at a regular grocery store such as Safeway or Foodland. If you do the Lanikai pillbox trail, you’ll see 2 islands that we like to call the “mokes”, short for Na Mokulua (the two/twin islands). Reaching the mokes is possible and makes for a rather fun trip. Local Tip: The most popular way to reach the mokes is by kayak. You’ll have to reserve a kayak in advance (there are none on the beach). There’s a reason why Sunset Beach is famous for sunsets. Just when the sun begins to turn the sky orange, the glow overflows onto the sand and makes it glow like the sky. This famous beach is just past Pipeline and is another great place to watch surefooted surfers maneuver their way among the waves. Local Tip: While winter is great for spectating the big waves, Sunset Beach in the summer is awesome for snorkeling! 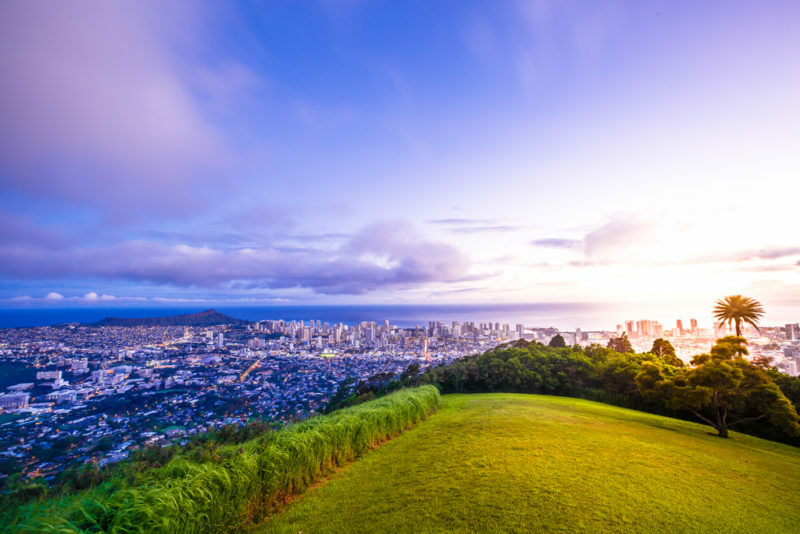 Visit the Pali lookout for an incredible view – it’s one of my favorite things to do on Oahu and I always take my visiting friends here. 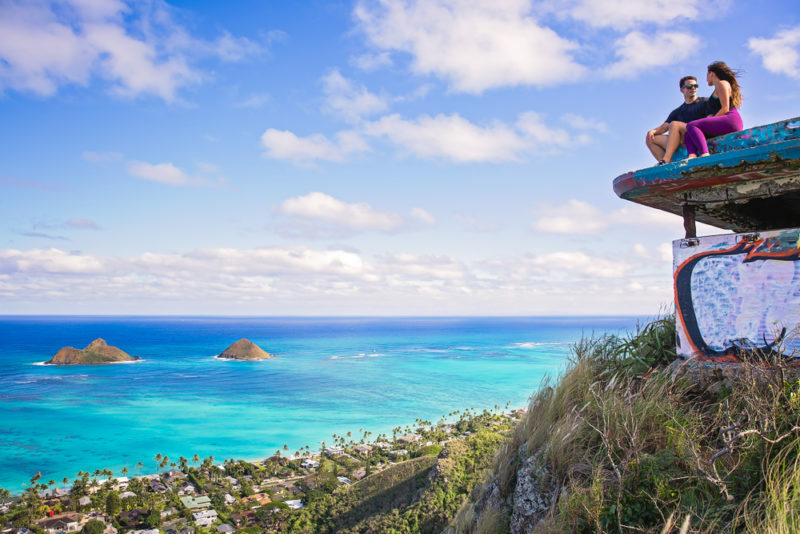 For some reason, many Hawaii visitors miss the lookout. Maybe because it’s in the middle of downtown Honolulu and Windward Oahu? Regardless, the view is spectacular here and the wind is sometimes so strong you can lean into it without fear. Local Tip: The parking here is paid parking, but if you have a Hawaii ID or driver’s license, show that to the parking attendant (blue uniform) and you can go in for free. Also, the parking attendant is not always here – so it’s your choice to chance it. 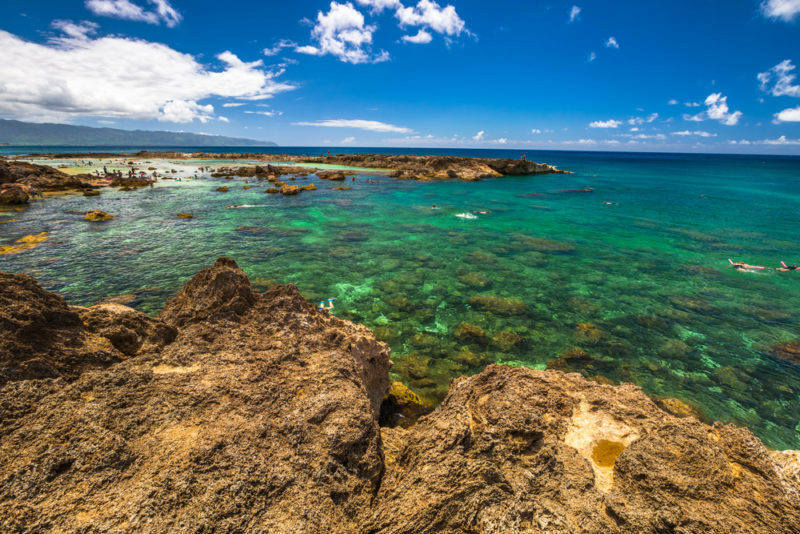 Maui is absolutely gorgeous, and if you don’t have enough time to spend a few days in Maui, then consider a day tour from Oahu. You’ll get to see the highlights of Maui and will be back on Oahu by dinnertime. There are different Oahu to Maui day trip itineraries, but the most famous by far is the Road to Hana adventure. 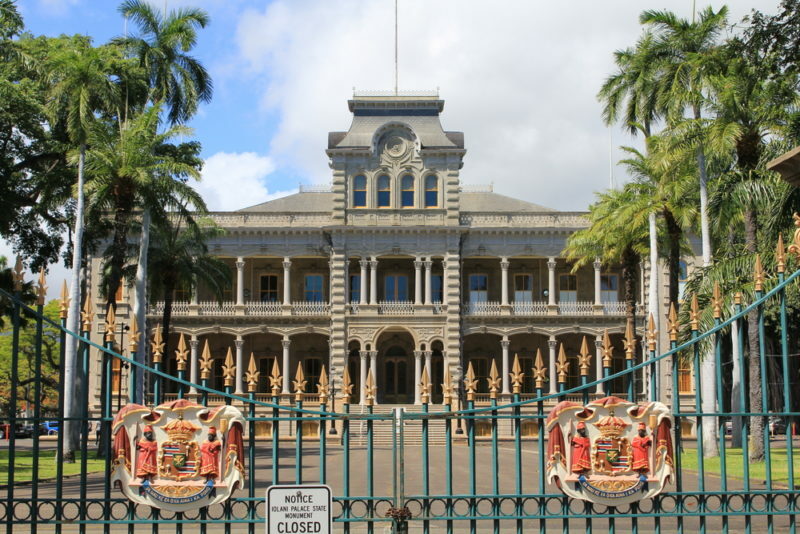 If you like Iolani Palace, then the Bishop Museum is another place where you’ll feel right at home. 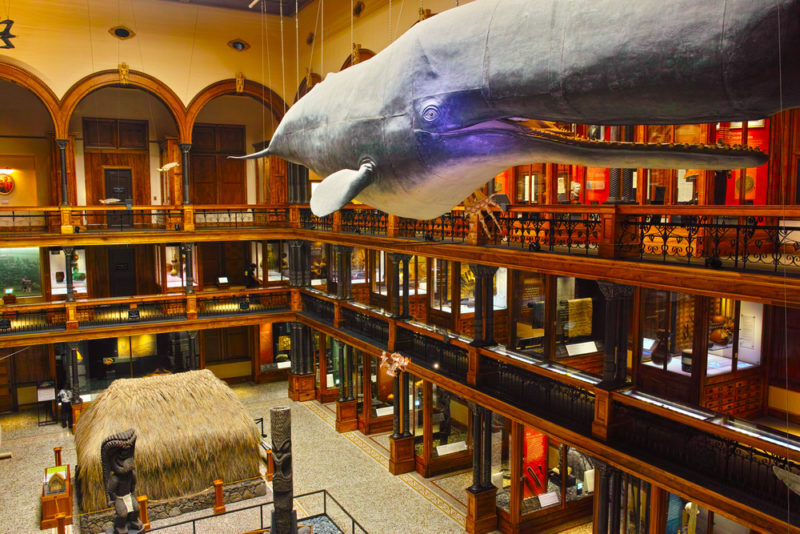 The Bishop Museum covers everything about Hawaii historically, scientifically and culturally. 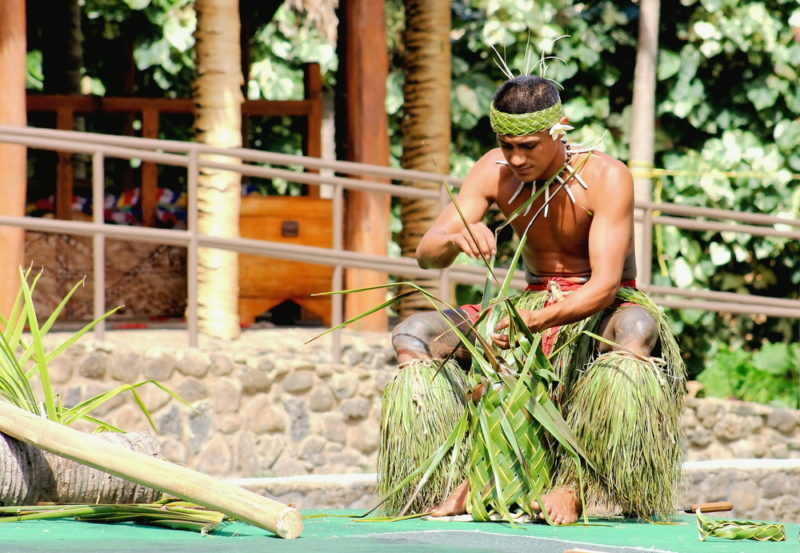 It’s a fascinating place to see authentic and traditional Hawaii. Besides getting admission to the Bishop Museum, I highly recommend getting tickets for the Planetarium as well. This is not your usual planetarium experience where they discuss the stars, meanings and scientific happenings. 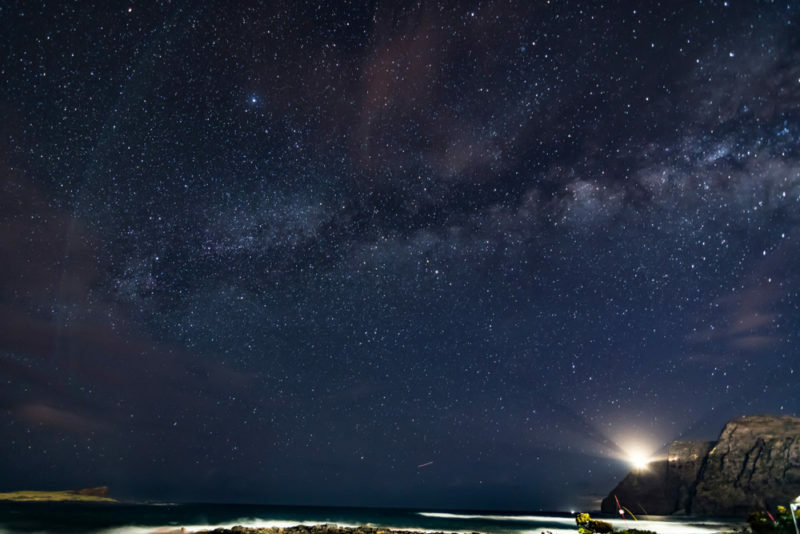 Instead, you’ll see the stars from a Polynesian point of view and hear their fairytales. What’s really neat about the Honolulu Zoo is that it’s like a botanical garden in the middle of Waikiki. There’s a huge variety of plants and trees, plenty of shade and large fields of grass where the staff welcome you to picnic and enjoy your visit. Click to read about my Honolulu Zoo experience. 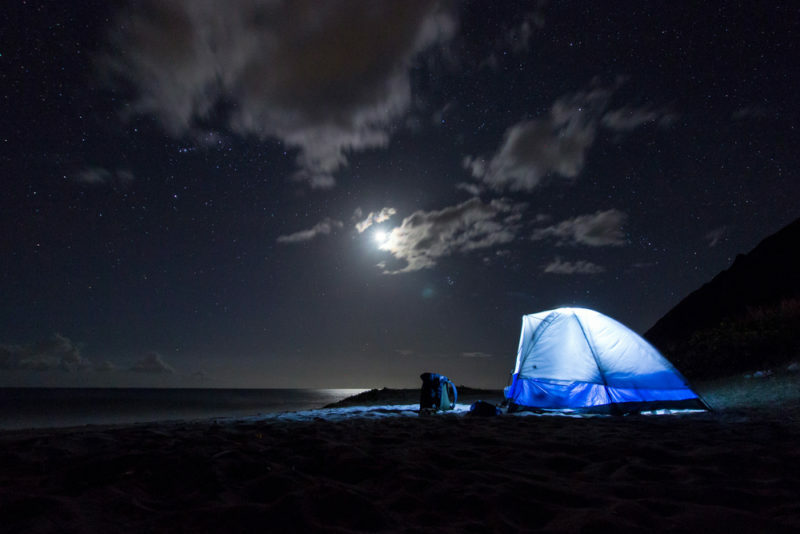 Did you know camping is a thing in Hawaii? Any 3-day weekend and you’ll find plenty of tents, BBQs and potlucks at camping grounds and beaches. Just make sure you do your Oahu camping research in advance and get your permits beforehand. Local Tip: Camping can only be done (legally) from Friday thru Tuesday at official camping ground/beaches. Coming to Hawaii means gorgeous golfing opportunities. Even if you don’t know what you’re doing (like me) you need to go because it’s a beautiful walk with lovely breezes and fantastic views without the crowd! 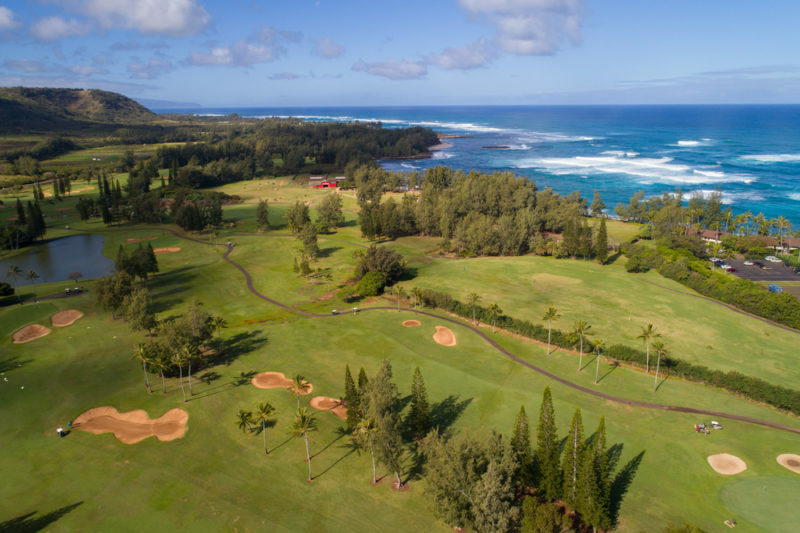 Local Tip: Hawaii Tee Times offers huge discounts for golfing in Hawaii, sometimes even half off! Lava tubes, tunnels and caves are plentiful and popular on the Big Island, so coming to one on Oahu is pretty unique. Local Tip: This particular lava cave is at Cockroach Bay. Neat name, right? No worries about the cockroaches though – I haven’t seen one yet! 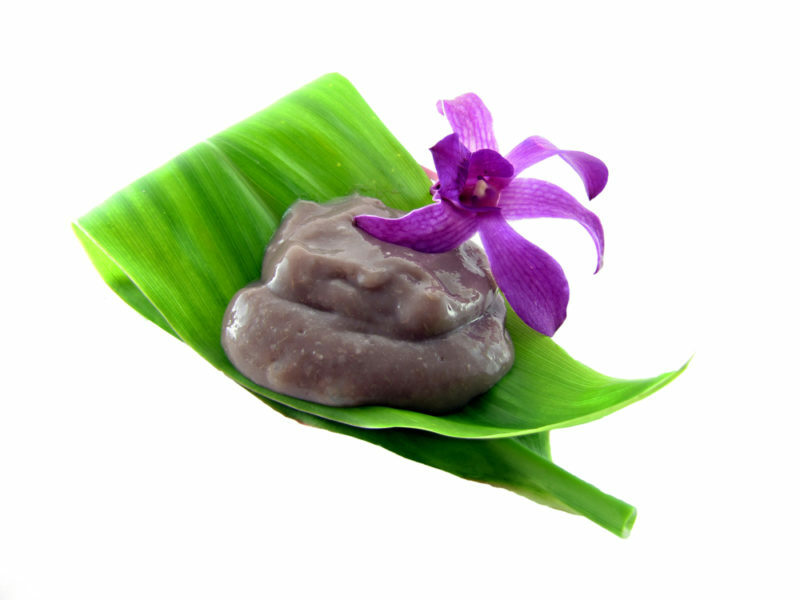 Poi is the result of cooked Hawaiian taro pounded with water to get this jelly consistency. It made up most of the starch diet for ancient Hawaiians and can often be found at luaus and Hawaiian potlucks. Local Tip: It’s an acquired taste for most people. I love it, but that’s because I’ve grown up with it. There’s nothing quite like freshly pounded poi that’s starchy, slightly sour and filling. If you’re looking for something a bit more savory, try desserts that feature poi such as pies and fried mochi. Personally, I love to eat my poi mixed with lomi lomi salmon. A helicopter tour is one of the most popular tours in Hawaii. It’s private, there are terrific views and you’ll get to see what most people won’t. Seeing the island all at once is pretty magnificent, especially with clear glass and huge windows. Tip: Did you know that some Oahu helicopter companies offer a “doors off” experience – so worth it to feel the wind as you fly! 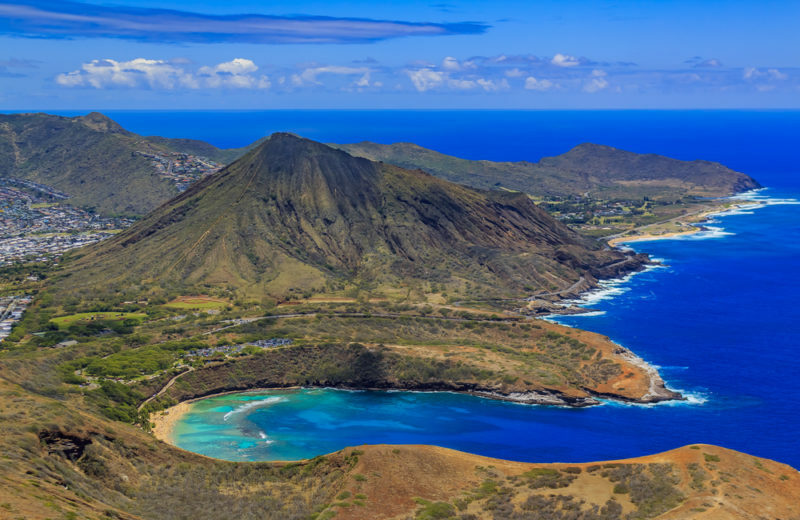 Once you’ve made it to the Makapuu lighthouse, drive next door to Makapuu beach for a break! This is one of my favorite beaches because it’s so fun. There are decent waves so that you can play in the surf, the sand is lovely, and look at that view! Local Tip: Have tiny kids? Right after Makapuu beach is “Baby Makapuu” a small area with tidepools where the big waves don’t come in. This is a popular spot for parents to bring their small kids and infants to sit and play in the ocean water. 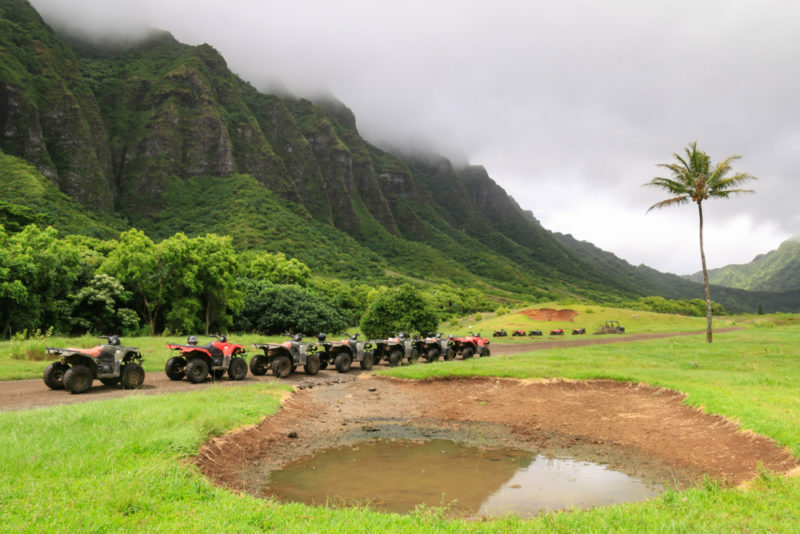 Kualoa Ranch is famous not just as a playground for outdoor activities, but also because a ton of Hollywood movies and TV shows have been filmed here. It’s amazing to be driving about and suddenly recognizing iconic jungle and mountain landscapes from your favorite blockbusters. Kualoa Ranch has several movie tour combinations. Make sure you book the right one. 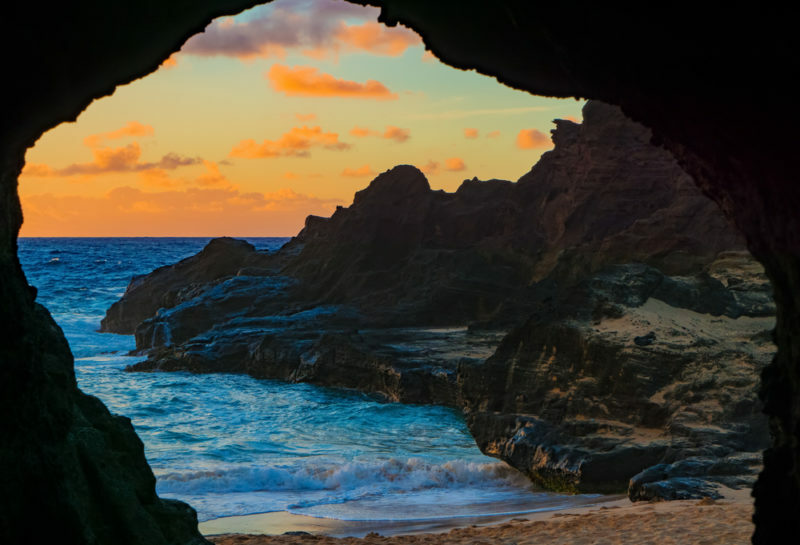 Visiting secret beaches are always neat to add to you “things to do on Oahu” list. Near Doris Duke’s Shangri-La is Cromwell’s beach – a fantastic hidden spot with a rock wall and rock bottom. No sand stuck in your swimsuit here! Local Tip: I suggest coming here early in the day to have it to yourself and to snag parking. 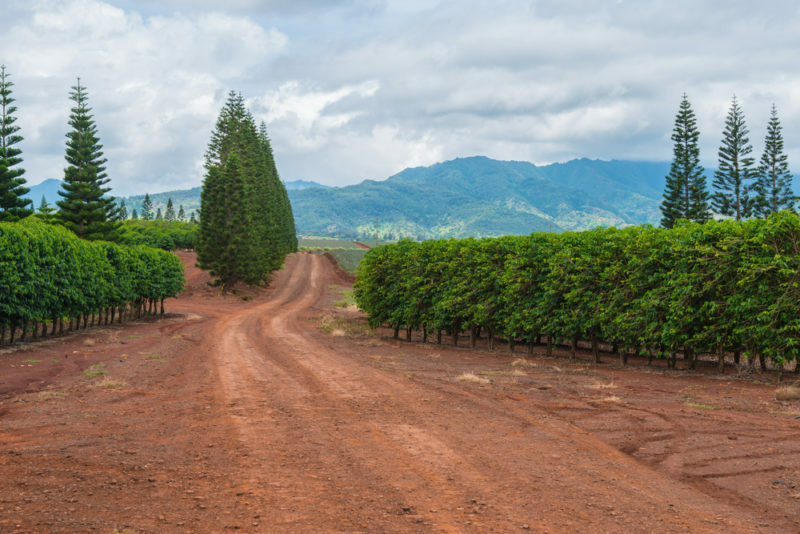 Waialua Estate is the only coffee farm on Oahu, but if you have a chance to go, it’s a great opportunity. Although it isn’t advertised on their site, you’ll usually get a tour of the facility! You can find more info on the Waialua Estate website. 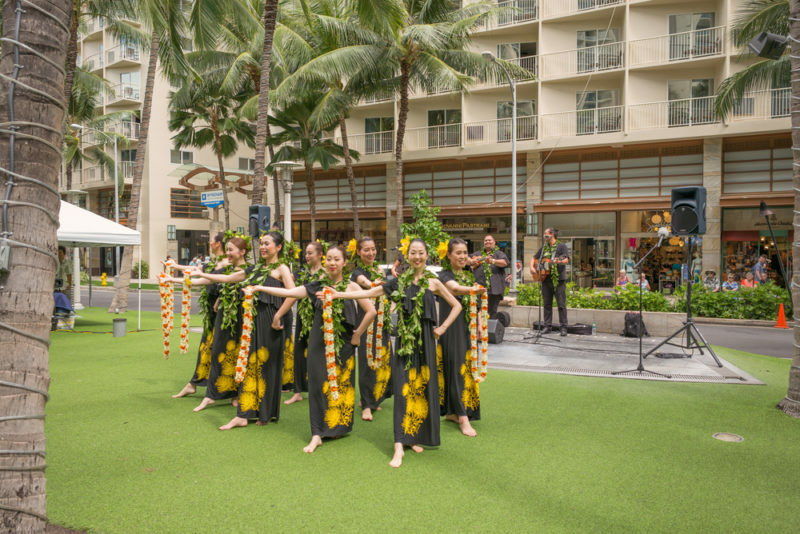 Besides the ocean views, shopping and beautiful Hawaiian weather, the free hula performances also help to make Waikiki that much more special. There is always some kind of performance happening to brighten up your day. Here’s a list on Oahu’s free hula shows that you can go see. This hike will take you about 3 hours, but I can honestly say that it is worth it! The view is lovely here and it’s one-of-a-kind! I’ve climbed this ridge trail and it’s a great workout with a beautiful flat platform where you can have a simple picnic! 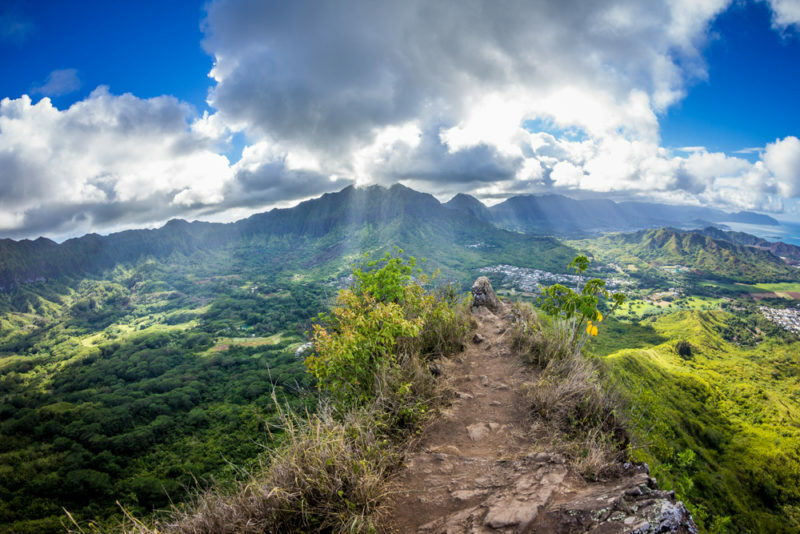 Kuliouou Ridge Trail isn’t the only hike that will make you sweat. Here are a few more! If a car is too expensive, and a bike to slow, consider riding a moped to get where you need to go. There are moped rental companies all over Waikiki with great deals. Here’s a great moped deal to get you to awesome sightseeing spots. On the Kaiwi coastline, you can hike to Pele’s Chair and take a dip in the water. This easy trail is more of a walk and is right next to the Makapuu lighthouse trail. 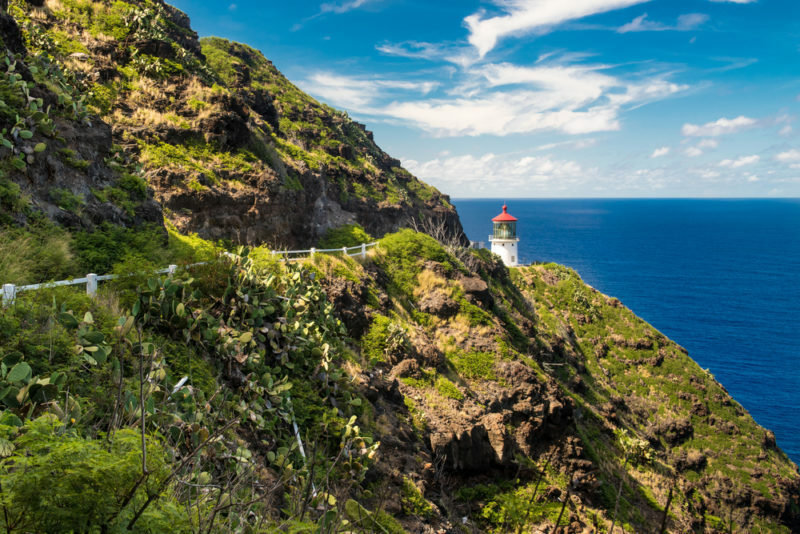 Check out the Makapuu lighthouse trail which is also an easy trail complete with flat asphalt and beautiful views. Coming to Oahu during the winter months means 2 things to me: whale watching and surfing tournaments. Check out which surfing tournaments are coming up during your visit and spend a few hours watching these talented men and women rock humongous waves. Local Tip: Probably the most famous is the Banzai Pipeline tournament held at Ehukai beach. 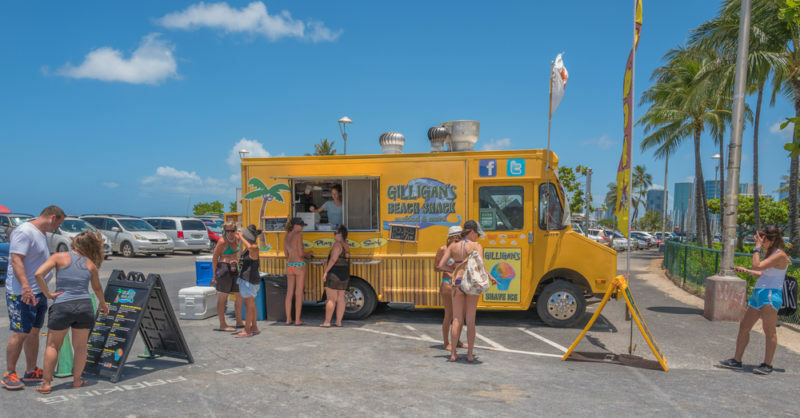 A food truck is a must for your “things to do on Oahu” list. There is a food truck movement in Hawaii and it’s going strong! We’ve got monthly “Eat the Street” events, farmers’ markets and even popular beaches, parks and events are visited by food trucks. 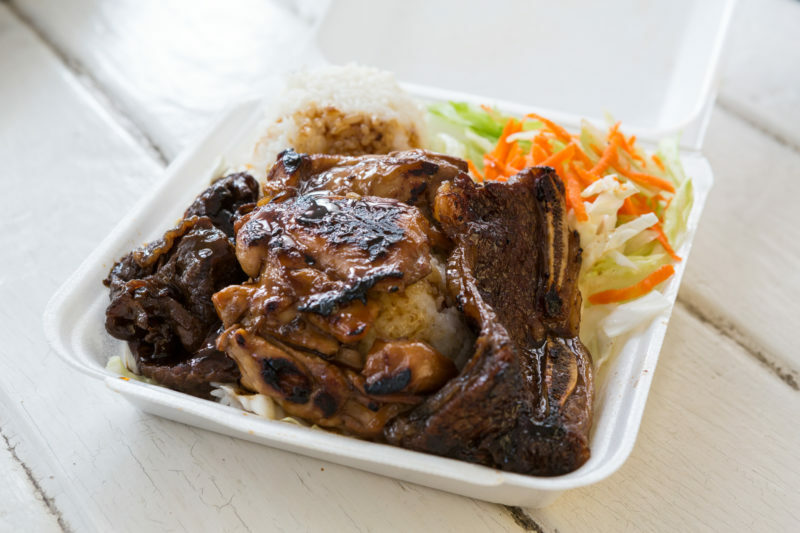 Local Tip: A few popular food trucks are garlic shrimp trucks, Korean BBQ plate lunches, and shave ice (best for after a long hike!). For those in the sailing community, you know that there’s just something about sailing that really brings out the happiness in us. Being able to move with just the wind and maneuvering around the islands is not only peaceful, but a unique experience. Sailing is also a popular choice if you want to go on a booze cruise with a more private experience. The Holokai Catamaran is just one such ship! Speaking of booze cruises, how about one on land? 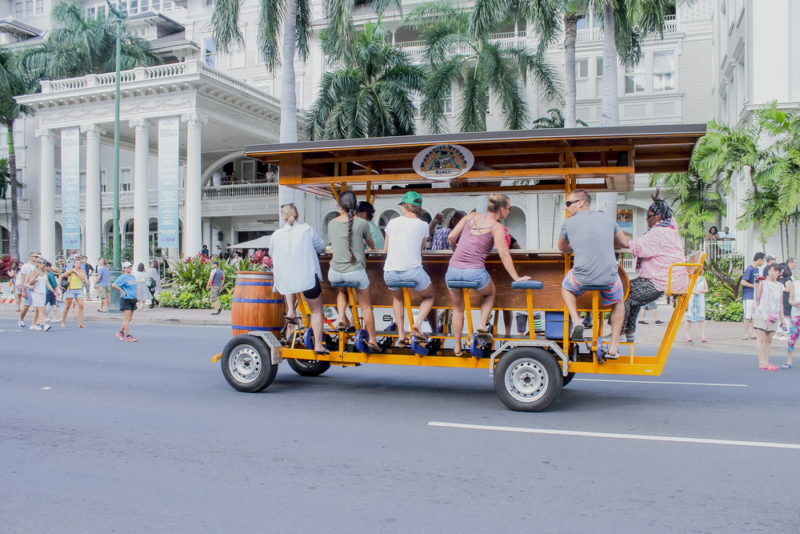 Hop on this party bike and get your Happy Hour started early! You can eat and drink your way through Waikiki while enjoying the view outside. This is a great activity for any kind of team bonding or large group. Book your reservation with the party bike. 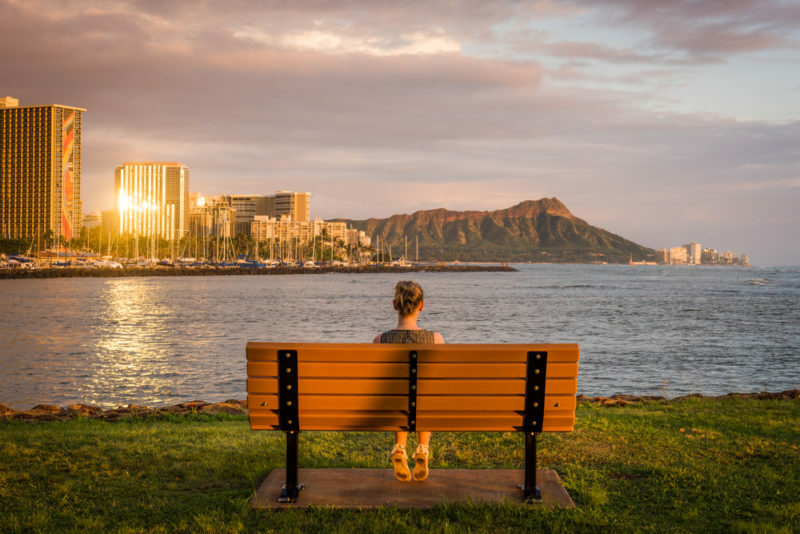 Most tourists end up at Waikiki, but right next door is another beautiful beach and park – Ala Moana beach park. It’s perfect for beach days, BBQs, picnics and parties. Local Tip: This is also a fantastic place for a morning jog. There’s a cement walkway along the length of the beach and throughout the park. There are also pathways on Magic Island – another beach park that sits right next to the harbor. Need to escape the Oahu crowd for a day? You’ll find it at Molokai. There is a small population and the beaches here are often empty and beautiful. Molokai is really the opposite from Oahu in terms of crowds. My Dad grew up here and I was lucky enough to visit several times with him. Here’s an Oahu to Molokai day tour that will be sure to keep you busy. 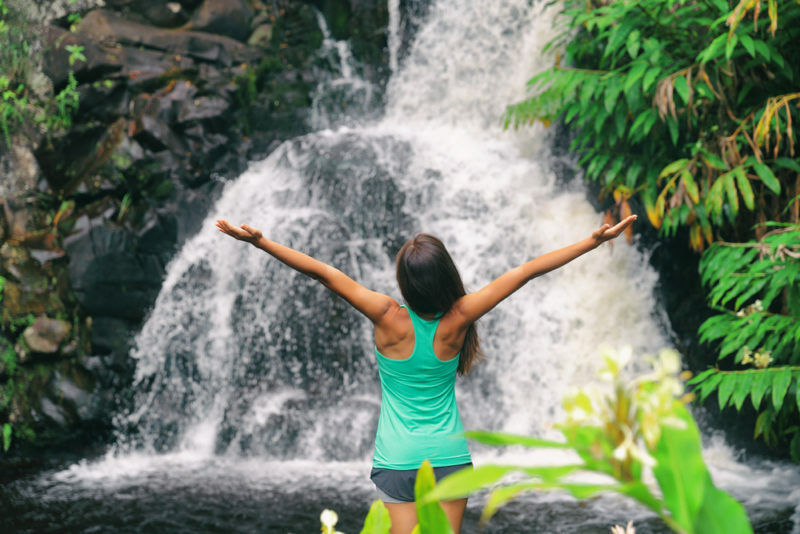 Another popular Oahu waterfall hike is the Maunawili Falls hike. Expect muddy shoes, roots and a small waterfall with a pool at the end. 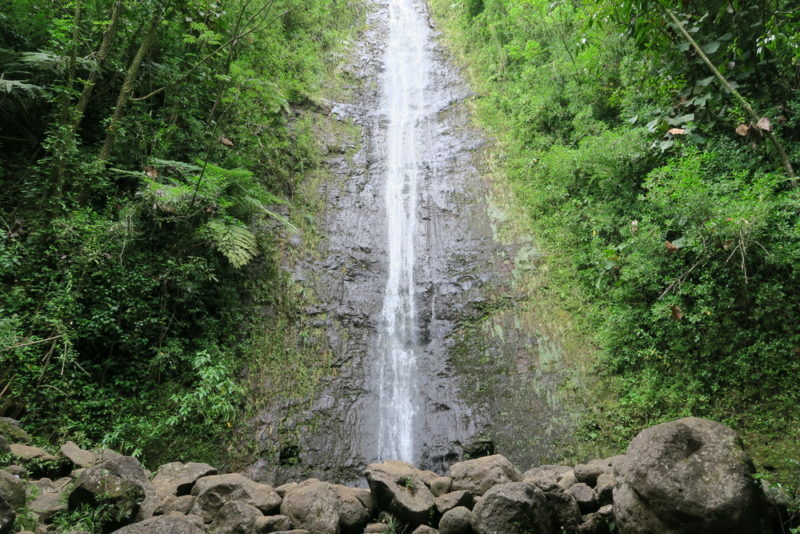 This site is solely dedicated to the Maunawili Falls hike and is a wealth of information. Right next to the Halona blowhole is Cockroach cove, a small beach access that you can walk down to and enjoy the waves. Local Tip: There’s a lava tunnel here that’s big enough for you to stand in! Food is a huge reason why I travel! To be able to taste a different culture’s food and know that it is authentic is such a cool experience for the tummy. 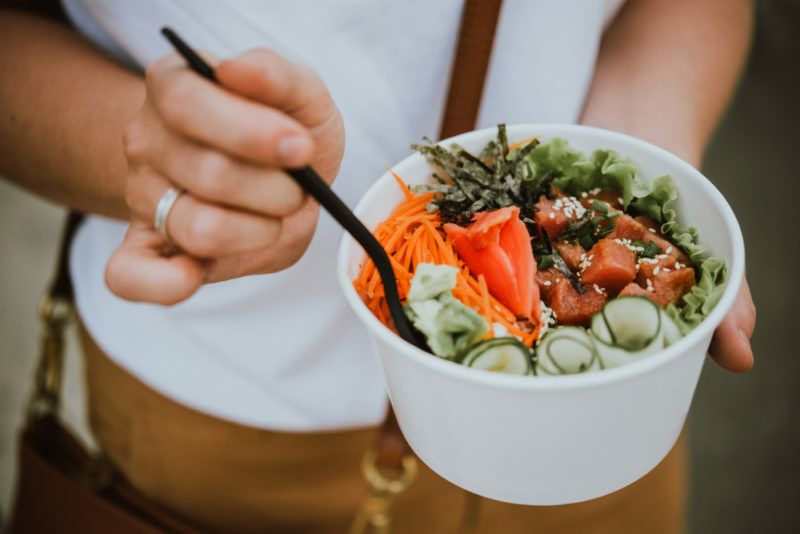 The Aloha Plate Food Tour is one such food tour that will take you to try out authentic dishes that locals love to eat. 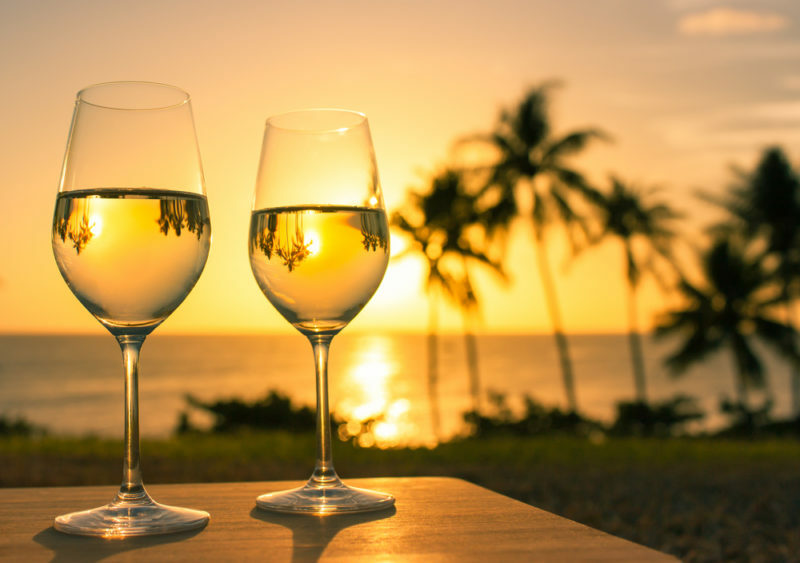 Almost any restaurant in Oahu can be considered “romantic”, but if you’re looking for something really special, only a few pass the bar. For myself, it’s a requirement for that beautiful ocean view to be right there as I gaze out the window. Local Tip: Some top favorite romantic restaurants with an ocean view – House Without A Key, Duke’s Waikiki, and Orchids. Every year the Du Pont Pioneer Sunflowers Farm is open to the public to enjoy the blooms for about 2 weeks before they’re harvested. It’s one of the best things to do on Oahu during the month of November. Local Tip: Any money spent here (tours, parking, etc) goes directly to Waialua Elementary and High School. #112 Celebrate "May Day Is Lei Day"
Have you ever heard the song, “May day is lei day in Hawaii…”? If you haven’t, just know that May 1 is a day where you will see fresh flower leis everywhere. Be prepared for events, lei contests and even parades! 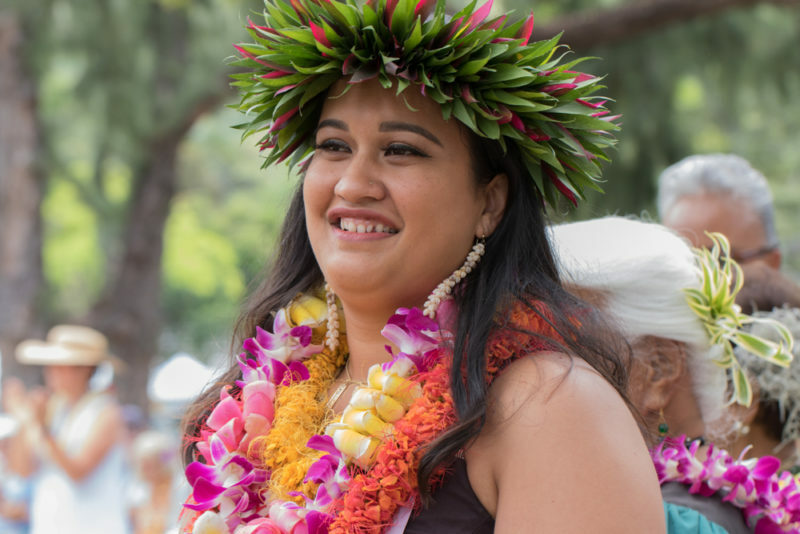 Local Tip: May 1 through mid-June is lei season – there are a ton of graduation, wedding and Mother’s Day leis that have been preordered weeks and even months in advance. If you need a lei during this time, put your order in early. Before its renovation, the International Marketplace was a popular go-to spot for visitors looking for things to do on Oahu. You could shop for trinkets and souvenirs under the shade of a huge banyan tree. Since the renovation, the small booths and trinket shops are gone, replaced by a shopping mall that still keeps to its roots – they’ve designed the mall to include the banyan tree in the design and have even made a tree house out of it! Local Tip: In the middle of this shopping area is a nice area for children to run and play – there’s even a water area to get their feet wet! Another viewpoint that many visitors don’t make it to is Tantalus aka Puu Ualakaa State Park. There’s a nice picnic area here and the view is just splendid. Definitely add this to your “things to do on Oahu” checklist! Local Tip: Right in front of the main viewing deck is a large lawn of grass. It’s a nice spot to have a picnic and enjoy the view. 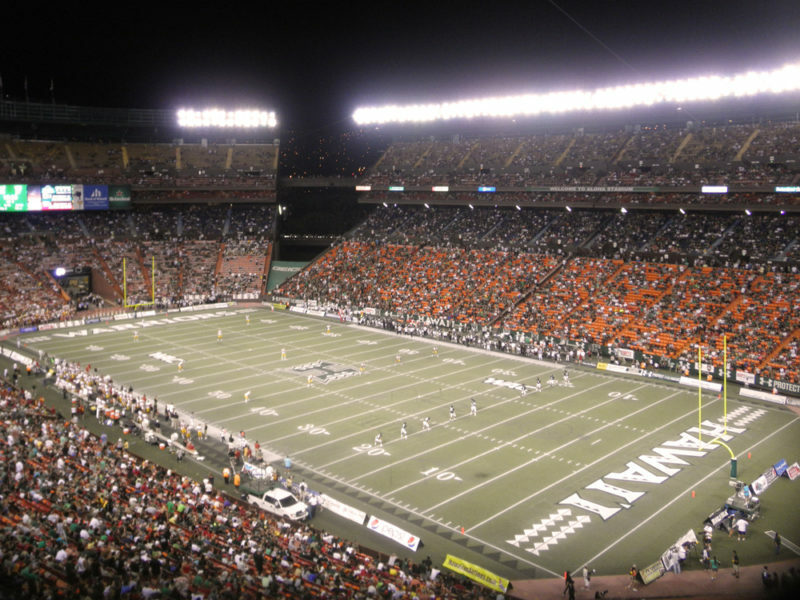 If you’re looking for local things to do on Oahu, attend a University of Hawaii game. Hawaii people love their UH sports. It doesn’t matter which island you’re from – everyone can associate themselves with the University of Hawaii. Local Tip: The most popular sport to watch is the women’s volleyball. Eating pho has become one of my favorite things to do on Oahu. Pho has made its rounds even in Hawaii and I’m always on the hunt for really good pho. Chinatown in downtown Honolulu has some great broths and many of the stores have been there for a long time. Local Tip: Pho To Chau and Cuu Long II are my favorite go-to pho restaurants that have been there forever. Most visitors immediately cross off the trolley as a possible transportation method because it’s too touristy. It’s actually a great choice because the trolley goes straight to several top attractions for a fixed price. There’s no waiting to pass each stop or attempting to find parking in crowded in Waikiki. Travel Tip: Each trolley line also serves as a tour as they stop at several top attractions with commentary from the driver. Stargazing is awesome in Hawaii when you can find a pitch-black spot! Once you get out of the city and away from the lights, the stars brighten like flecks of light on a blanket. Local Tip: A couple of my favorite spots to stargaze is at Mokuleia or China Walls. If you’re looking for unique things to do on Oahu, try this adventure out. This beach is really easy to reach by kayak, which you can rent from Kailua Beach Adventures. Once you arrive at Flat Island (Popoia Island), you’ll notice you can only walk along the perimeter of it since the rest of the island is roped off. There are shearwaters that nest here and their eggs are all underground. Book your rentals with Kailua Beach Adventures since it’s within walking distance to the beach and they give out landing permits. Looking for hidden things to do on Oahu? Spitting Caves can be difficult to find (it’s in a neighborhood cul-de-sac), but once you get here, you’ll want to sit back, relax and enjoy the view. The name comes from a cave on the far left where the tide forces water to spit out with the right conditions. Local Tip: The best time to come here is when it’s a bit cooler. Aim for about 4 or 5 PM and maybe bring some cold drinks and snacks to enjoy the view. From the right position, this hike really does look like a crouching lion! Please note that people have fallen from here by going farther to get to the highest point. Be careful and if you aren’t comfortable, it’s perfectly fine to hang back and enjoy the view without jumping around. On the hunt for free things to do on Oahu? I’ve always believed that a visit to Pearl Harbor is a must. It’s important to understand the devastation that World War II caused not just to Hawaii, but to the rest of the world. Local Tip: Most recently, it’s been announced that they’ve stopped access onto the Arizona Memorial as they’ve discovered cracks and need to renovate it. You can still ride the boat that used to shuttle people back and forth, but it will take some time before people are allowed back onto the memorial. 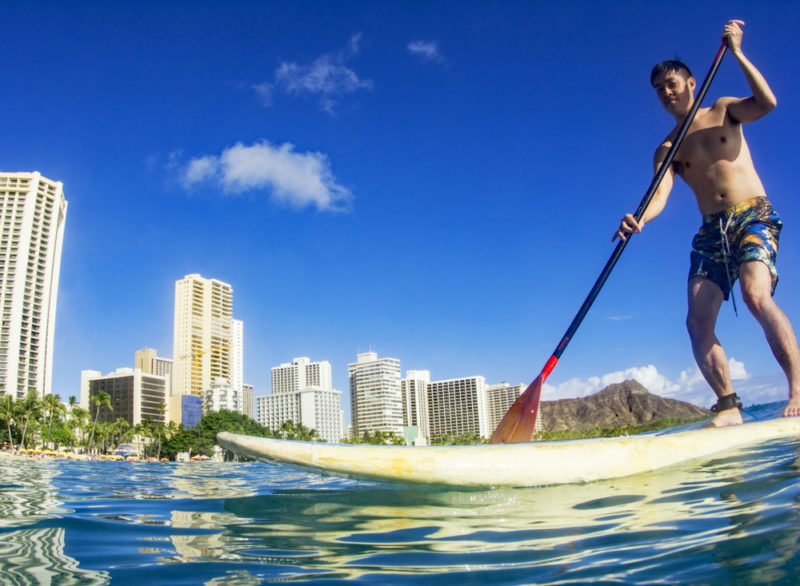 Water sports are an awesome idea for things to do on Oahu. I’ve always gravitated toward boogie boarding ever since I was a kid. It’s easy for anyone to learn and I could teach it to any of my friends who came over to visit me. It also helps that boogie boards are way cheaper and easier to transport! Local Tip: A lot of surf rentals will also have boogie boards available. Even Waikiki beach has them available right on the sand. Another fantastic snorkel spot is at the Kaneohe sandbar. 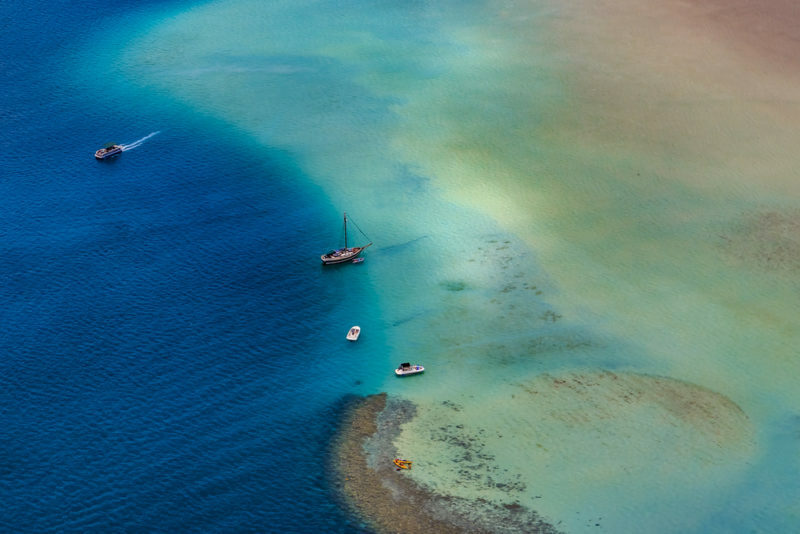 There are plenty of small boats and snorkel tours that will take you out to the sandbar and guide you to all the best snorkel spots. Here are a few great Kaneohe sandbar activities that you can book in advance. Olomana aka 3 Peaks is considered by many to be the most dangerous hike in Oahu. You’ll be traversing on this skinny ridge that looks like a sheer cliff on both sides. 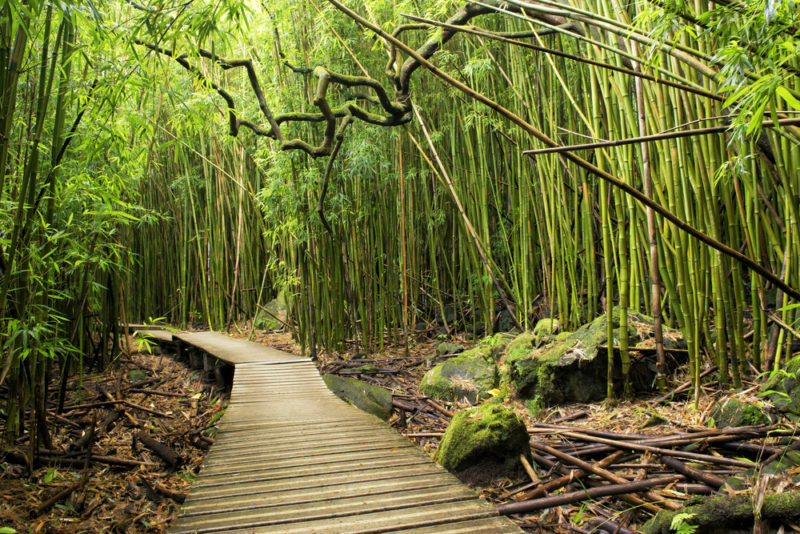 This hike is only for those who are adept at hiking and are familiar with hiking in Hawaii (i.e. rocks that easily erode). 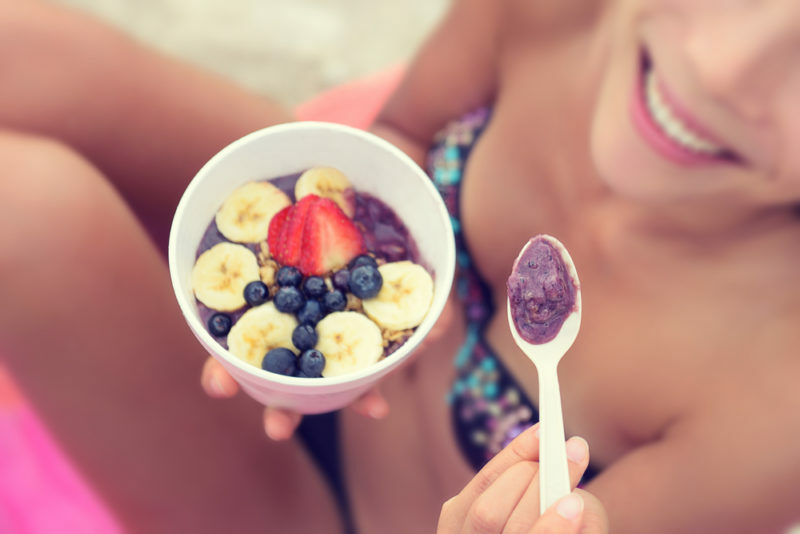 Acai bowls have become a thing in Hawaii and you can now find them all over the place from smoothie shops to food trucks. Chain stores like Jamba Juice is a good bet, but there are also plenty of local shops that specialize in fruit bowls, smoothies and acai bowls. Local Tip: I’ve recently been loving Banan Bowls! They’re perfect after a Diamond Head hike. Parasailing in Oahu is so much fun! There’s that feeling of flying in the air paired off with that fantastic view of Waikiki. You can do it by yourself, or even with a partner (which I find more fun) depending on which package you choose. 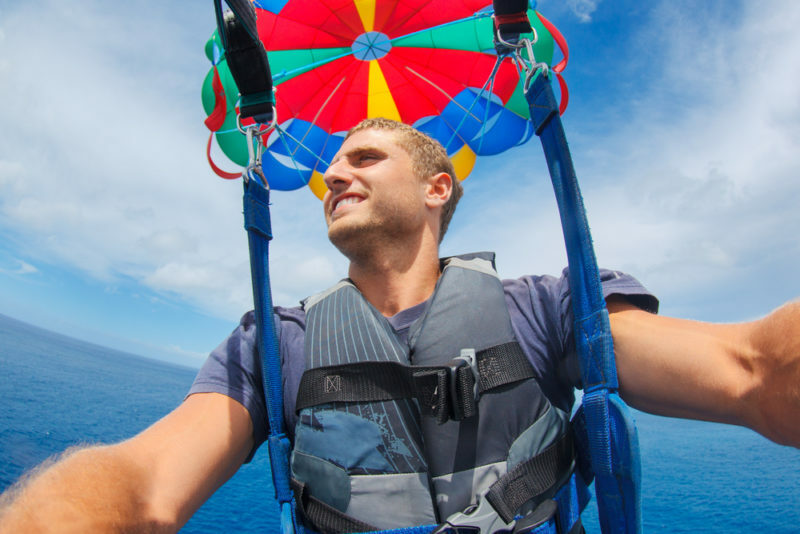 Click to see a variety of parasailing activities all over Oahu. If you’ve been to Japan, you may have already tried this dish out. But if you haven’t, this is something you definitely need to taste! A thick curry broth with fat, chewy udon noodles is my absolute favorite “noodle in soup” concoction. Local Tip: This particular curry udon was from Ezogiku – a Japanese chain restaurant for ramen. Totally reminded me of Japan. 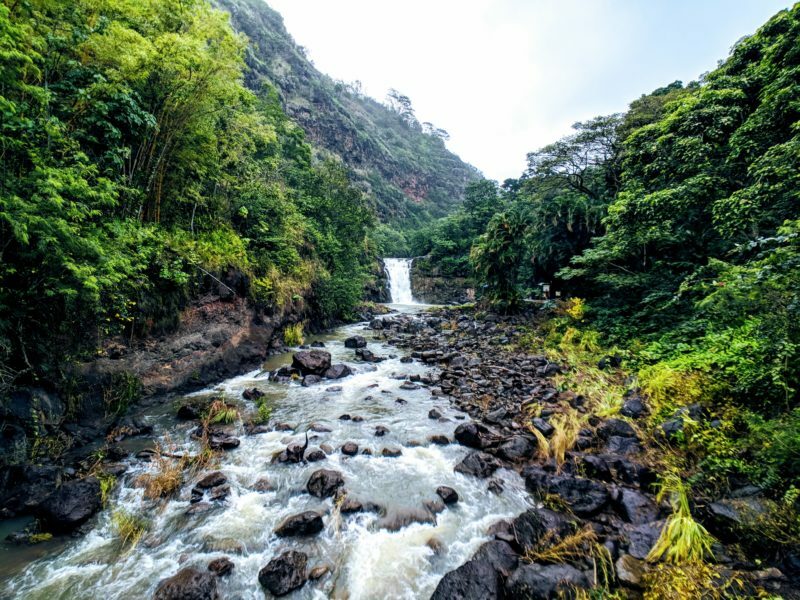 Waimea Valley is a popular stop right across the street from Waimea bay. You do have to pay to get in, but the time you spend in there is worth it. It’s a wonderful walk up smooth payment to this waterfall and the whole way is filled with a variety of plants, trees, flowers and even fruit! Since this used to be a Hawaiian village, there are plenty of traditional architecture to study and learn about. Local Tip: Right next door to Waimea Valley is Puu O Mahuku Heiau, Oahu’s largest heiau that is thought to be used for religious purposes. Don’t miss it! 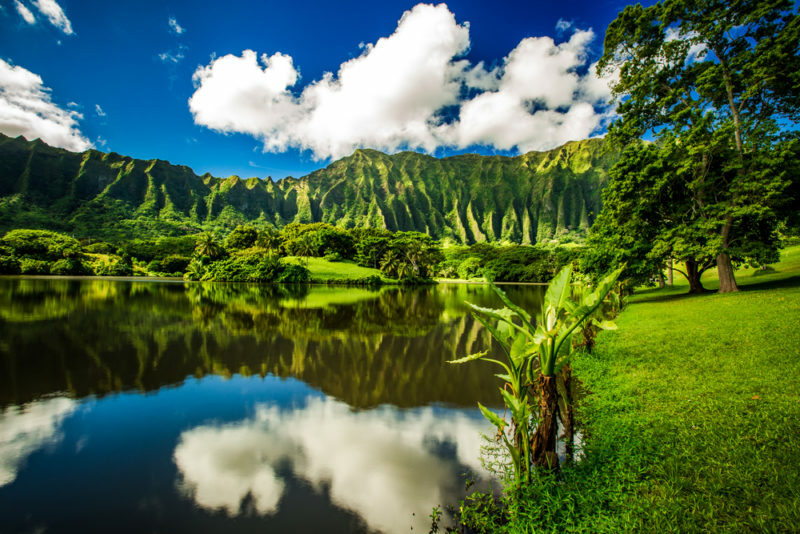 I visited both of these places on my Oahu Photography Tour – read all about it! 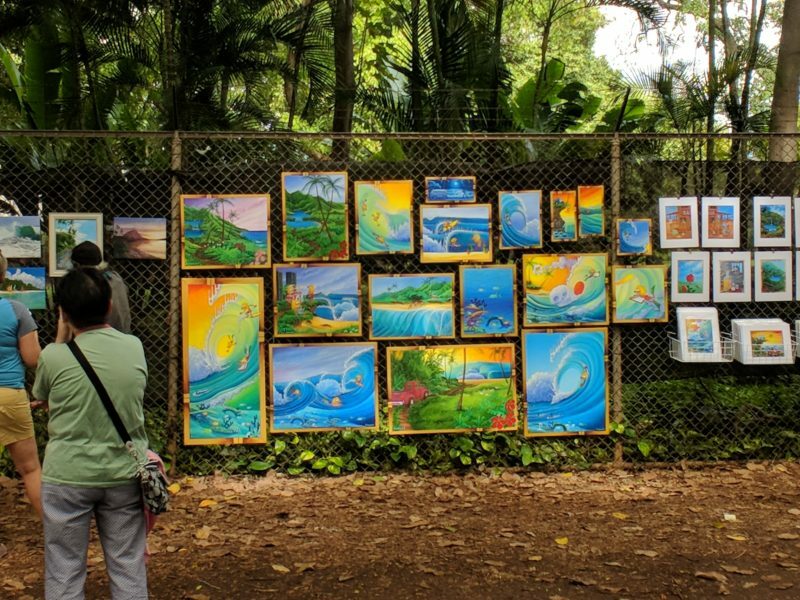 On the weekends from 9 AM – 4 PM, local artists hang their art up on the zoo fence for passersby to peruse and purchase as a lovely souvenir. Art on the Zoo Fence has been an ongoing project since 1953. They even have their own website if you need more information! Nico’s is awesome for fresh seafood and a view of the harbor. You’ll smell that salty sea air as you listen to live music and enjoy a cold beer. Find out what I ordered when I went to Nico’s. 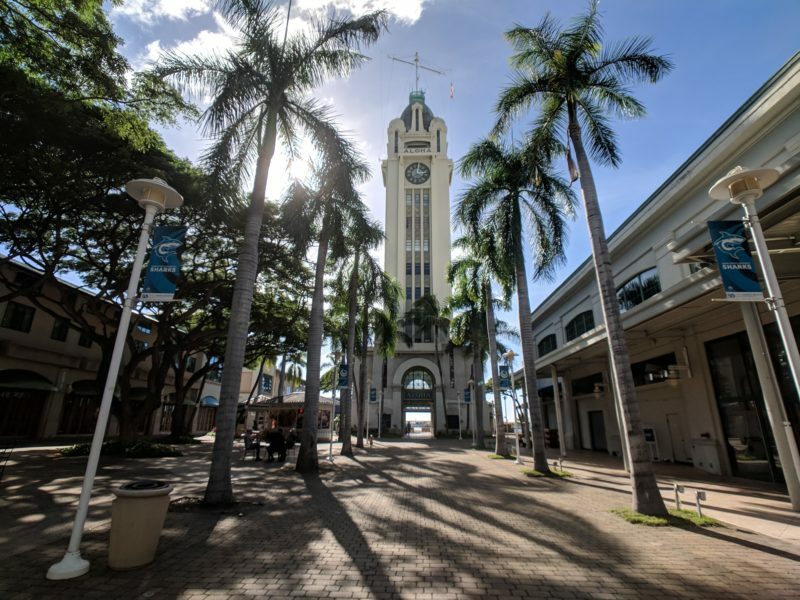 Aloha Tower is a fun little side trip where you’ll get a glimpse of the old boat days of Honolulu. Admission is free and on the top is a lovely view from each side of the building. Local Tip: Gordon Biersch is located here and although it’s not the most local restaurant in Hawaii, it does have an amazing view of the ocean and harbor! Just ask for outdoor seating – you’ll love it! If you’re in Oahu for Christmas, make sure you reserve some time for the Christmas lights at Waikele. They were featured on a TV show before and each year the show gets better and better. 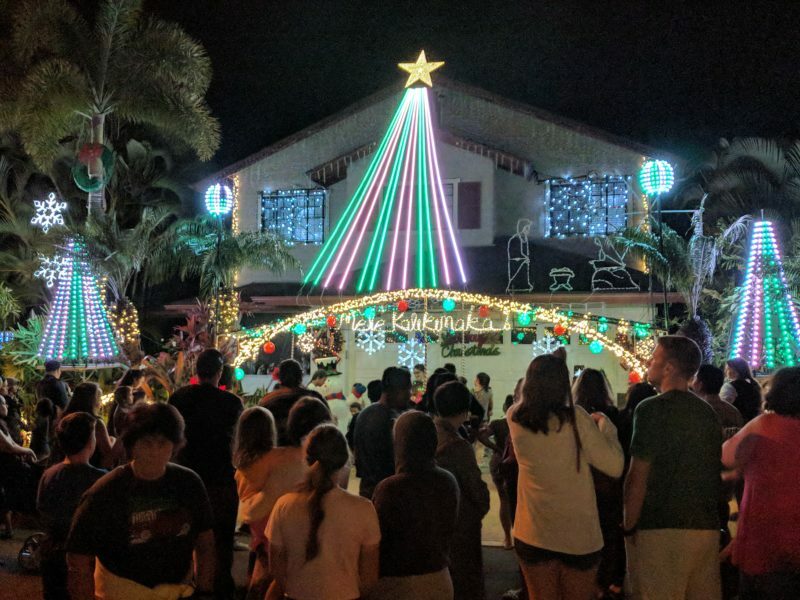 Read about these Christmas lights in Hawaii! 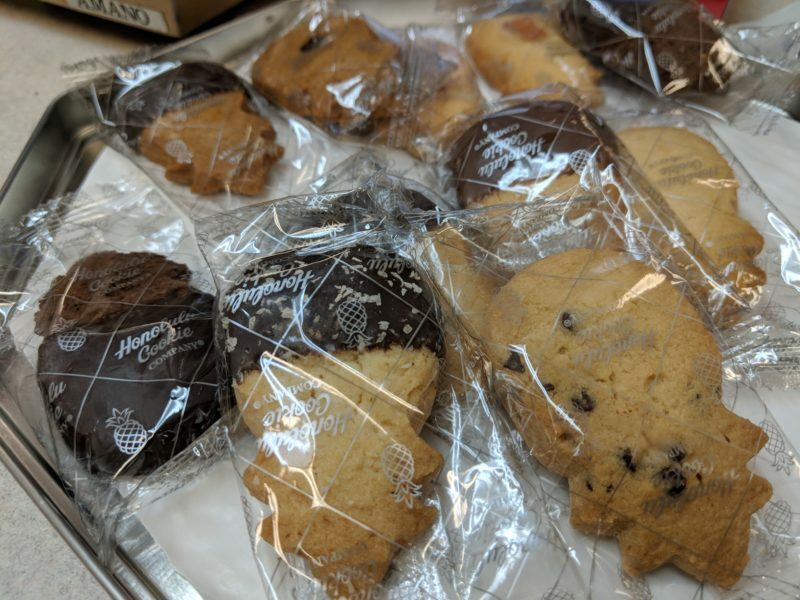 If you love to visit Costco for the samples, then you’ll love Honolulu Cookie Company. Each branch offers a variety of samples of almost all of their cookie flavors and each is divine. Local Tip: My favorite is sold only during the holidays: peppermint cookies! I usually wake up after sunrise, but on this occasion I happened to wake up early and decided to walk the dog before the sun came up. My walk quickly ended with me dragging the dog back home so that I could run upstairs to get this shot from my 2nd story bathroom window! There’s a huge Chinese influence in Hawaii’s culture and one of the snacks that was brought over was “cracked seed.” These flavorful fruit seeds range from plums to mangos and you’ll also find pickled fruits that are sweet, sour and make your lips pucker. 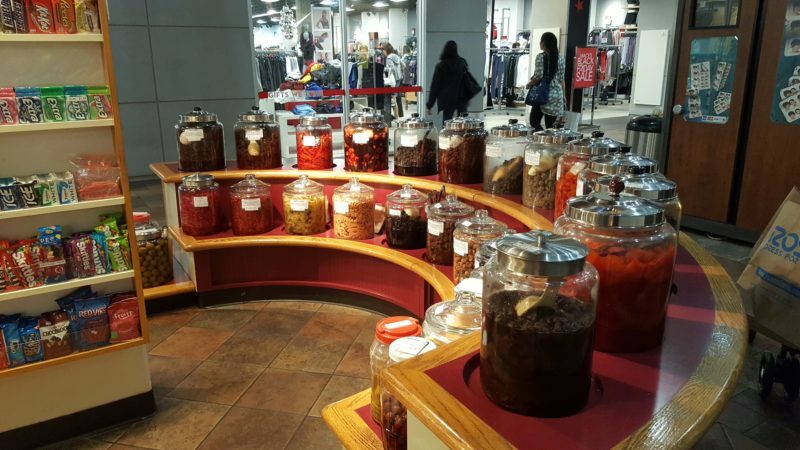 Local Tip: Finding traditional crack seed stores is much harder these days, as these stores are slowly dying out. This particular one is at Pearlridge Shopping Center and I’ve always had fun trying each new delight that my Dad had chosen. 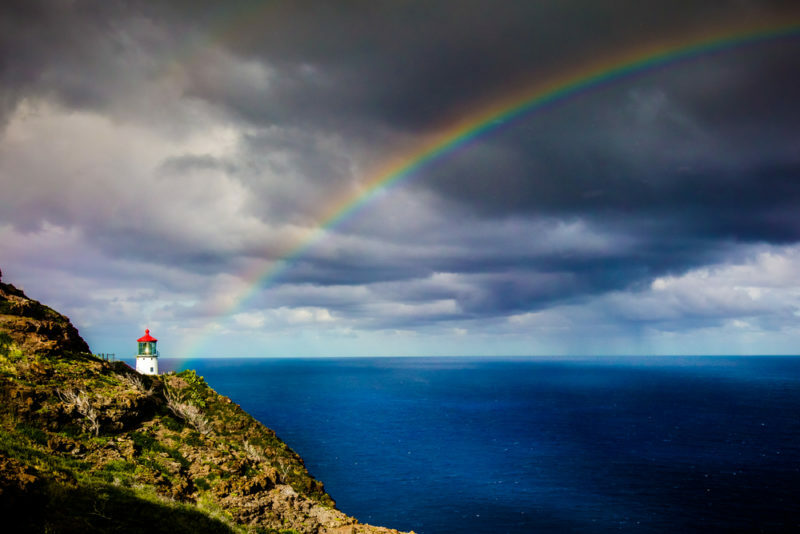 Believe it or not, rainbows are actually quite common in Hawaii. I didn’t realize how common they were until I left Hawaii for school and didn’t see a rainbow until I returned. If there’s rain or rain clouds, there’s a good chance you’ll spot a rainbow! Ani’s is a tiny, itty-bitty bakery that specializes in pies with an amazing macadamia nut crust! Here is one of their top sellers: A sweet potato, haupia pie on that amazing buttery crust. 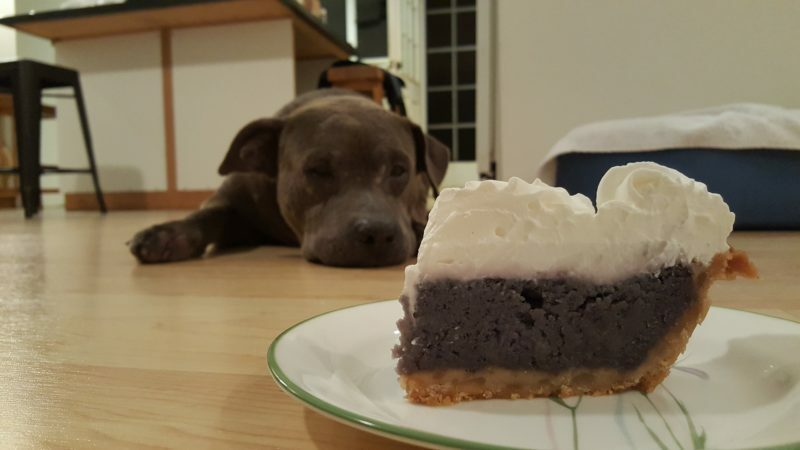 Read about all the sweet potato haupia pie I ate for my Mom’s birthday. 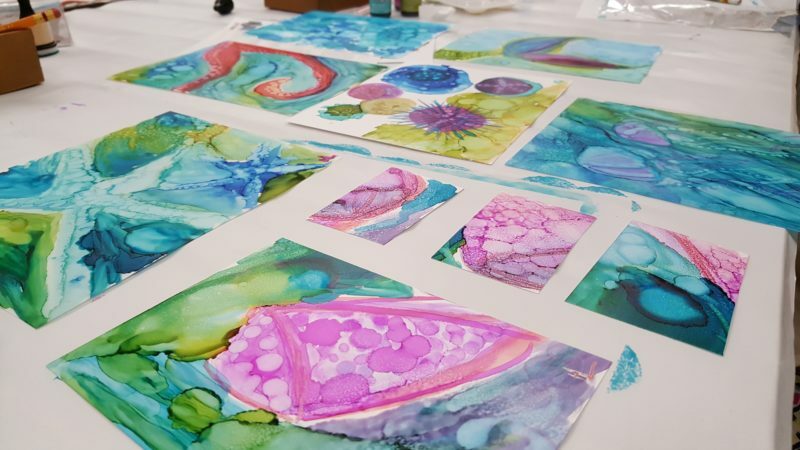 There are a few art classes that you can sign up for at Housemart’s Ben Franklin stores. It just so happens that this particular class that I signed up for was an alcohol painting class on sea creatures. I still have my designs! Check out the Ben Franklin Hawaii website for more info on classes and events. I know spam musubi might be grossing you out, but in Hawaii, spam musubi (or spam anything) has become a staple food in a local diet. Personally, I eat it sliced up with my breakfast or chopeed up in my omelette. I’ll admit to snagging a leftover slice or 2 from the fridge when I’m hungry. 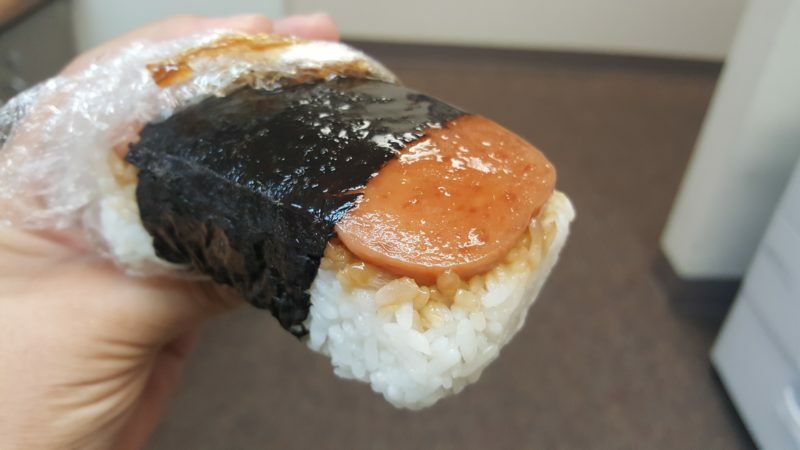 Local Tip: Interested in giving spam musubi a try? 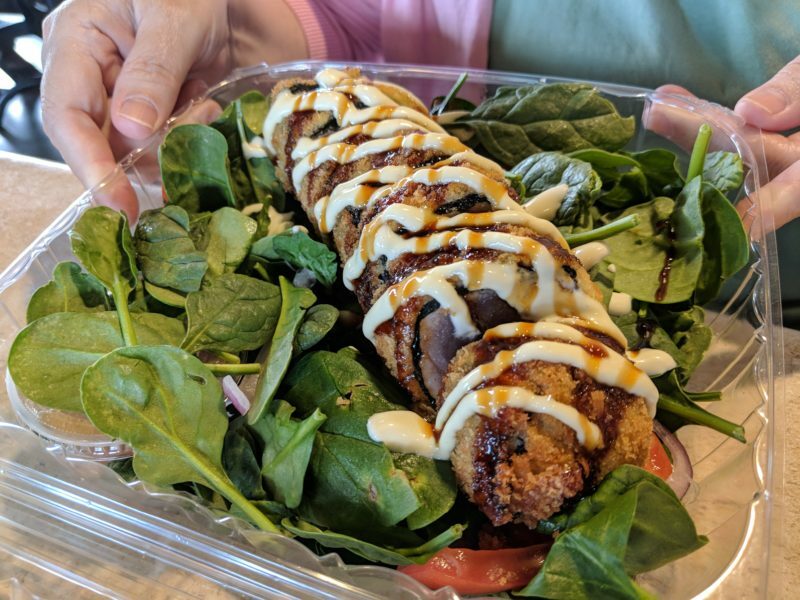 I love Musukawa’s – a local food truck specializing in all things musubi. 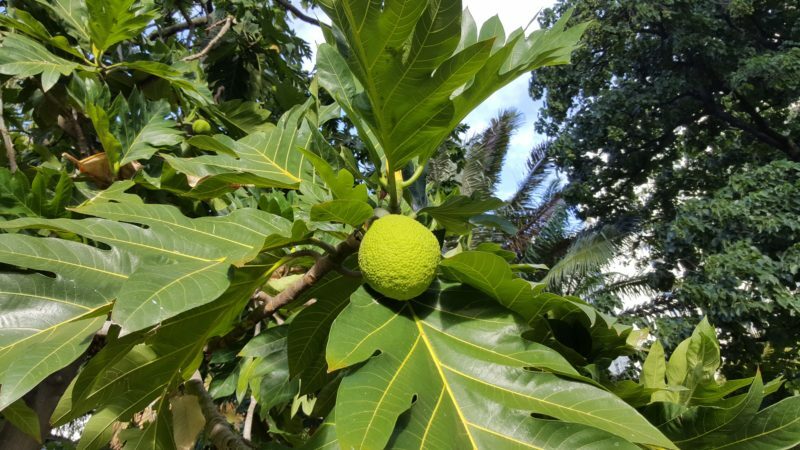 The Foster Botanical Garden is like a hidden oasis in the heart of downtown Honolulu. Once you enter, the sounds of traffic melt away and you’re only left with the wind blowing past your ears and the shade blocking you from the harsh rays of the sun. I went to the Foster Botanical Garden’s annual Midsummer Night’s Gleam event and it was fantastic! Click to read about it. 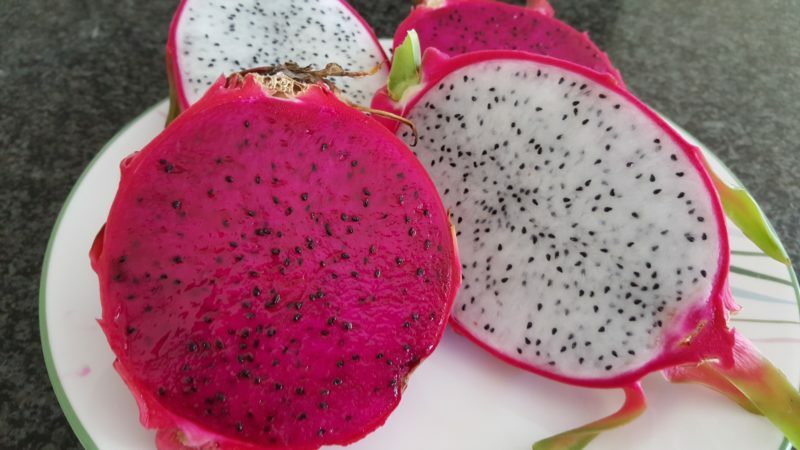 If you haven’t tried fresh dragonfruit, now is the time to do so. These gorgeous fruit are sold at groceries, farmers’ markets and in Chinatown. Local Tip: Dragonfruit don’t ripen once they’re picked. The trick is to look for an ugly dragonfruit that’s looking frayed and dried on the outside. If yours looks a little too perfect with pristine green and pink leaves, then it might have been picked too young. You cannot beat a private tour with a guide who wants to customize your island trip to match your expectations. It’s just impossible for a limousine bus or even a shuttle bus tour to do that for each of their customers. I was lucky enough to go on a tour with Dan from The Real Hawaii and the tour was fantastic! He managed to show me some places that I haven’t yet discovered. Pancakes from Koa Pancake House are so delicious. 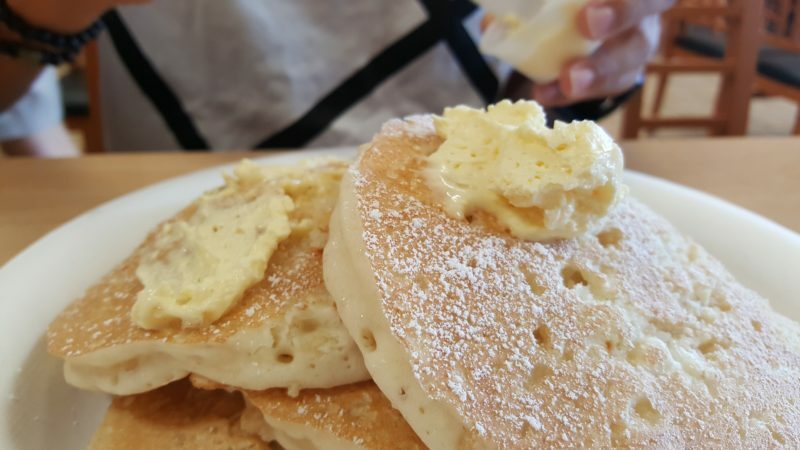 Don’t miss their coconut syrup or macadamia nut pancakes they’re fantastic! A friend of mine requested pancakes while he was visiting Oahu, so I took him to Koa Pancake House. Click to read more. Live Hawaiian music can be heard all over the place in Oahu. Many hotels will have daily performances where you can just sit, listen and enjoy. This one happens to be at the Royal Hawaiian right next to the sidewalk so you can’t miss it. Local Tip: A few other places where you can hear live Hawaiian music are festivals and events, Ala Moana Center and on sunset cruises. Here’s my friend Nori posing right before we’re about to scarf down a few andagi (Okinawan donuts). These things are delicious and you can usually only find them at Japanese-themed festivals. 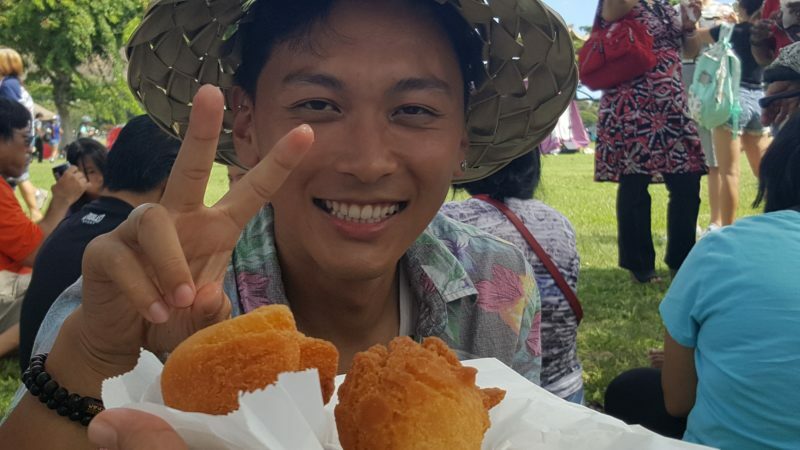 Local Tip: One of the best places to buy andagi is at a local bon dance. These dances are usually 1 – 2 days on the weekend and happen statewide at several locations from June through August. 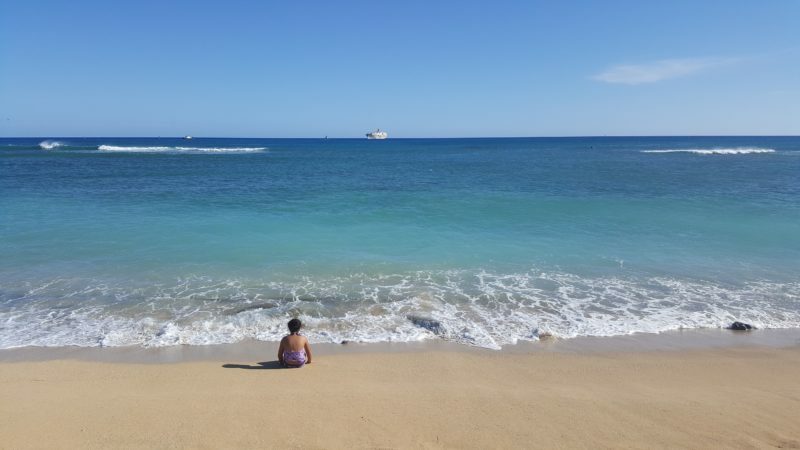 If you’re looking for an uncrowded beach that’s still close to Waikiki, then I think Sand Island beach park is your best bet. There are bathrooms, far less people and a great view that’s just about a 20 minute drive from Waikiki. 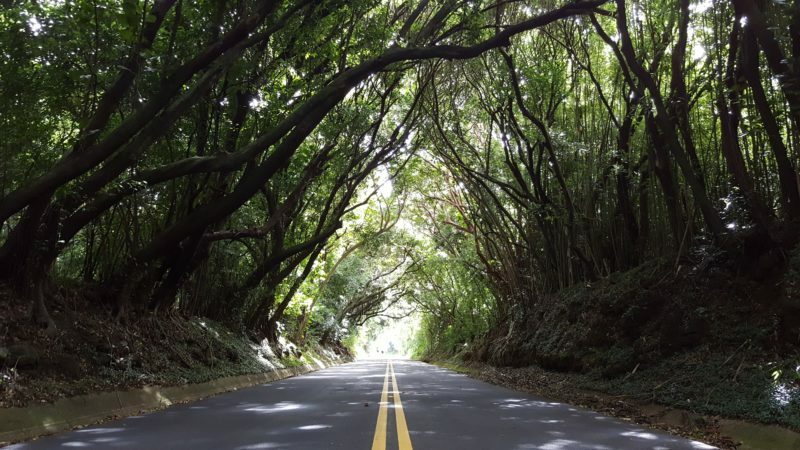 The Pali tree tunnel is a neat stop as you explore the Pali road, hikes and the Pali lookout. The tunnel isn’t very long, but it makes for an awesome picture! For those of you seeking zen, go to Byodo-In temple. 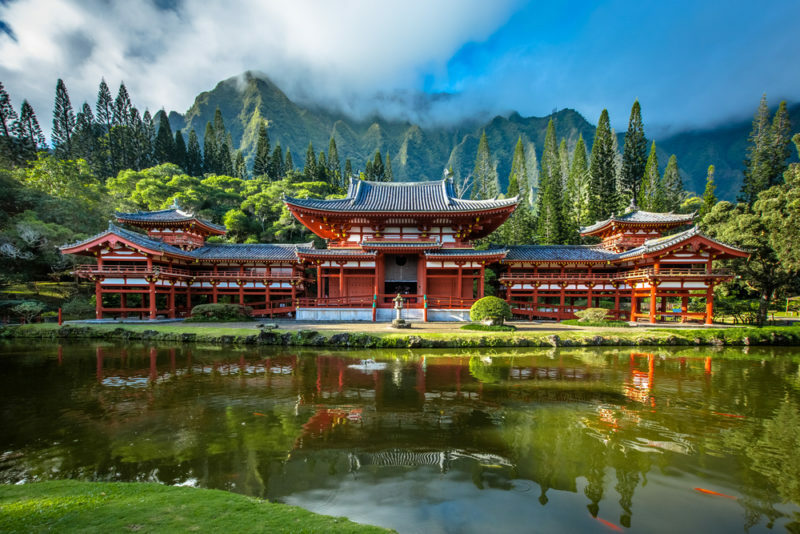 You’ll have to pay an admission fee, but the tranquility and raw beauty of this temple sitting in front of the Koolau mountain range is incredible. Click to read my post about Byodo-In temple and what you can expect. You’re in Oahu, Hawaii. That means you don’t have to do anything that you don’t want to do – but I think everyone can agree that to be able to relax like this during your vacation is absolutely necessary! Local Tip: One of the prettiest pools in Waikiki (in my opinion) is the Infinity Pool at the Sheraton Waikiki – stunning views! Have A Comment, Opinion, Or Question? Let’s talk! I’ve loaded this list with a ton of things to do in Oahu and hope it helps you with your itinerary plans. Let me know what you think below so I can help you and everyone else make your Hawaii vacation an awesome one! Walking My Way Through Haleiwa Town – See, Eat, Do! We are coming to Hawaii for the first time in September and this was fabulous and so informative. Thank you for sharing. Aloha Michelle! I’m so glad this list could help you out! 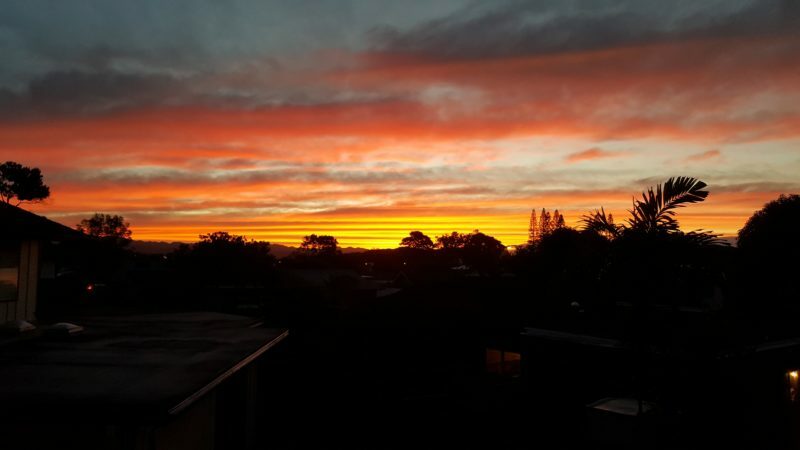 If you haven’t done so already, you might want to join my Hawaii Travellers FB group – that way any possible questions you might have can get answered by locals or someone who was there recently. You’ll find the link on the homepage! Mahalo! For me this is a very interesting article as we hopefully will visit Hawaii with our baby next spring. 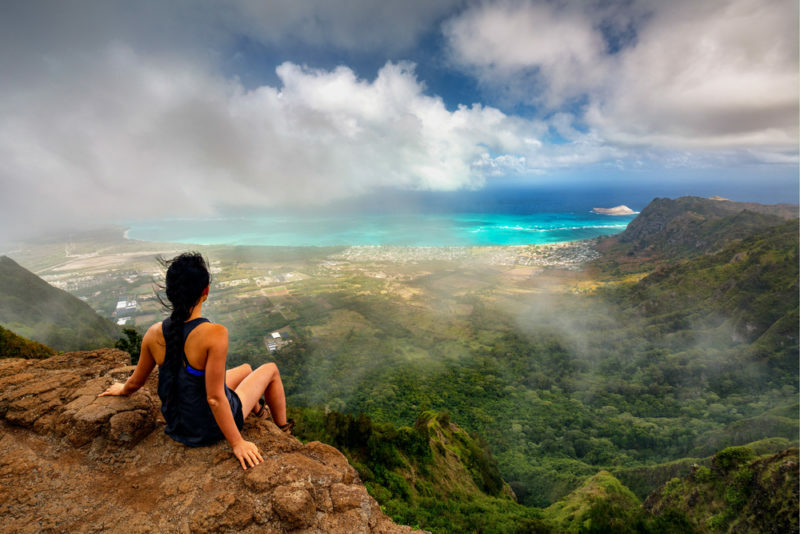 It’s Incredible how much there is to do on Oahu. Your tips are very helpful to plan. Exciting that it’s also possible to renew vows there. This would be a dream.. There are a ton of things to do with a baby in Hawaii! 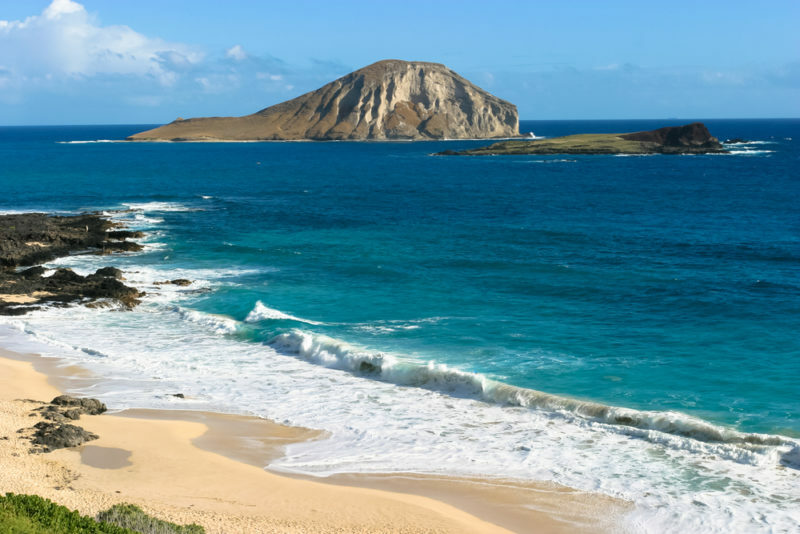 If you want to go to the beach, definitely check out “Baby Makapuu” beach. It’s a safe place with a few tidepools where you and your baby can have fun in the ocean (and probably meet other toddlers there, too). 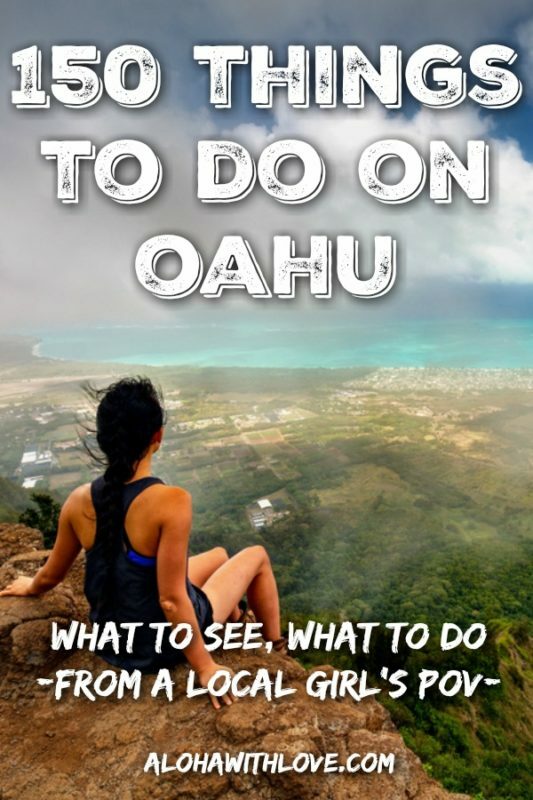 this looks incredible, so many things to do at one place – Oahu..This is gem post to explore oahu..Thank you for sharing it!! You’re welcome, Mayuri! I hope it helps you out. Mahalo! My friend and his wife swam with dolphins not too long ago and they had a blast! They went early in the morning and they said the dolphins were still sleeping and would swim up and down periodically for air. Maybe you can consider an afternoon outing so you’ll see more activity? What a great comprehensive list! I would definitely learn surfing and try to discover as much of the nature as possible. Yes! 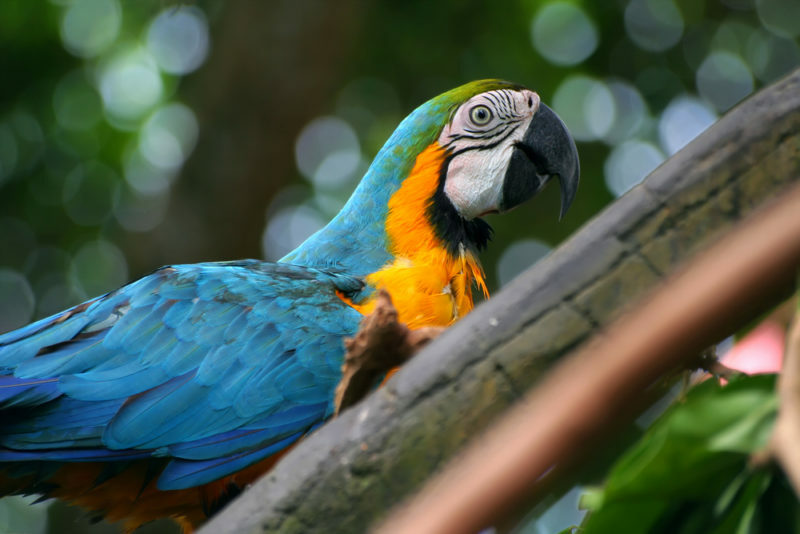 There are a ton of things to do and see nature-related on our islands! Yup, 150! Because 100 wasn’t enough, lol. There’s a huge Filipino population here so we’ve got a lot of great Filipino food and traditions here! And it’s called Chinaman’s hat because it resembles those iconic straw hats that you’ll see in China in the countryside. We also have a big population of Chinese here so that’s probably why the imagery is strong. Haha, yeah, the shark cage requires a bit more courage than the other activities on this list. Mahalo for stopping by! OMG the mai tais at happy hour. One of my fodest memories of hawaii. Such a beautiful place. That rain on the road to Hana tho! Yes! Happy hour at Mai Tais is pretty awesome! I feel like I have to move there to do all those things. However, swimming with sea turtles is definitely on the top of my bucket list. I can’t come up with a better place to do it than Hawaii. Wow this is a comprehensive list and truly include some things tourists might me. I’d love to see Magic Island and try Halo-Halo, that looks delicious! Thanks for sharing such amazing recommendations!